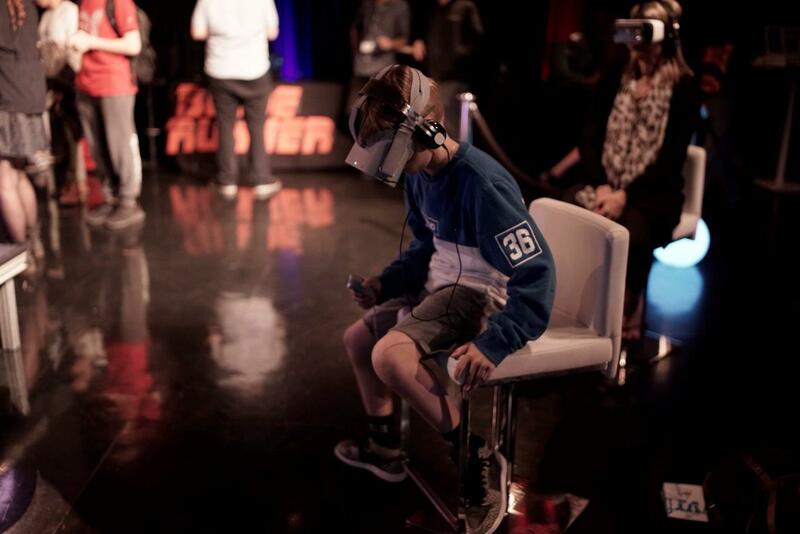 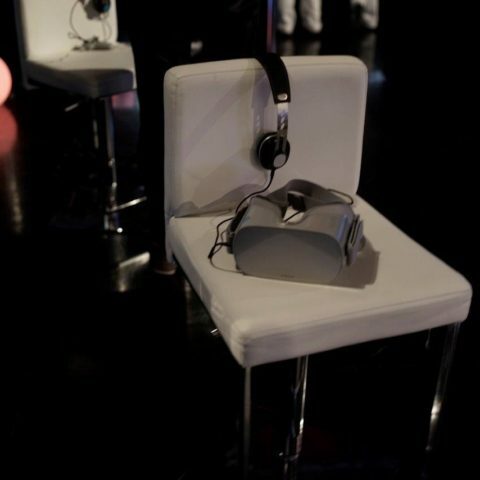 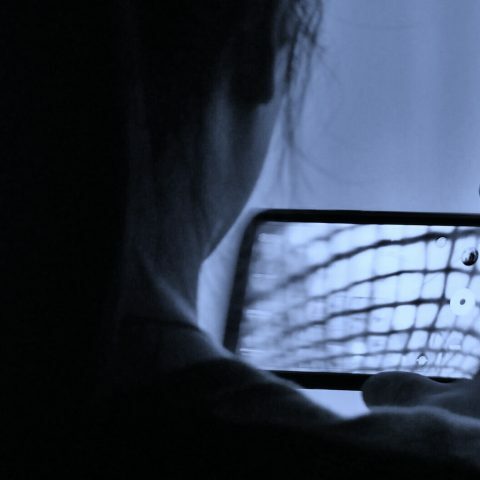 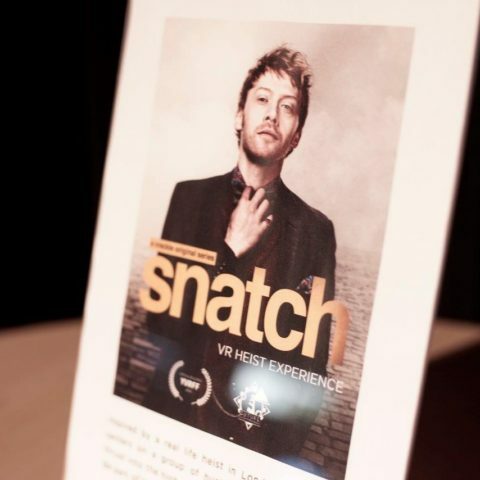 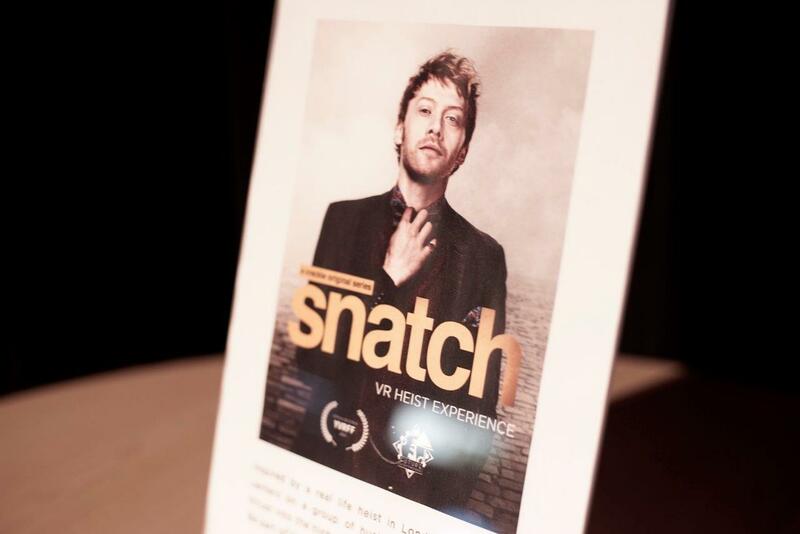 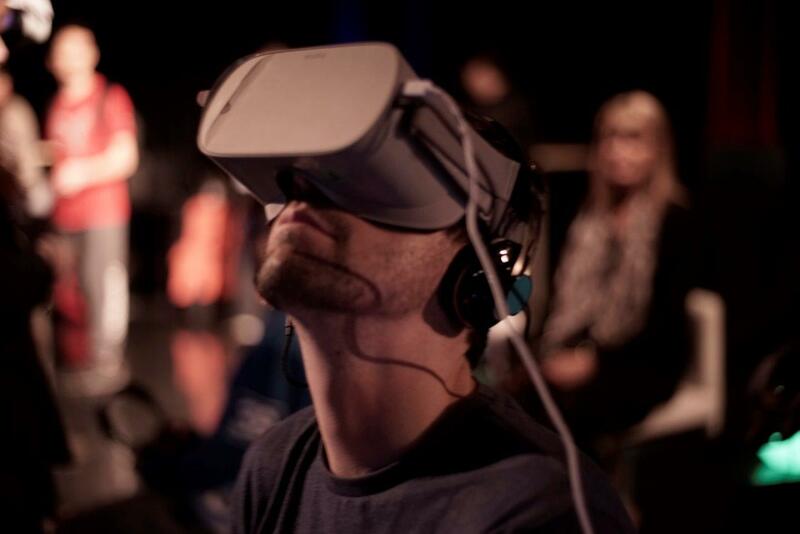 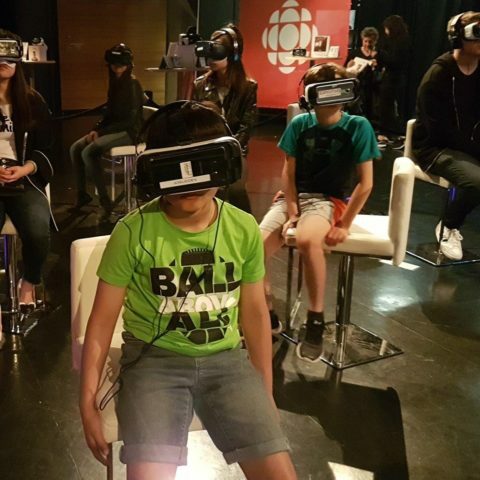 Western Canada’s only Virtual Reality Film Festival is back and bigger than ever. 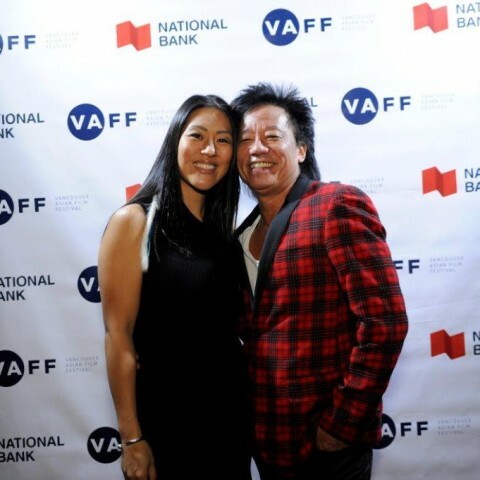 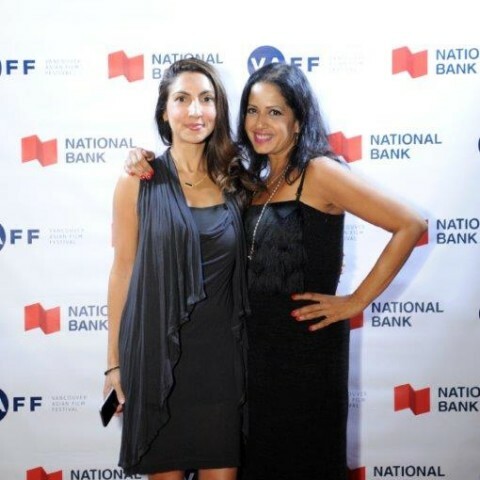 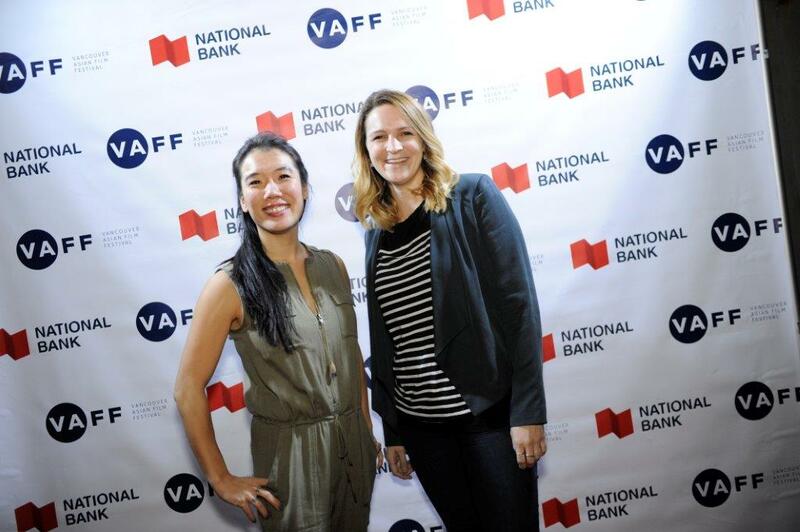 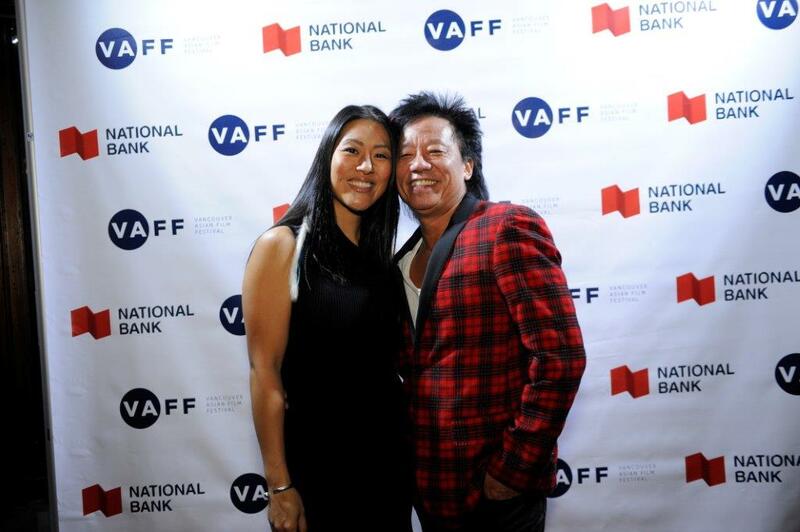 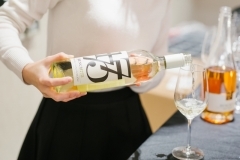 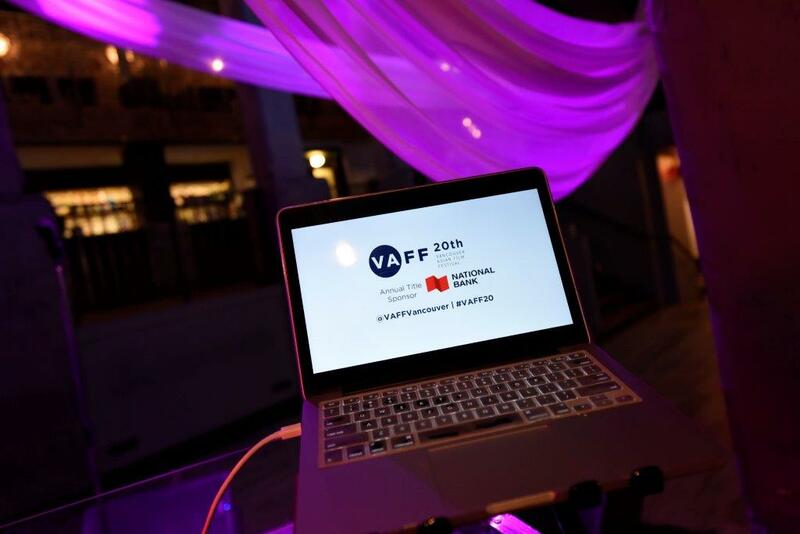 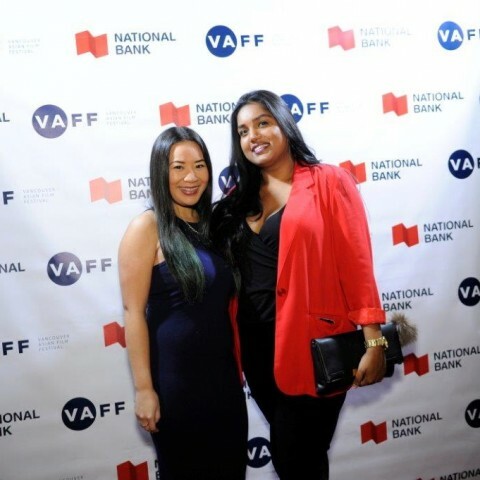 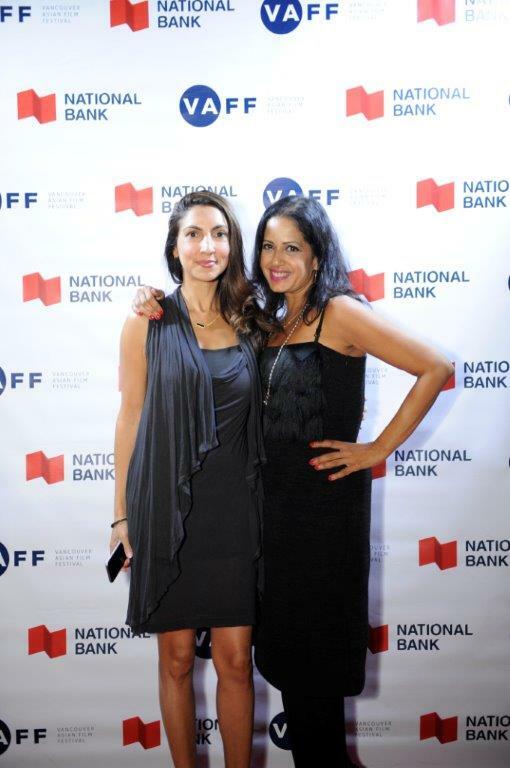 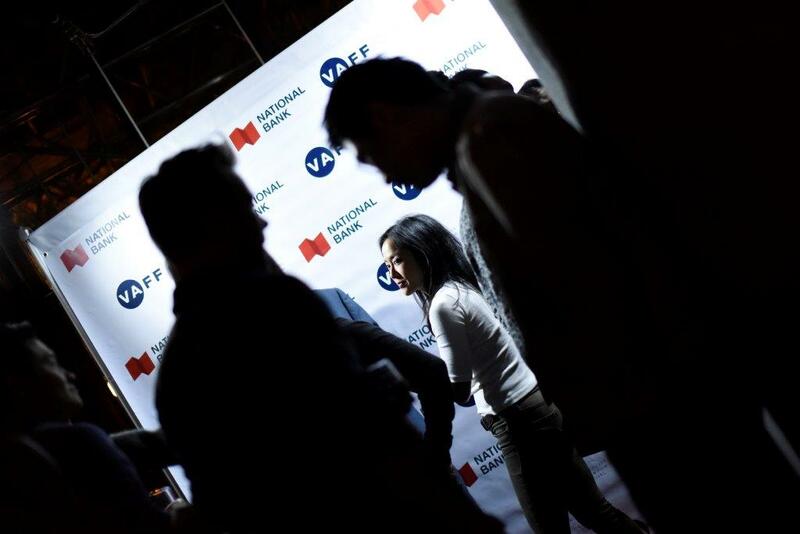 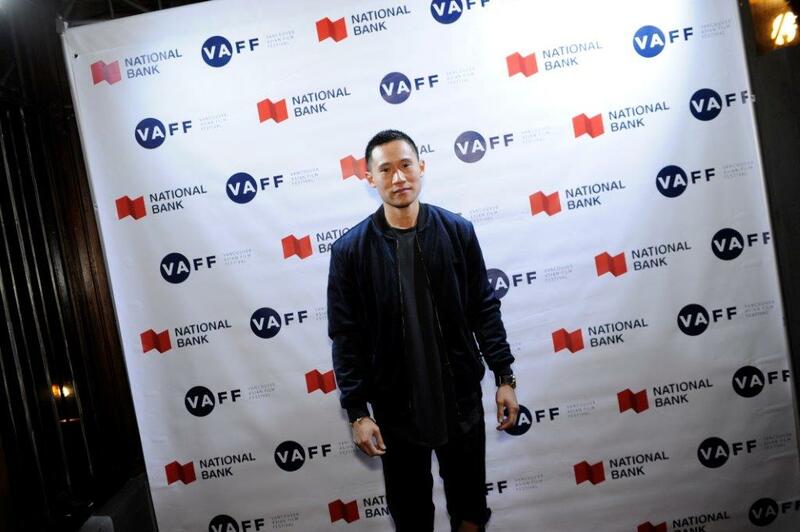 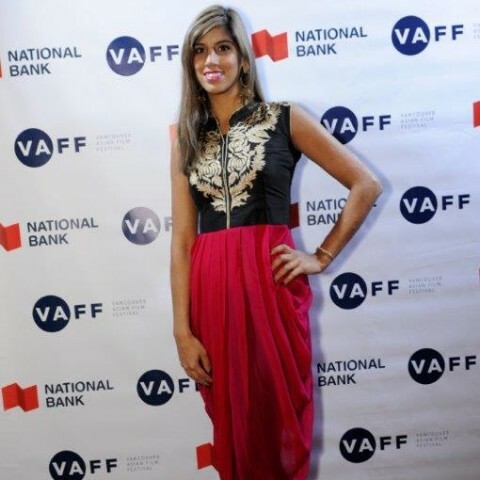 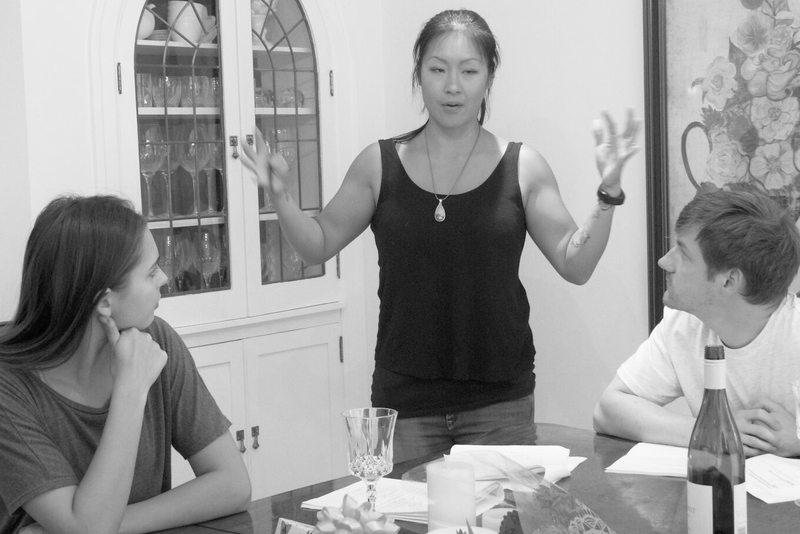 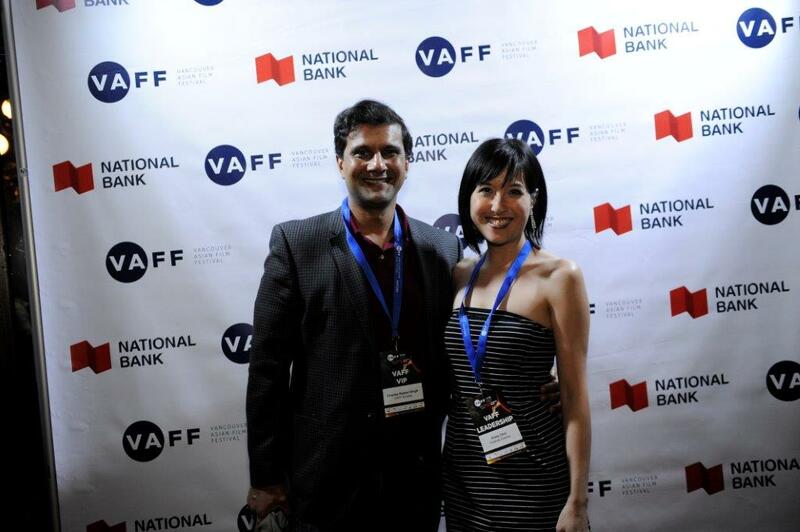 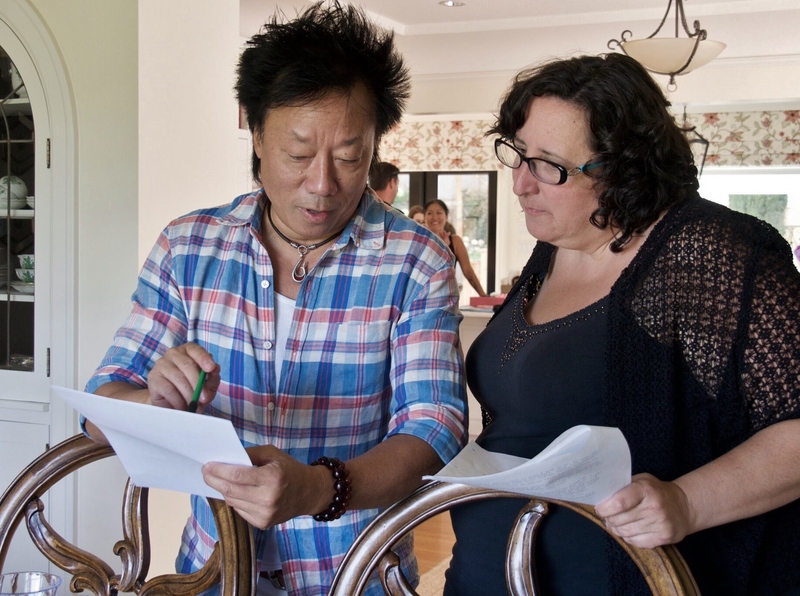 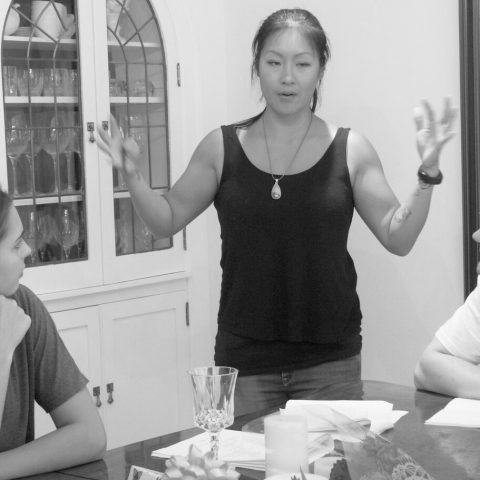 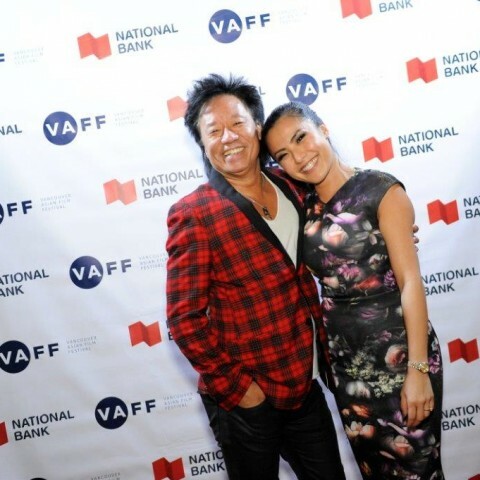 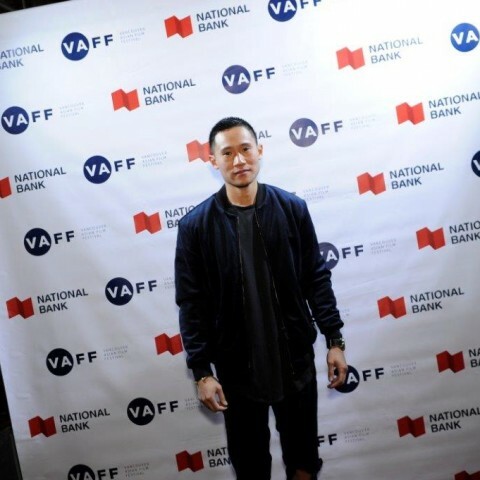 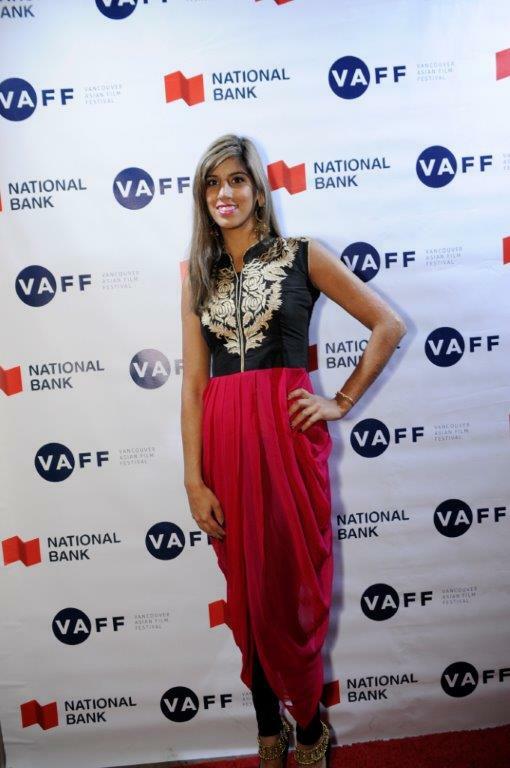 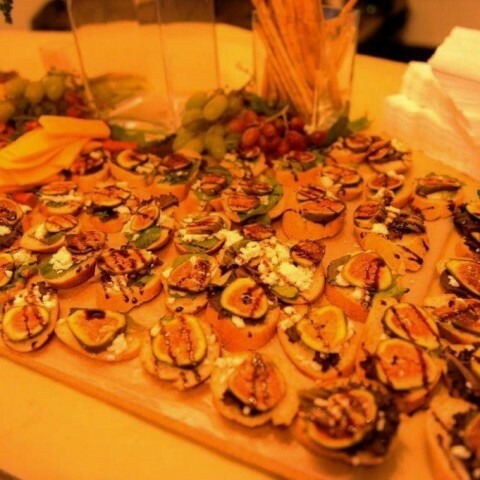 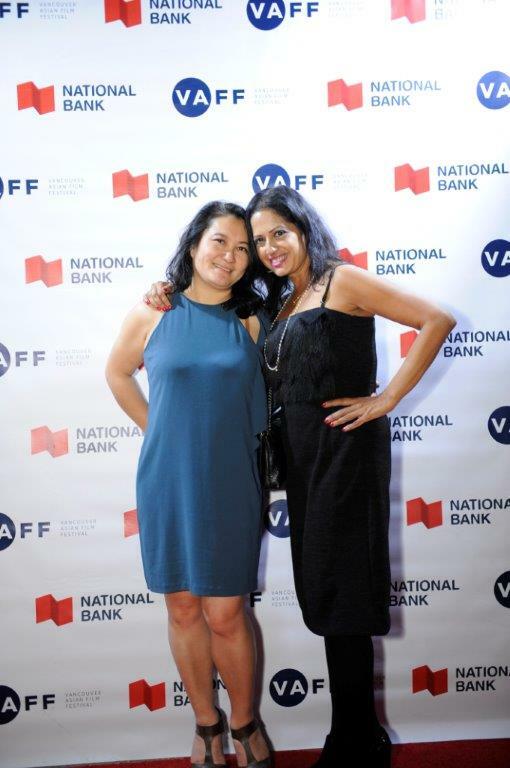 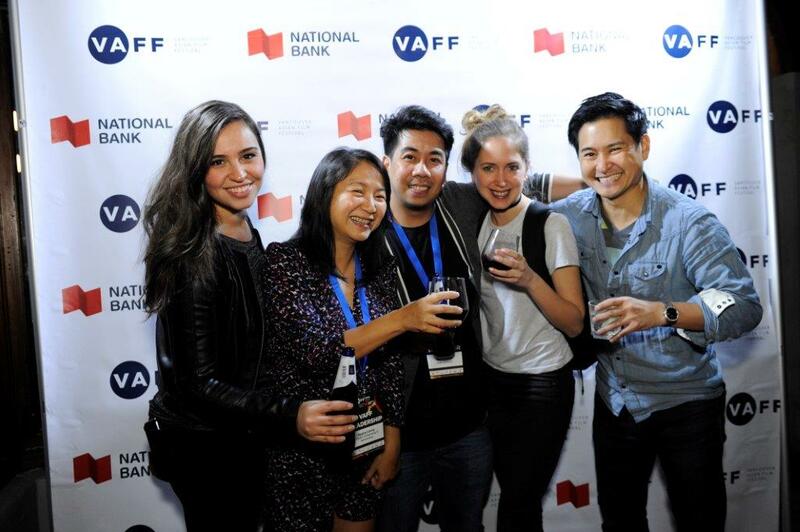 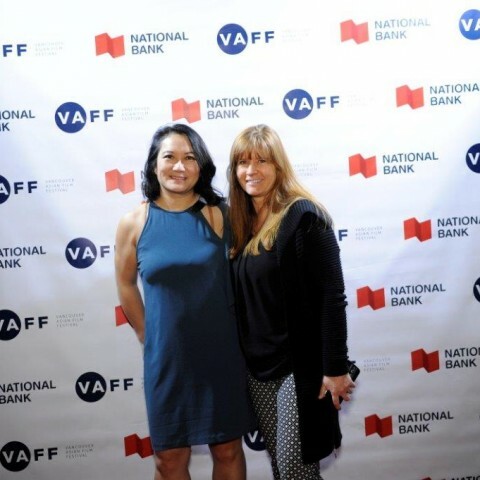 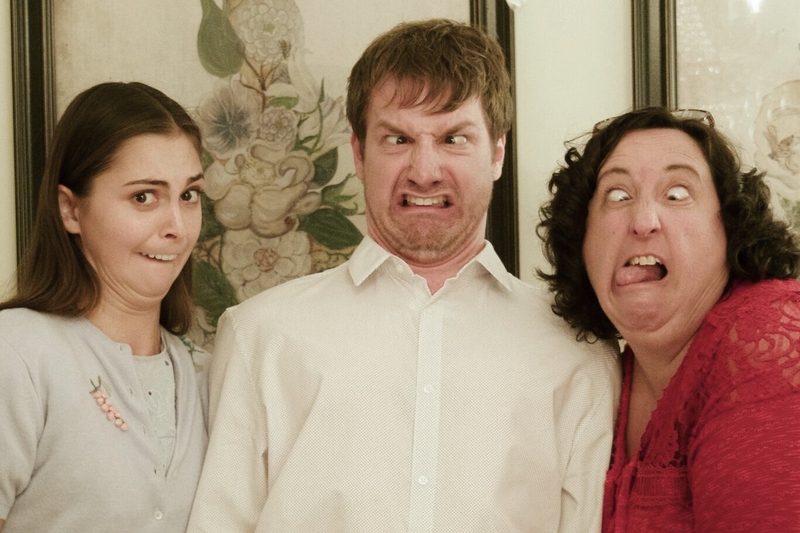 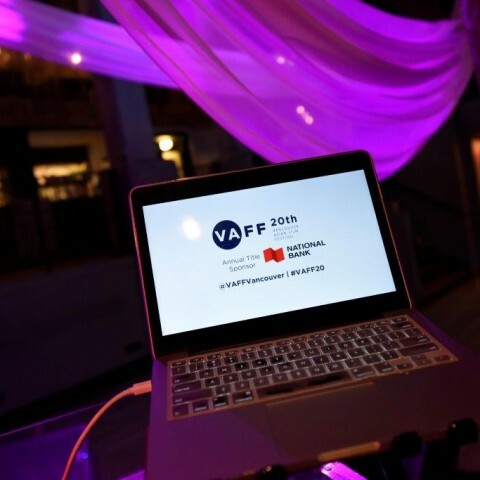 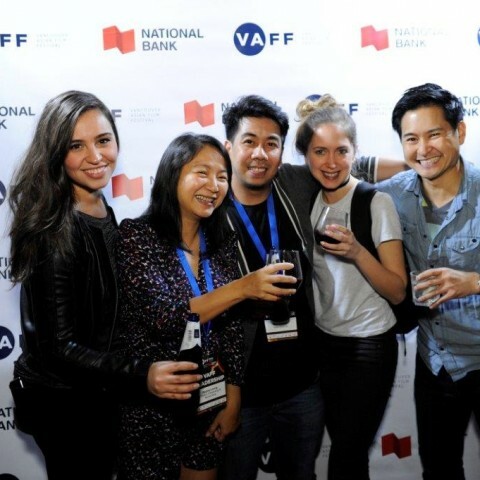 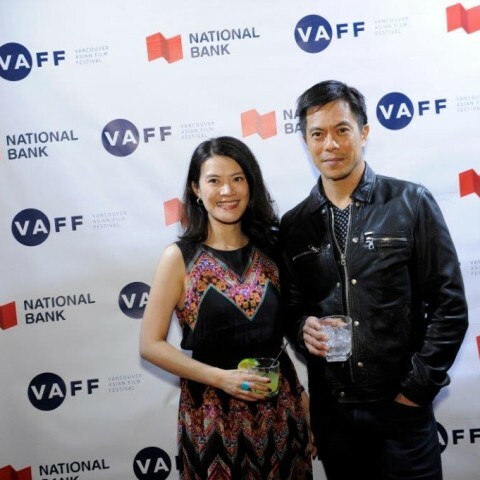 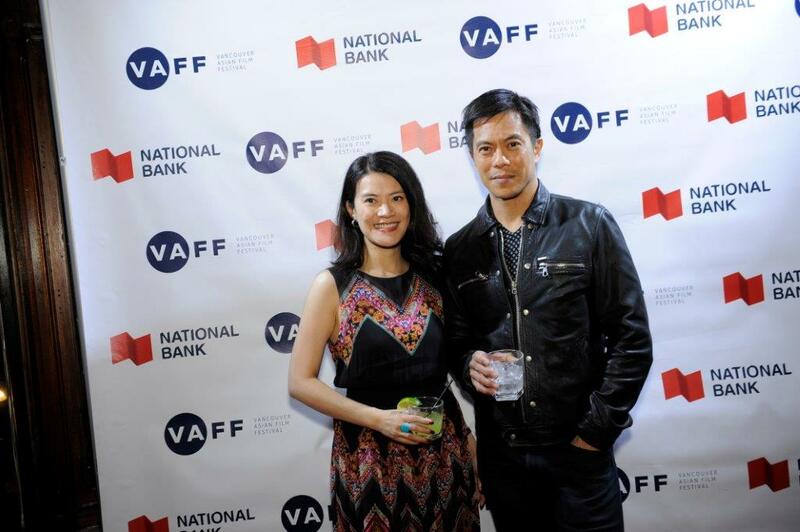 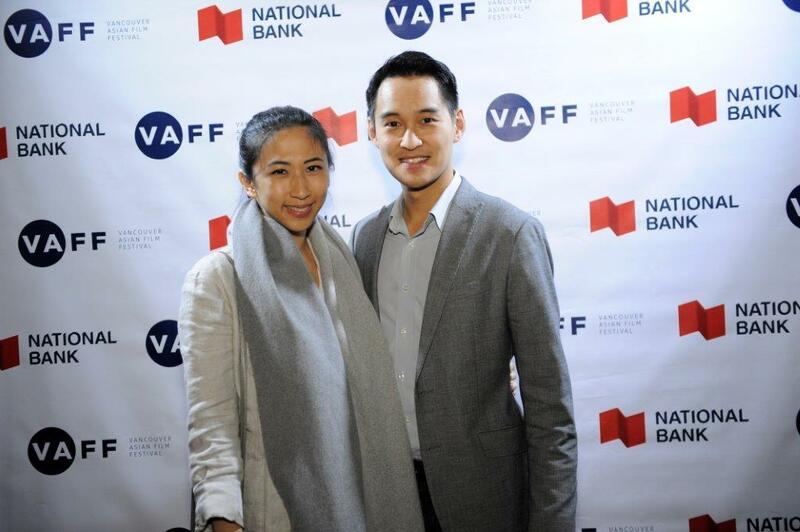 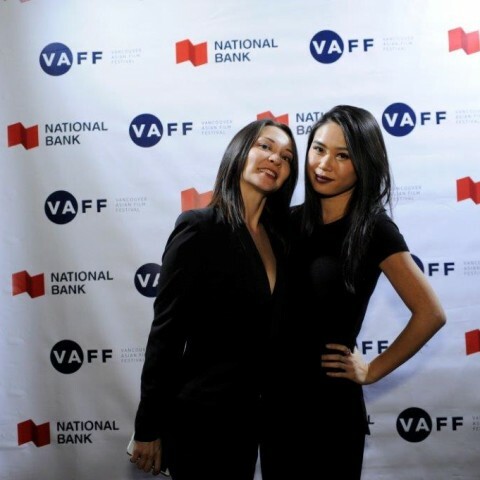 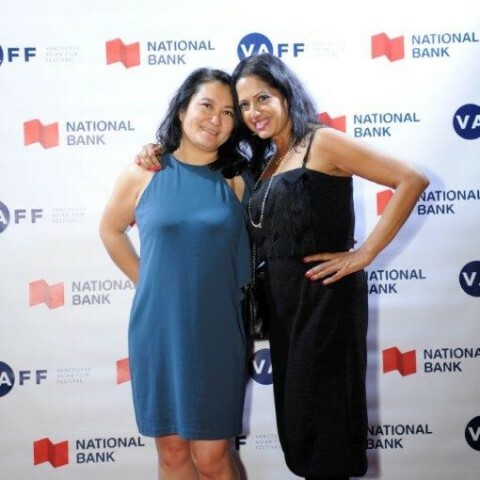 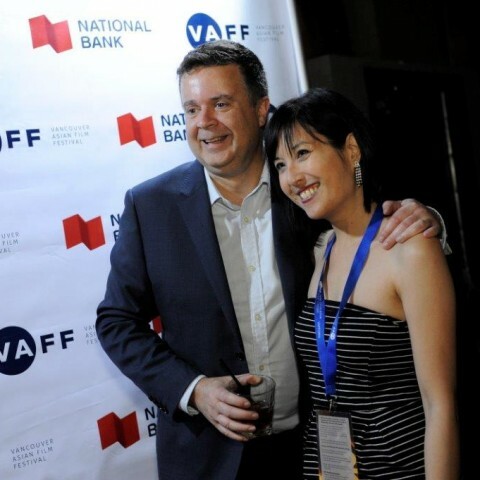 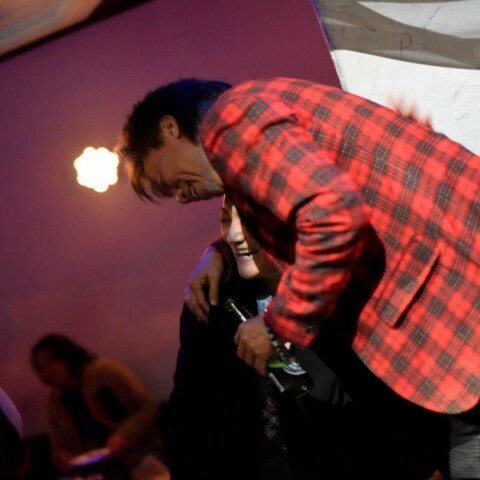 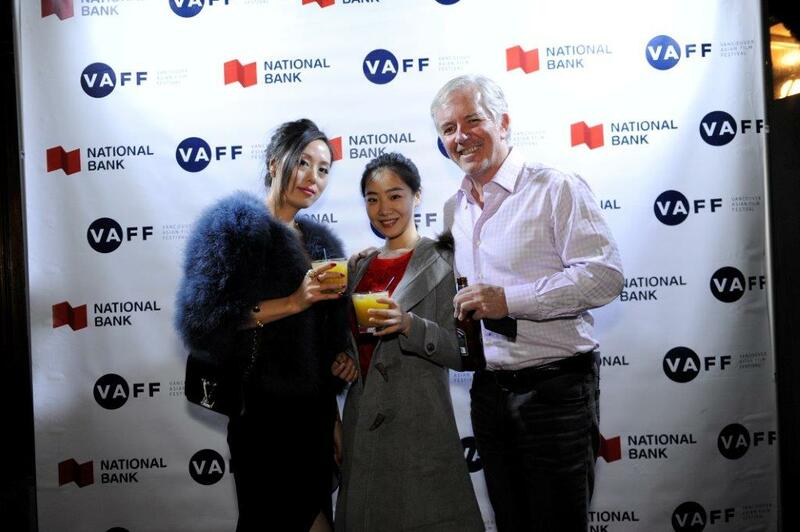 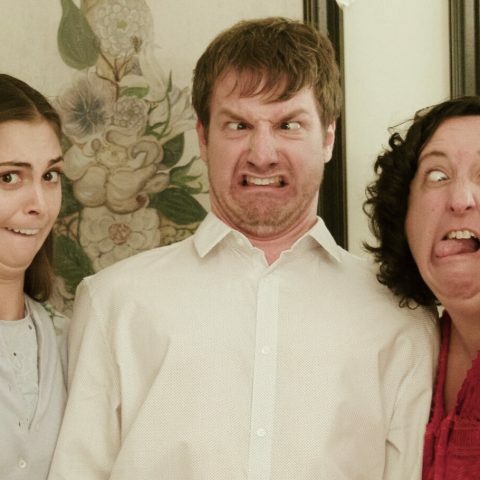 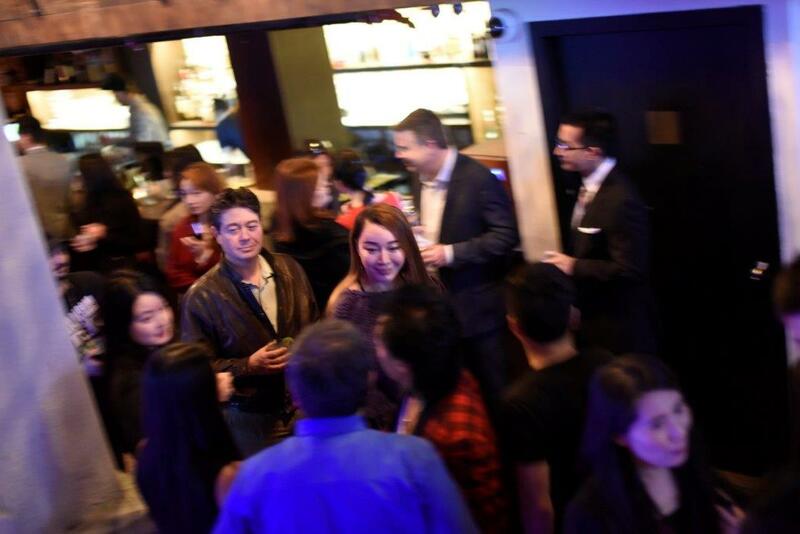 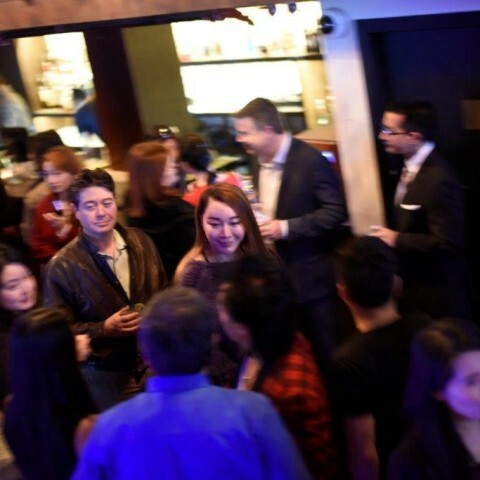 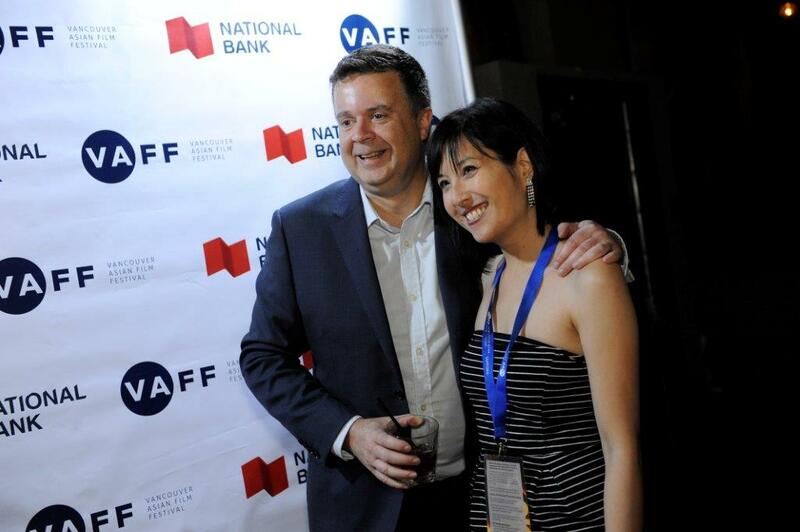 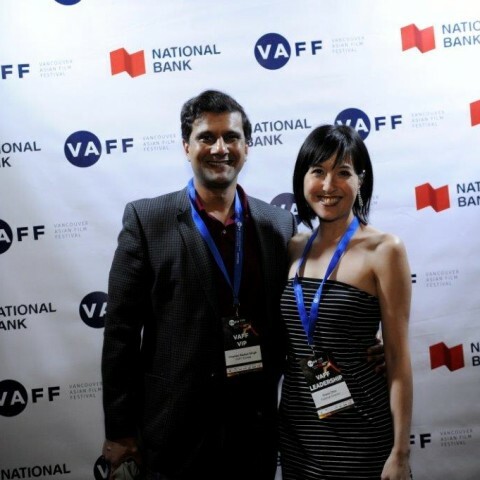 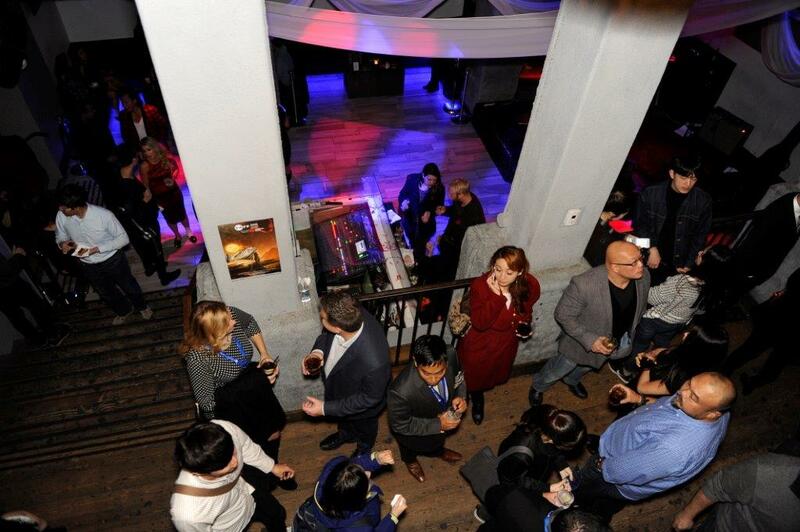 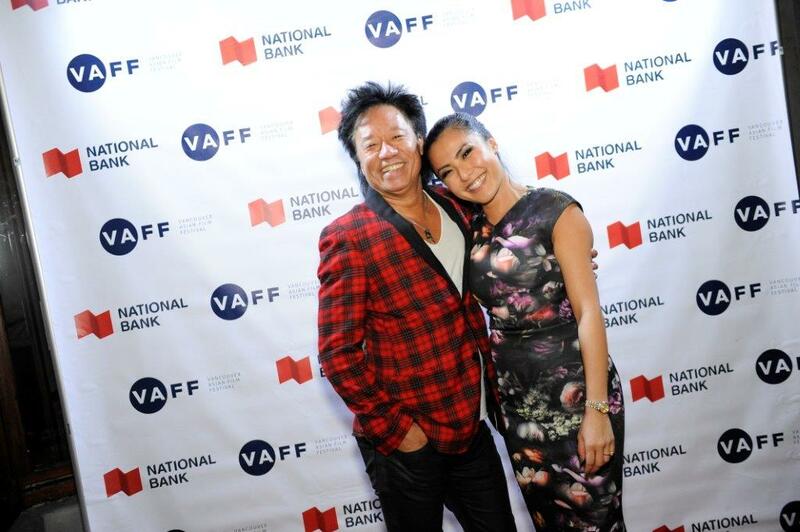 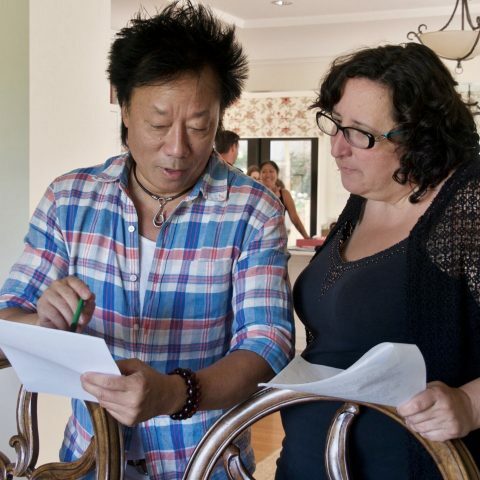 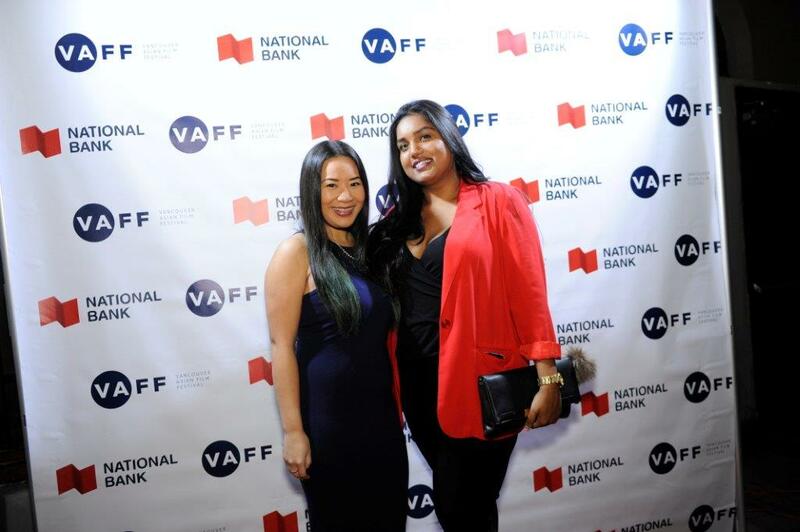 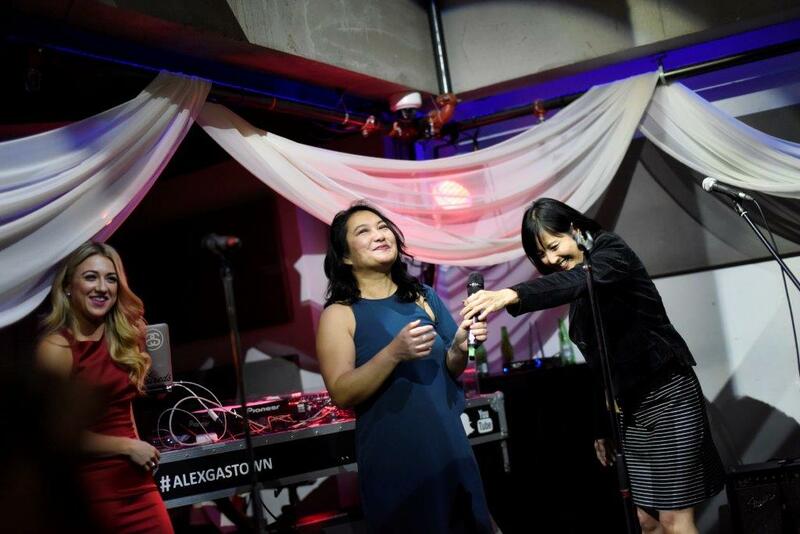 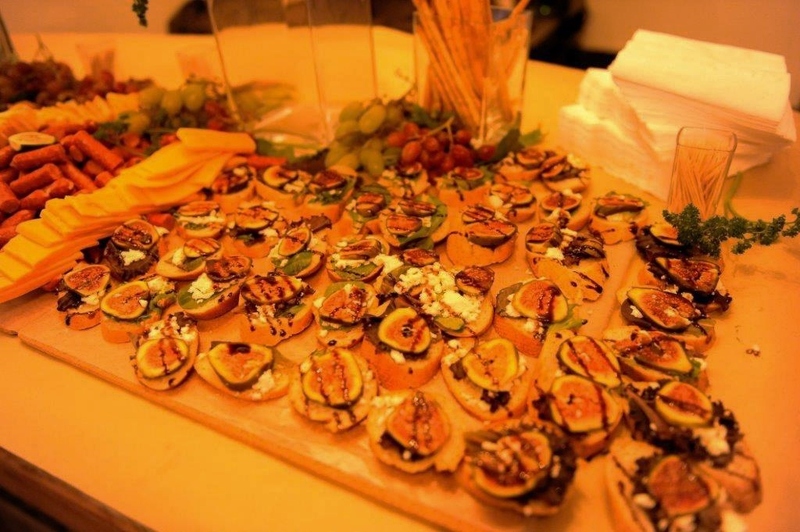 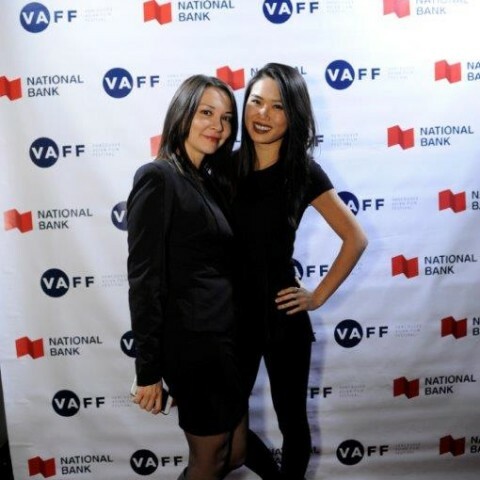 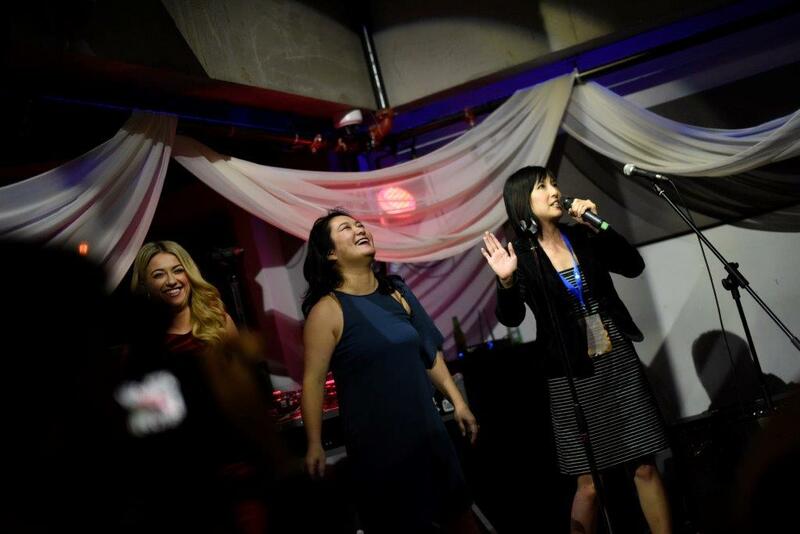 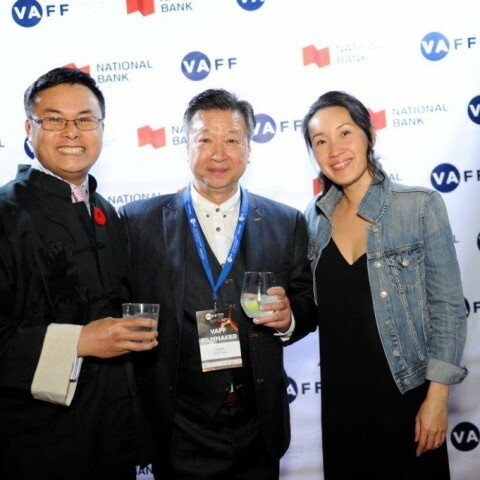 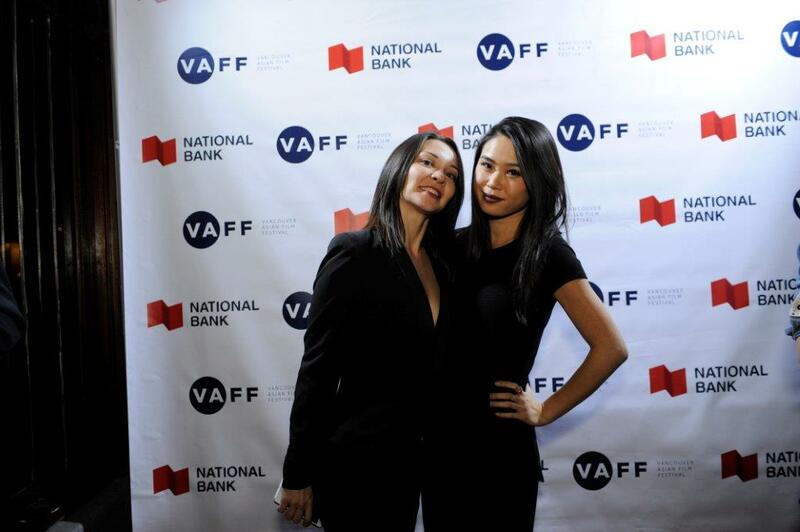 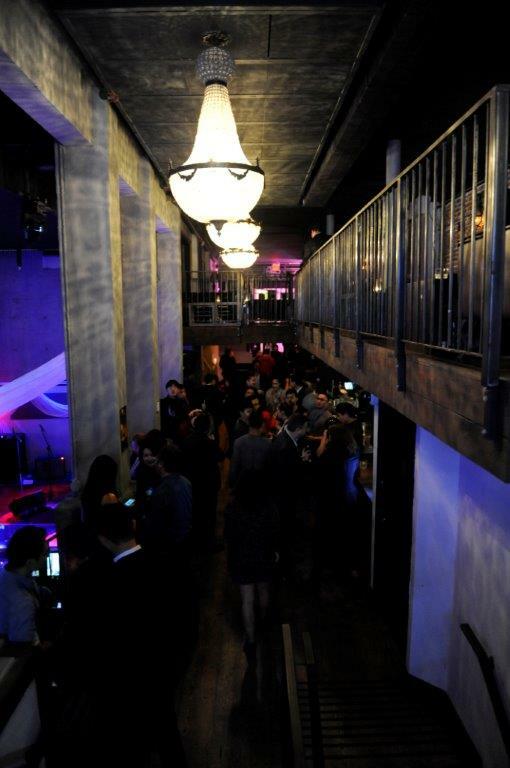 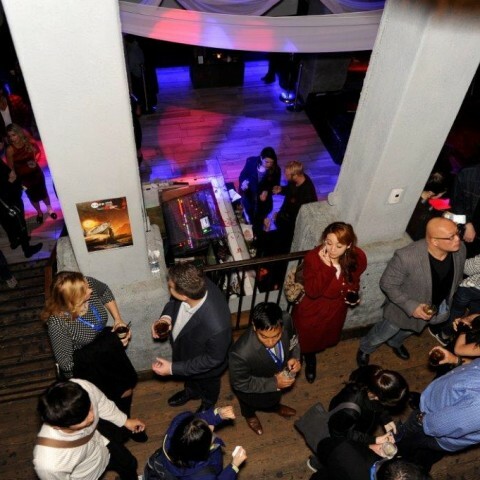 Vancouver — YVRFF is toasting to a New Year and itʼs second annual festival. 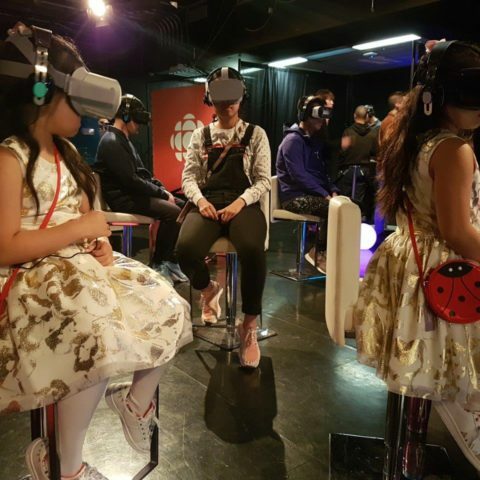 Established in 2017 the festival is one of the ﬁrst of its kind welcoming audiences in to experience the magic of VR Film. 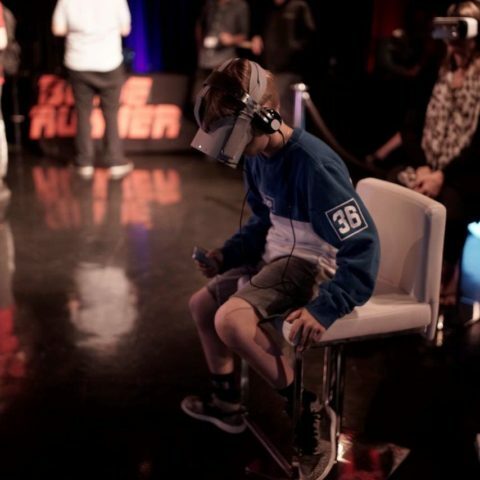 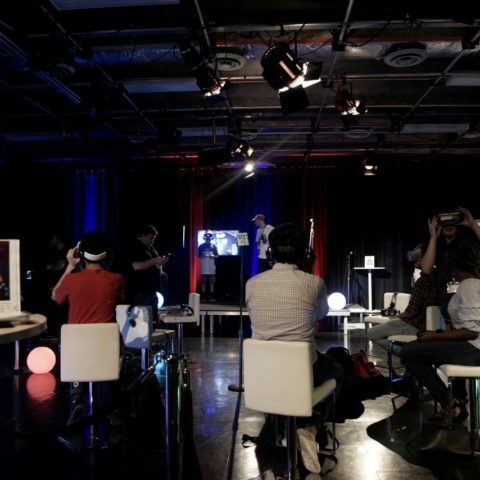 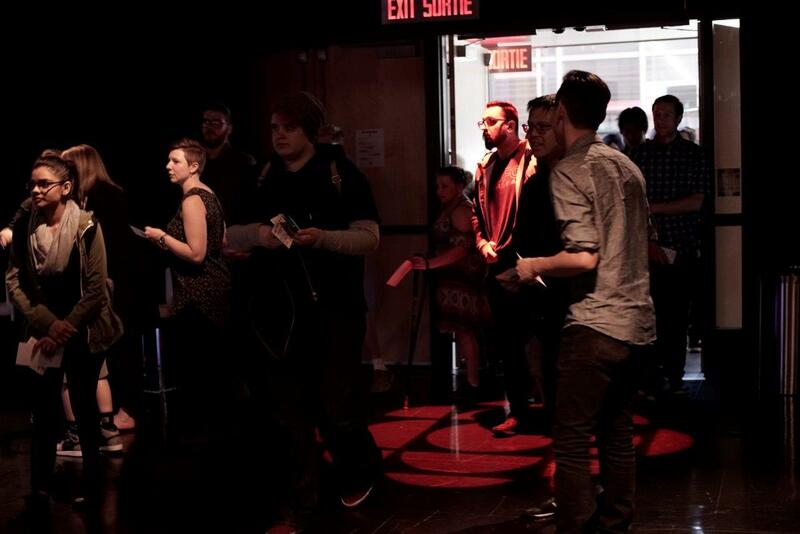 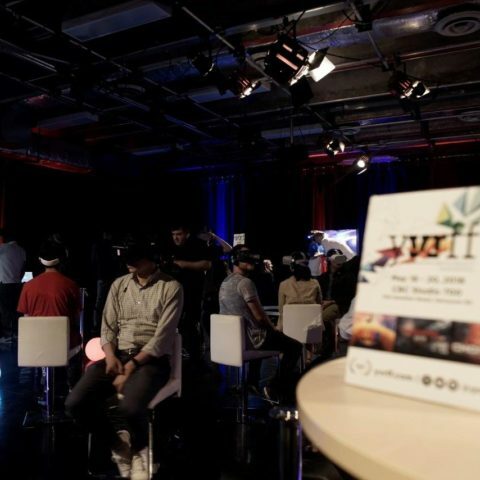 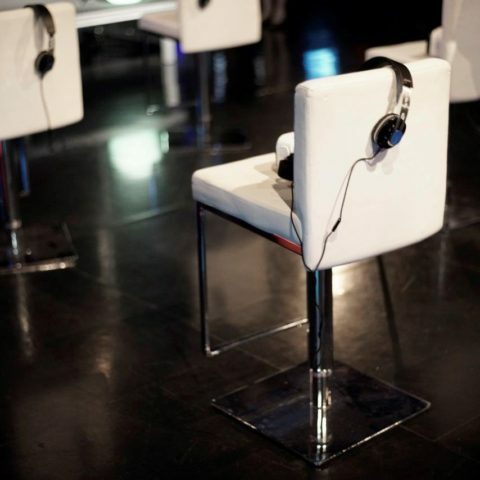 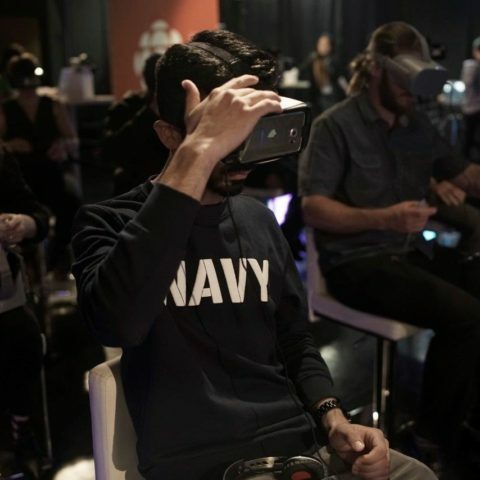 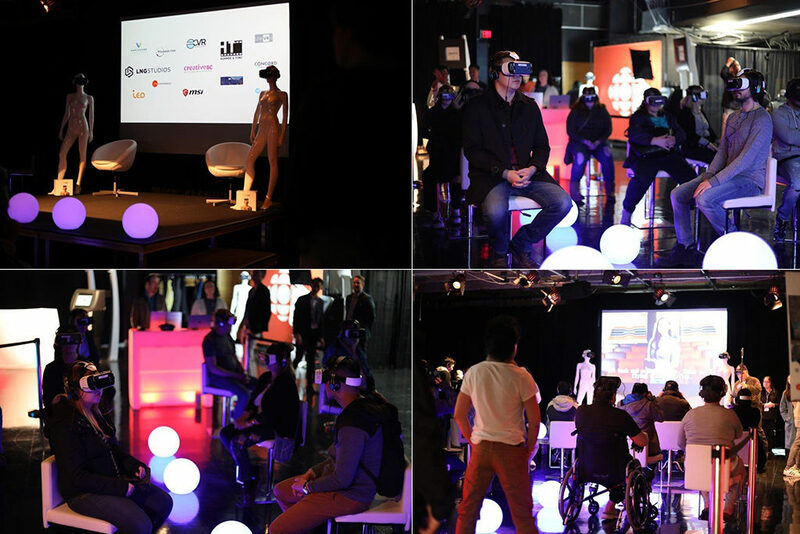 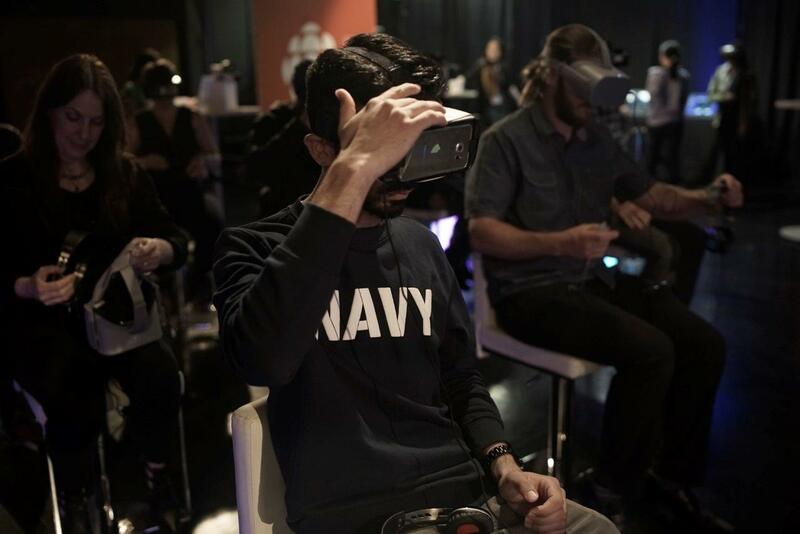 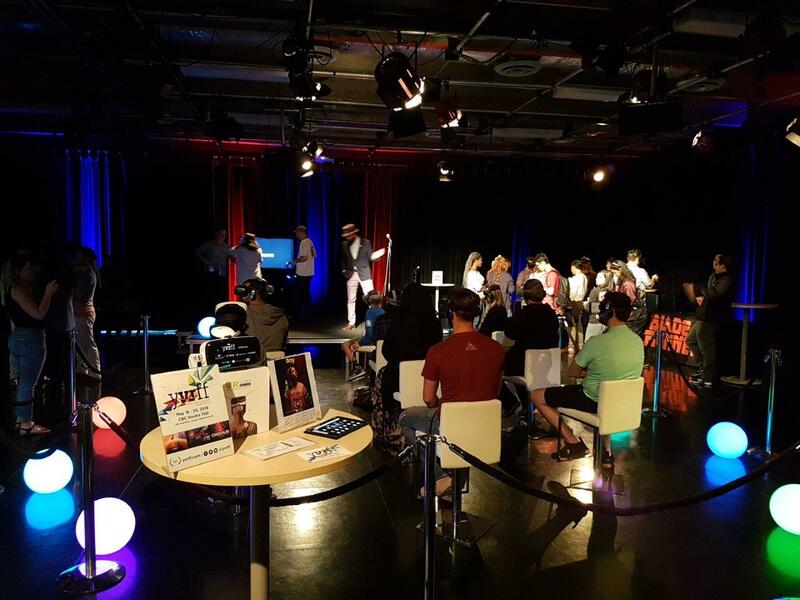 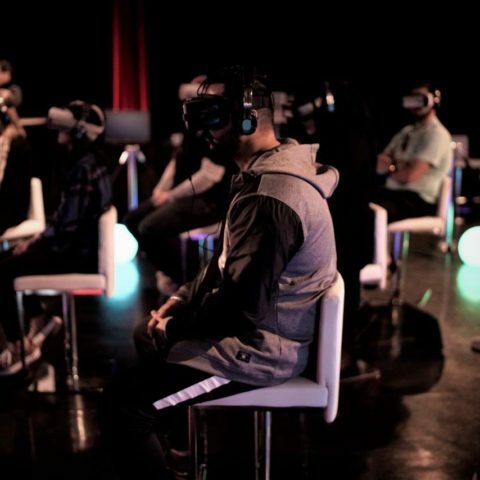 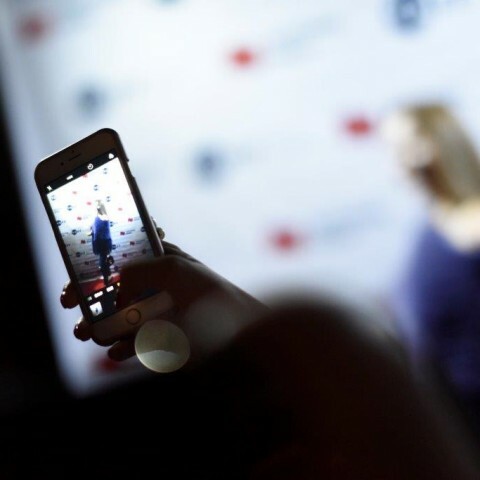 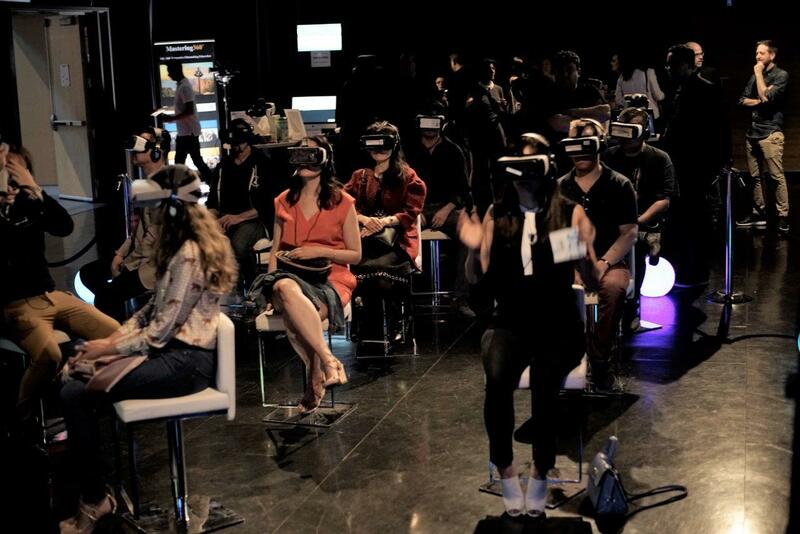 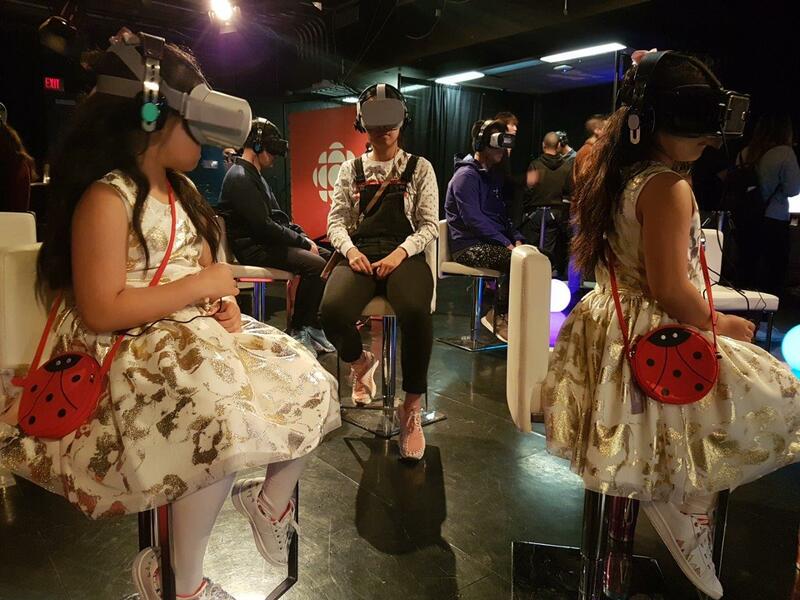 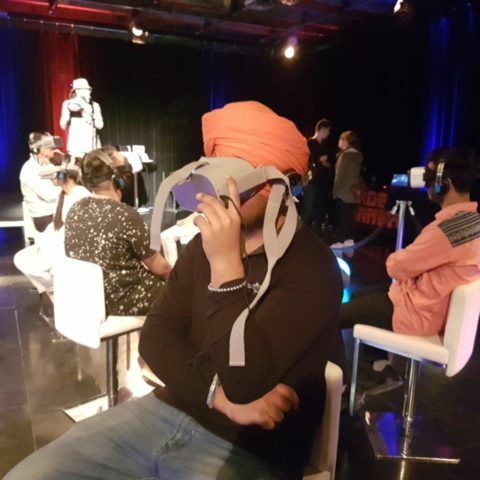 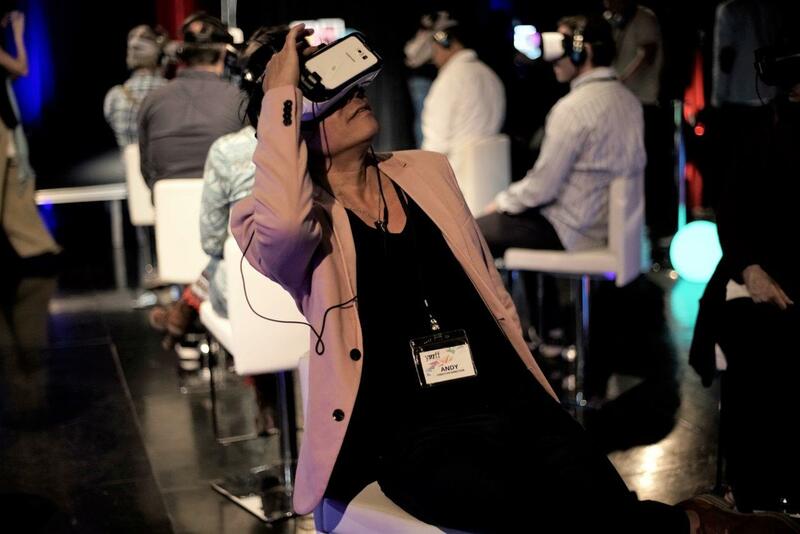 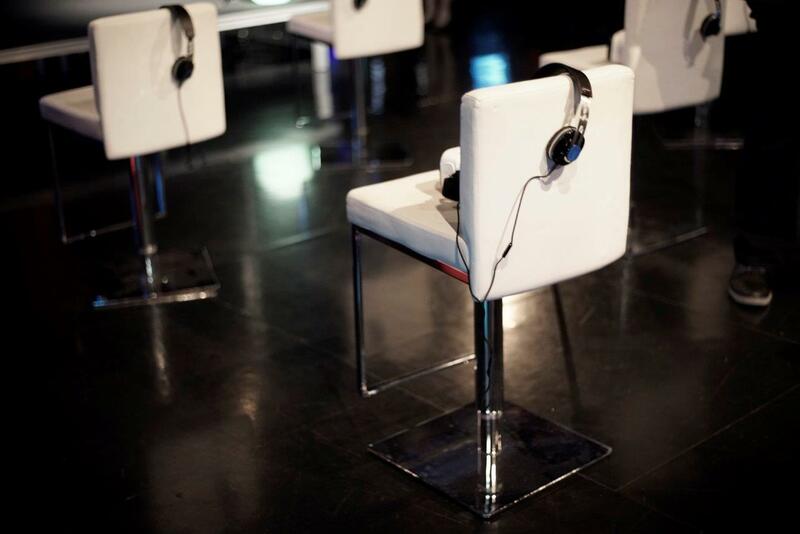 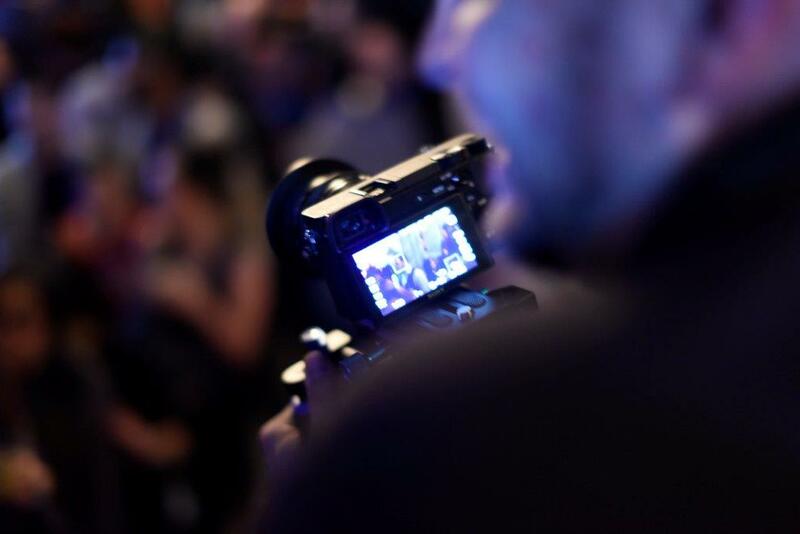 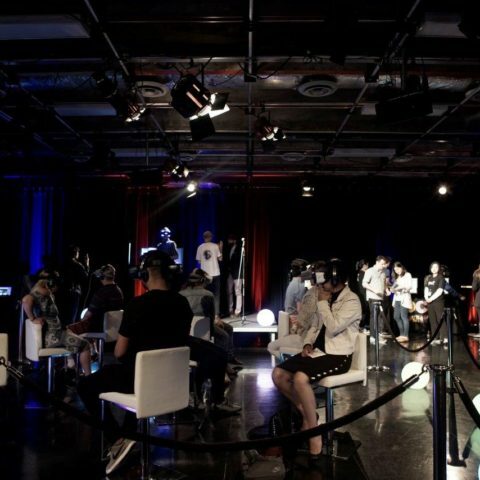 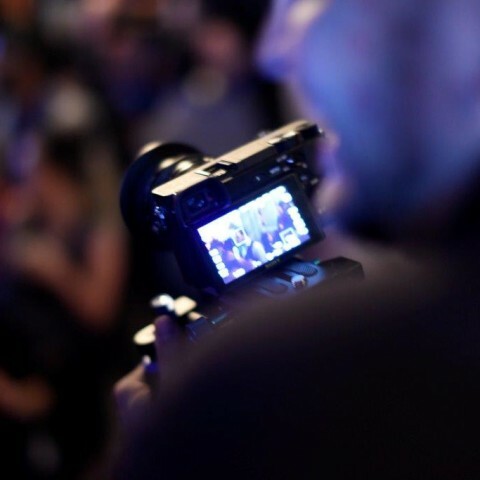 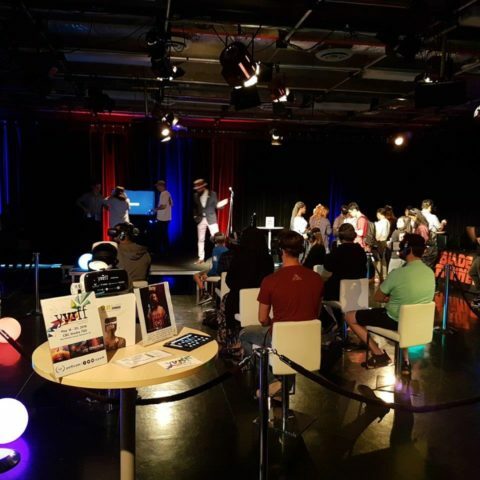 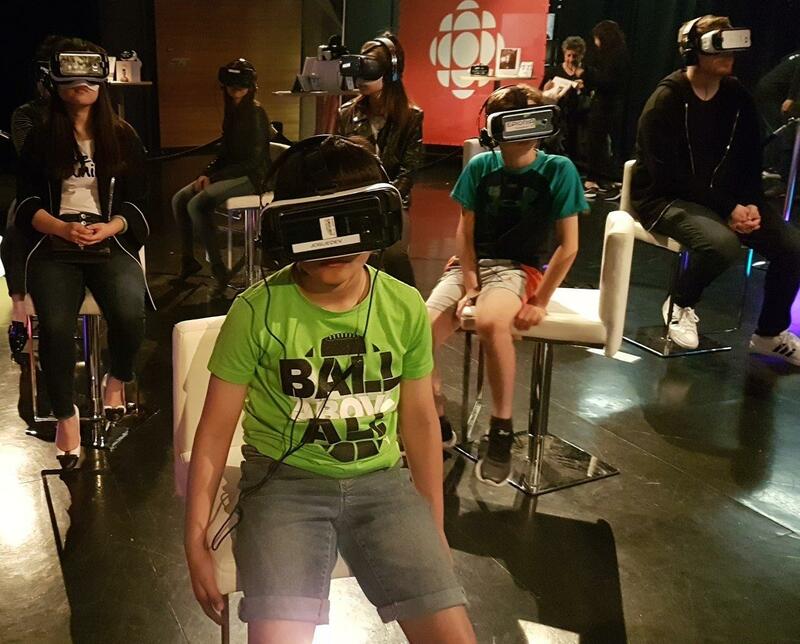 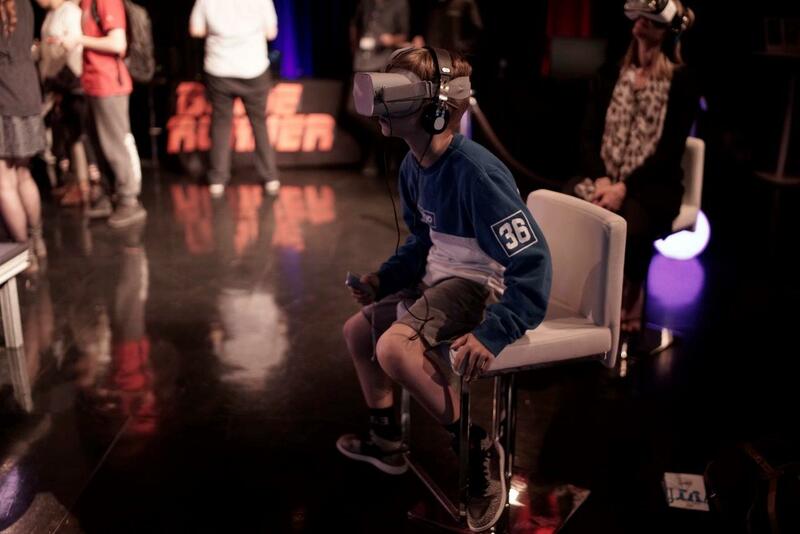 This year from May 18-20 at CBC Studio 700 in Vancouver, the 2 day event will have a rich offering of public screenings, VR activations, and special guests from the industry. 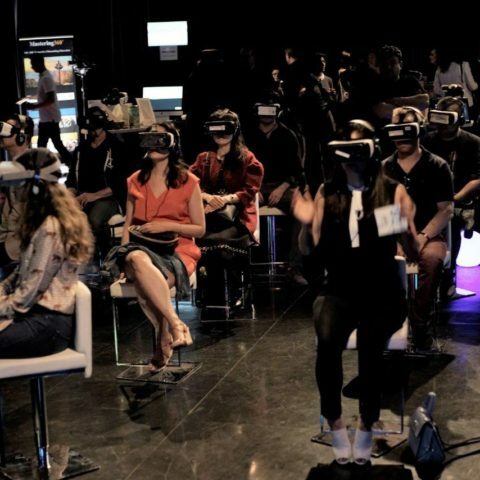 The Festival will kick off with an exciting opening night Gala that will celebrate VR ﬁlms advances and success within the global spotlight. 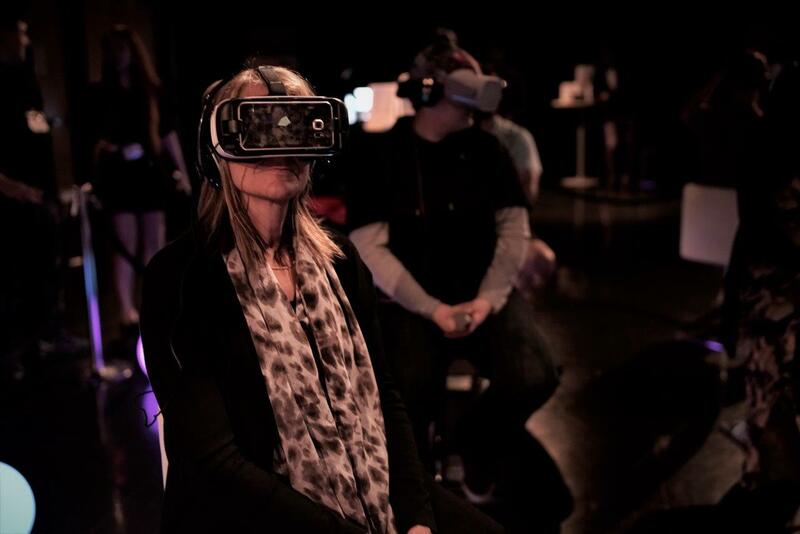 Submissions opened November 15th and have already received an overwhelming response from VR ﬁlmmakers from around the world. 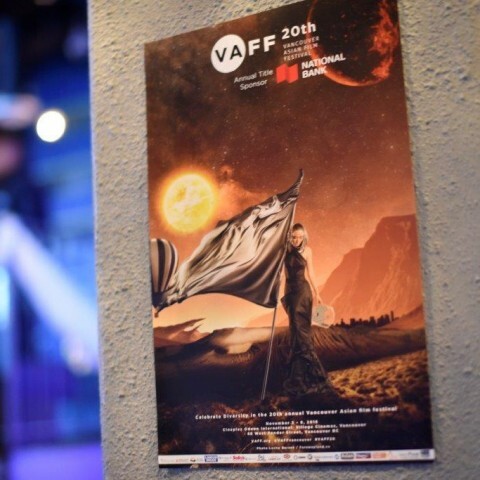 Last year the Festival received over 100 entries worldwide and festival programming expects to surpass that as the it continues to expand. 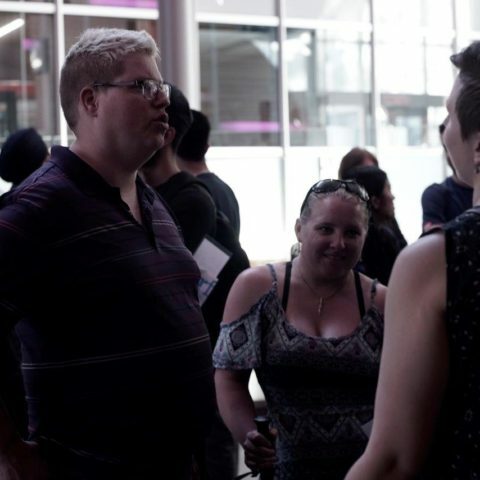 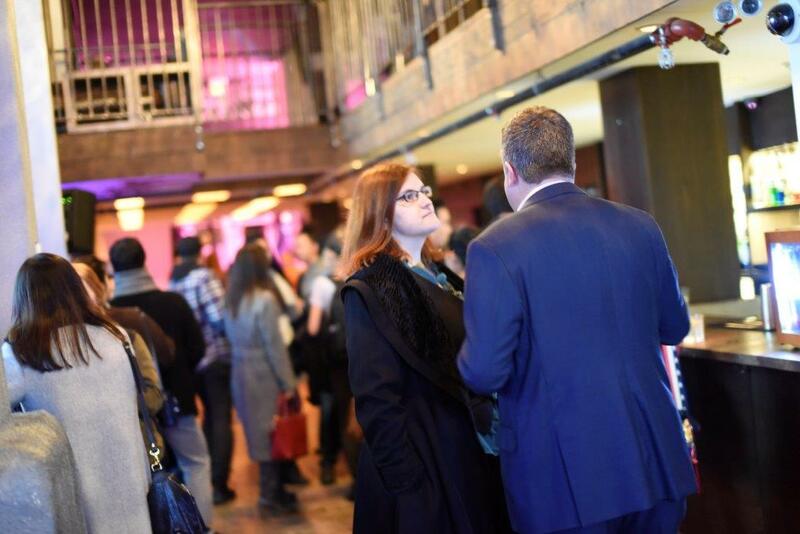 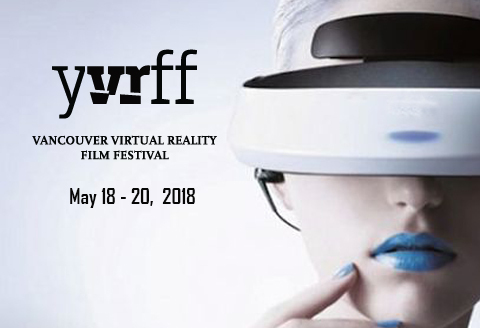 The submission deadline for YVRFF 2018 will be March 31, 2018 and the ﬁlms selected to be screened will be announced April, 13 2018. 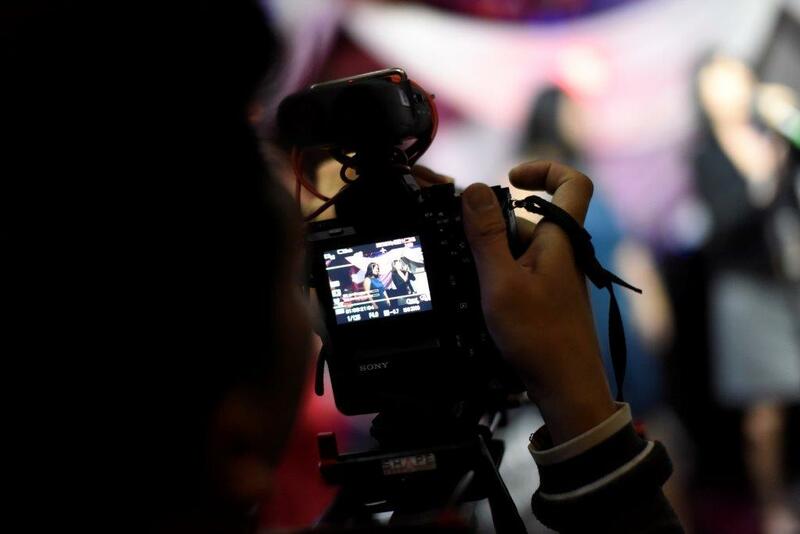 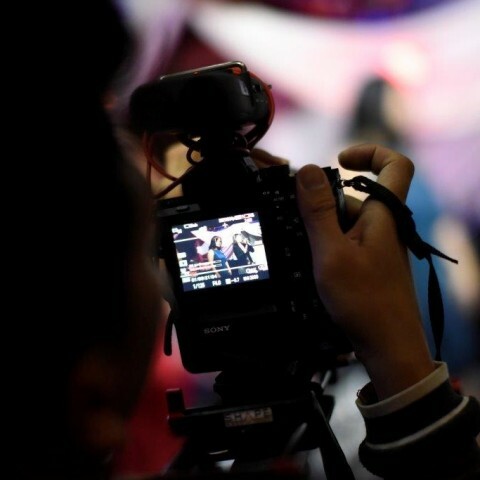 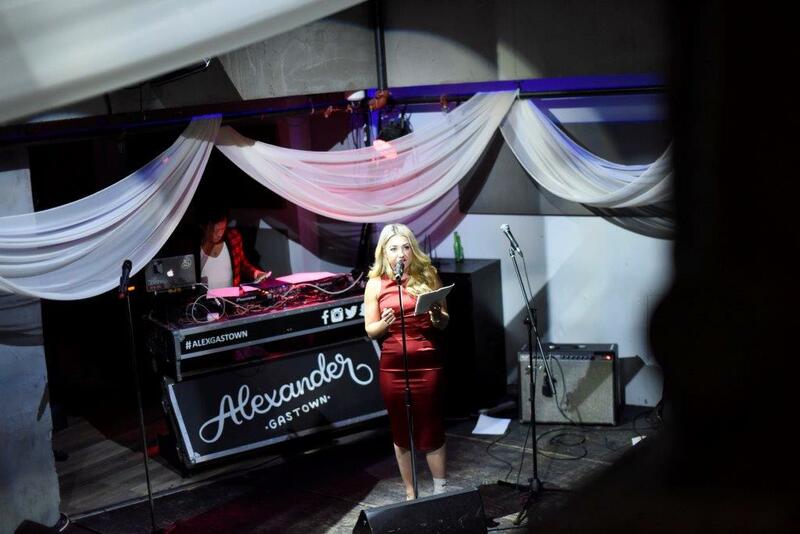 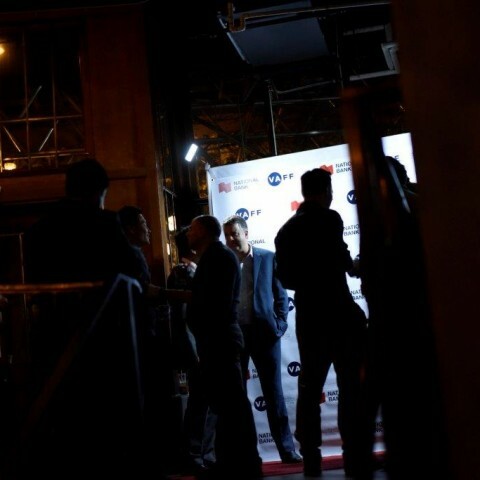 Filmmakers can submit their entries via filmfreeway.com. 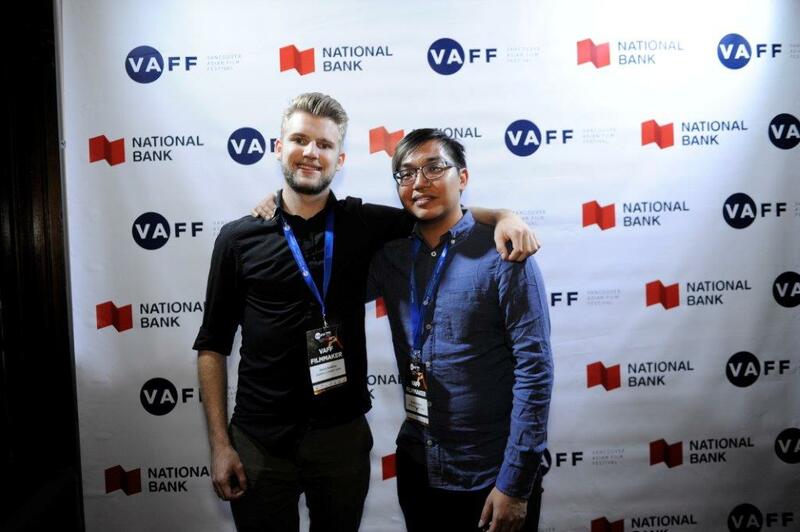 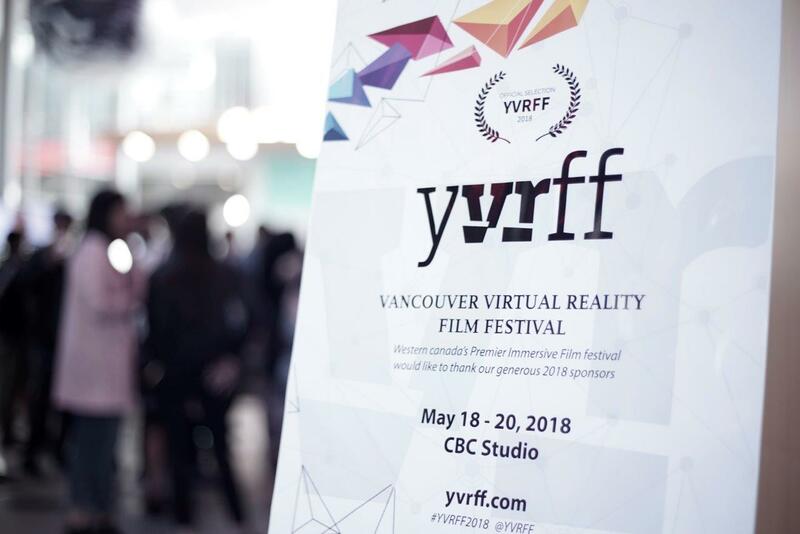 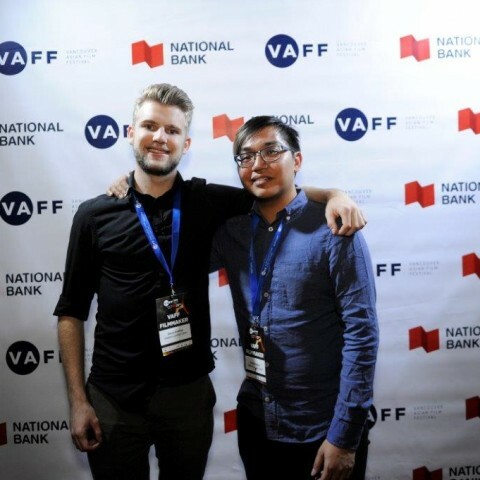 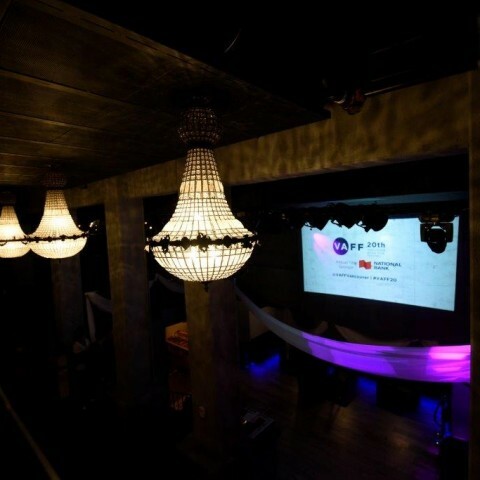 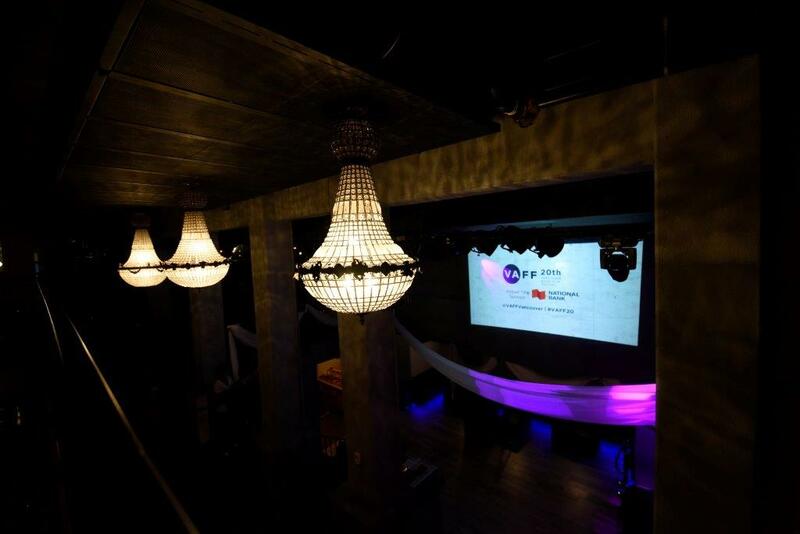 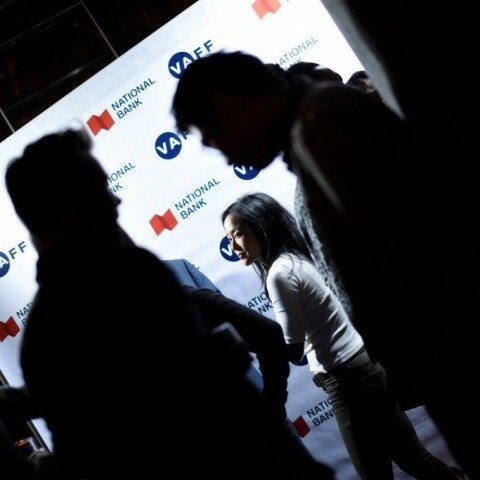 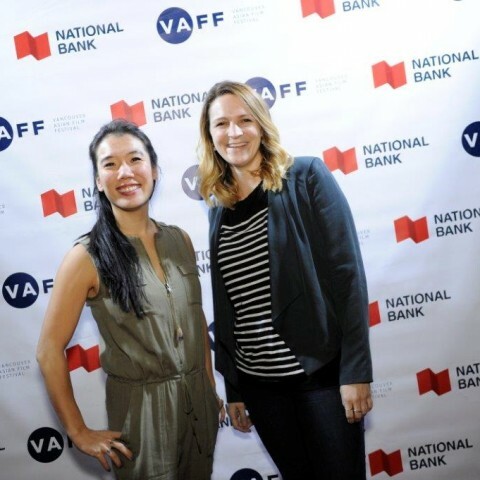 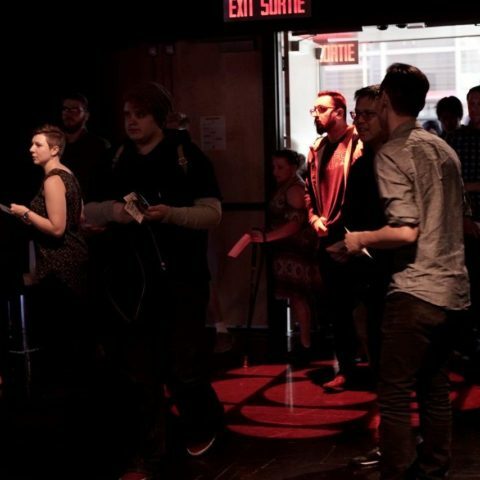 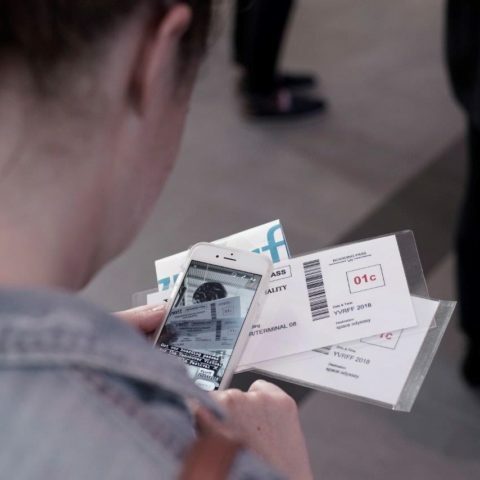 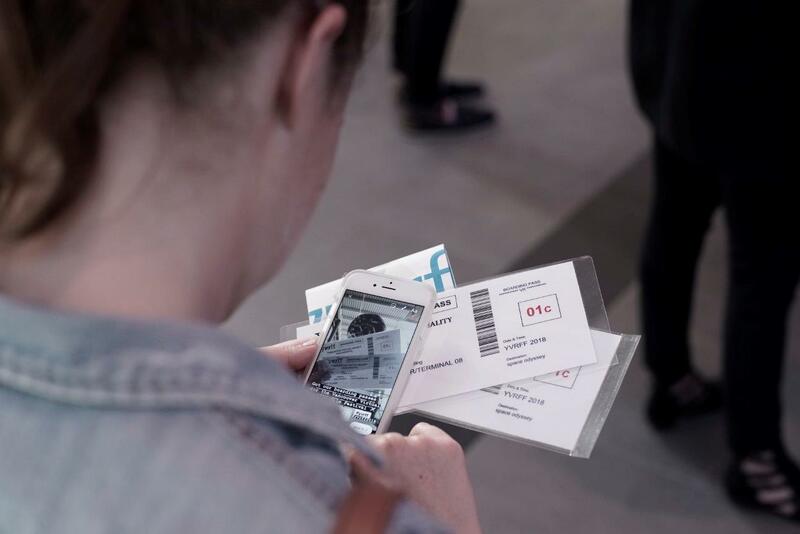 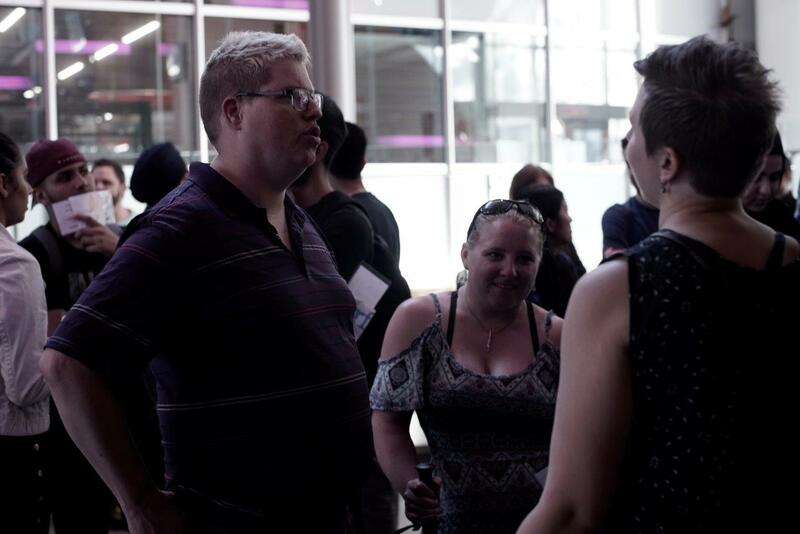 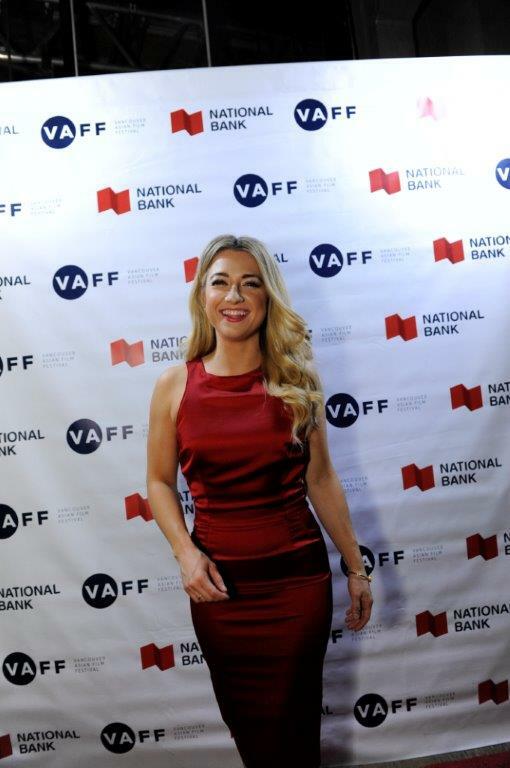 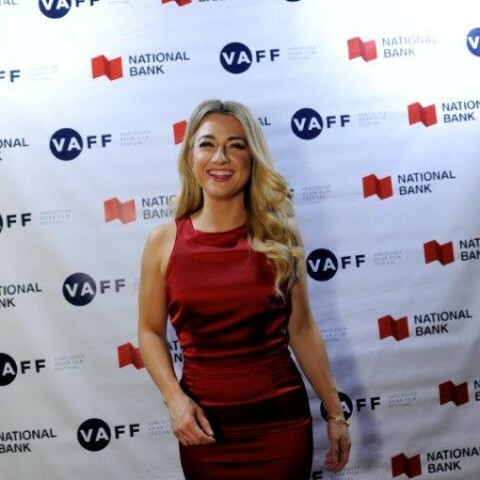 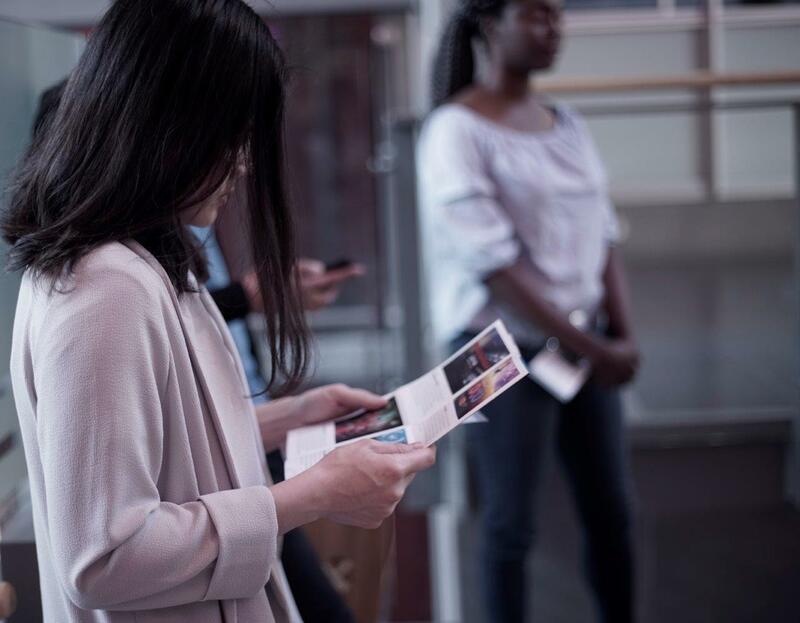 YVRFF is the premier VR film festival in Western Canada, cultivating a strong community of VR filmmakers and enthusiasts from across the globe. 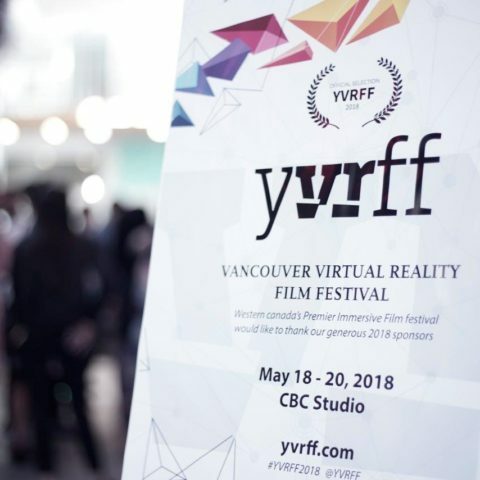 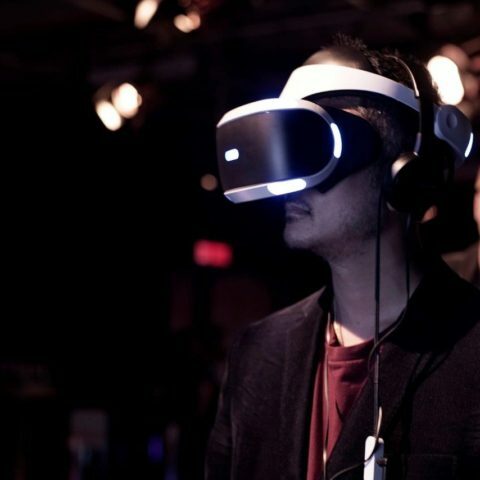 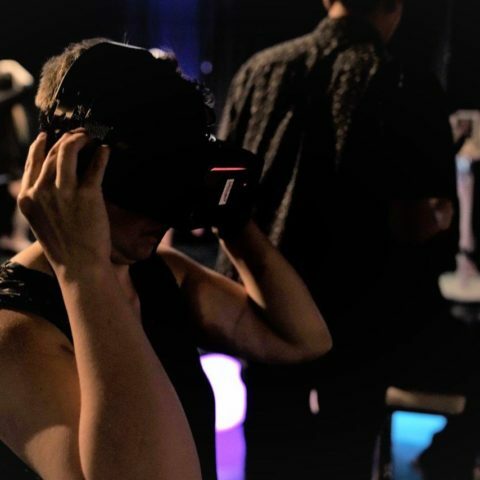 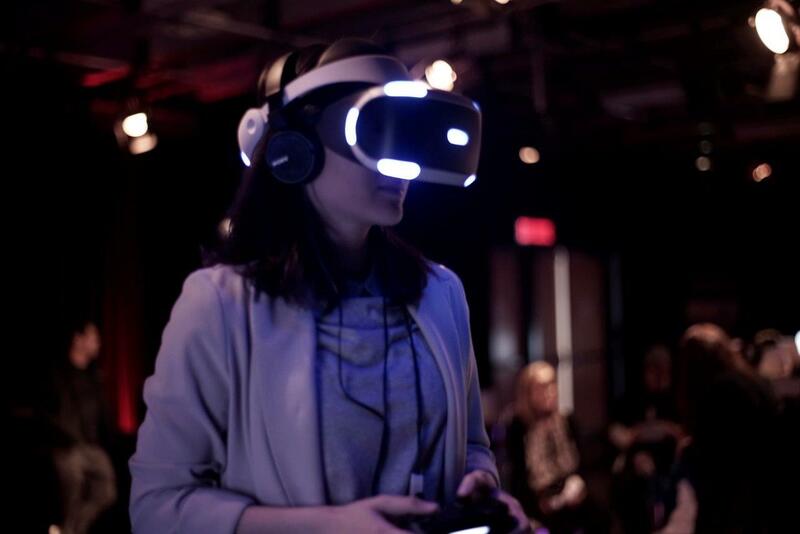 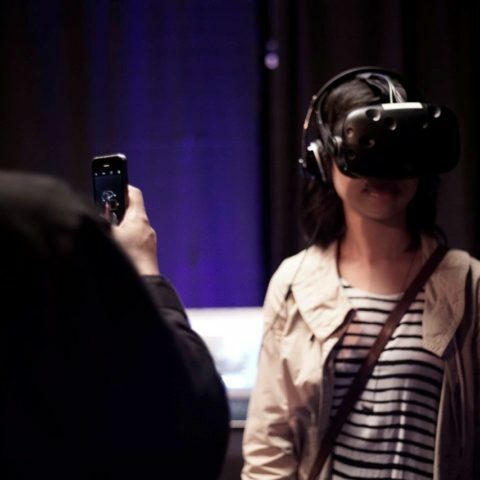 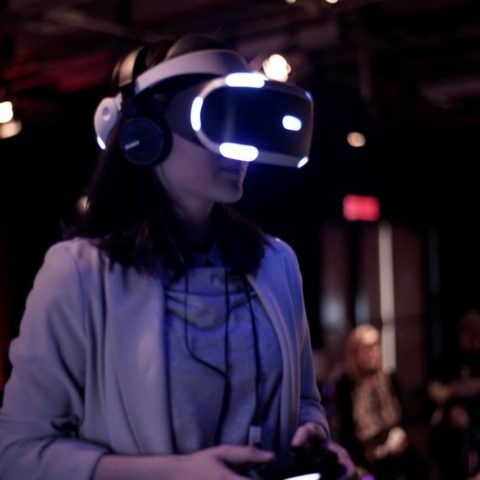 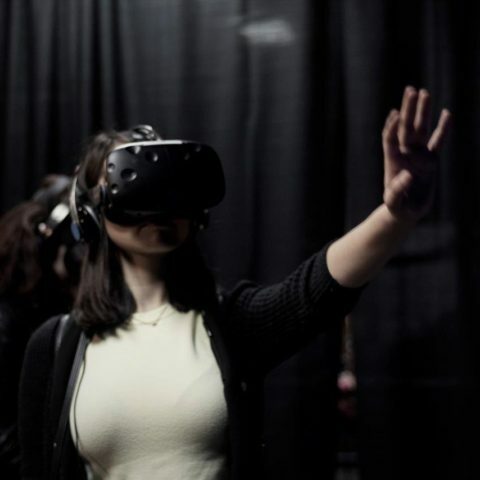 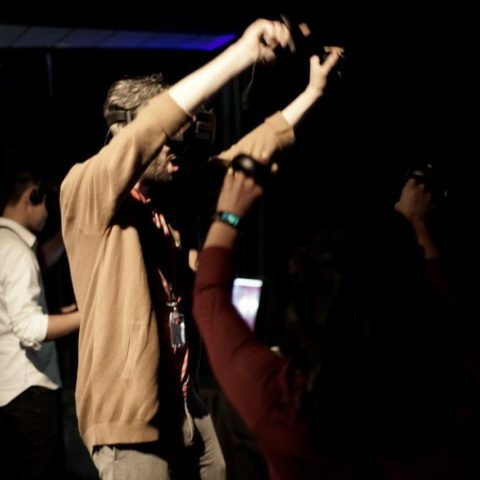 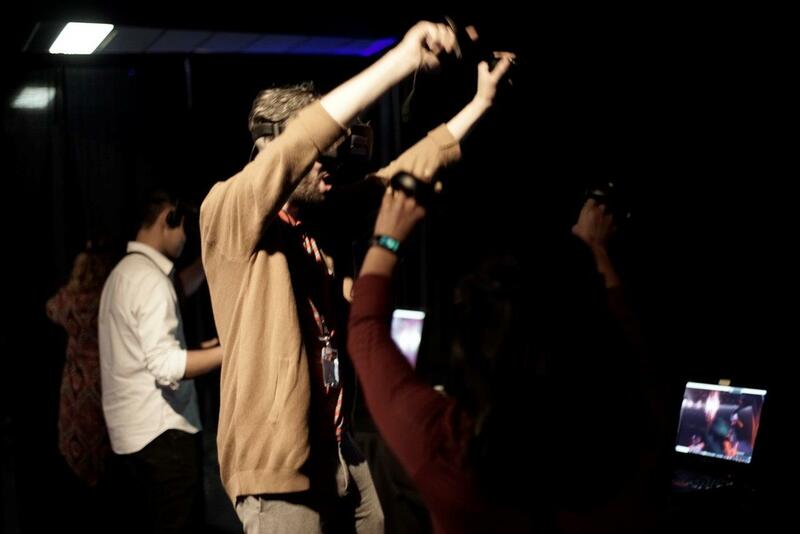 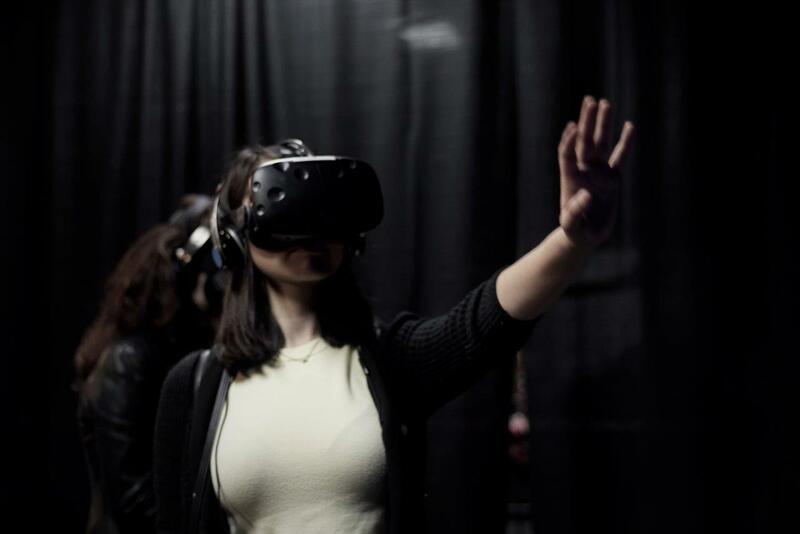 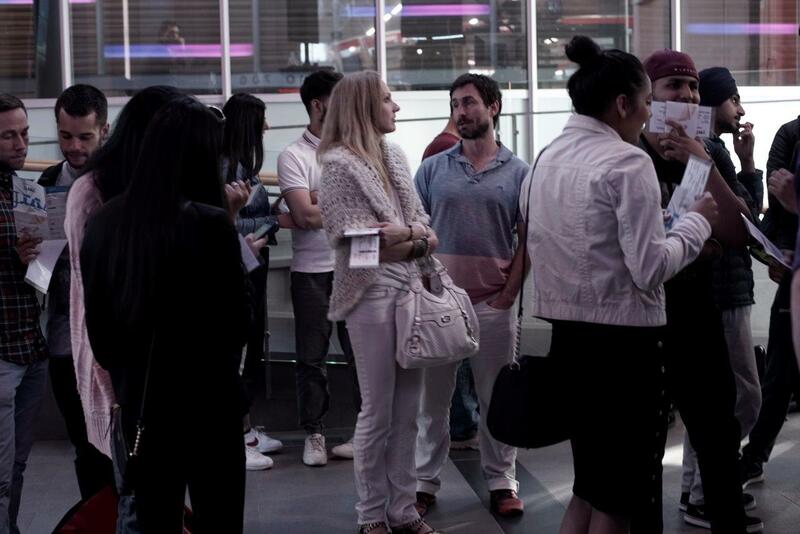 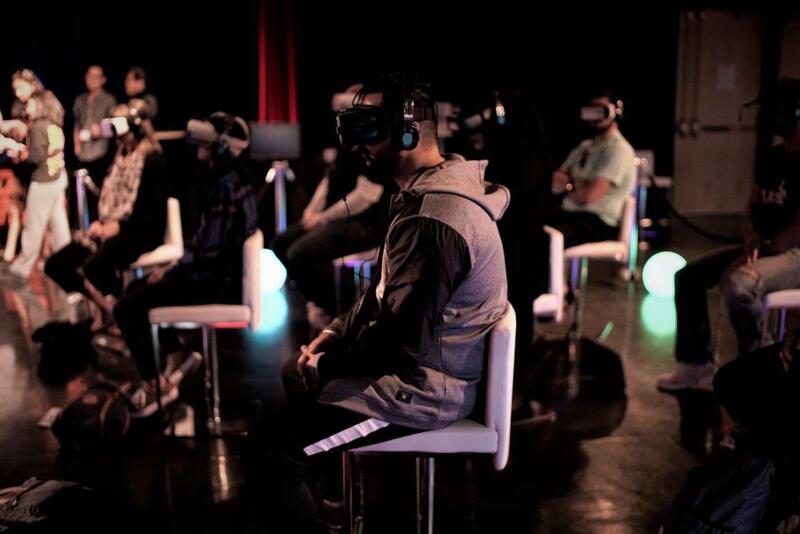 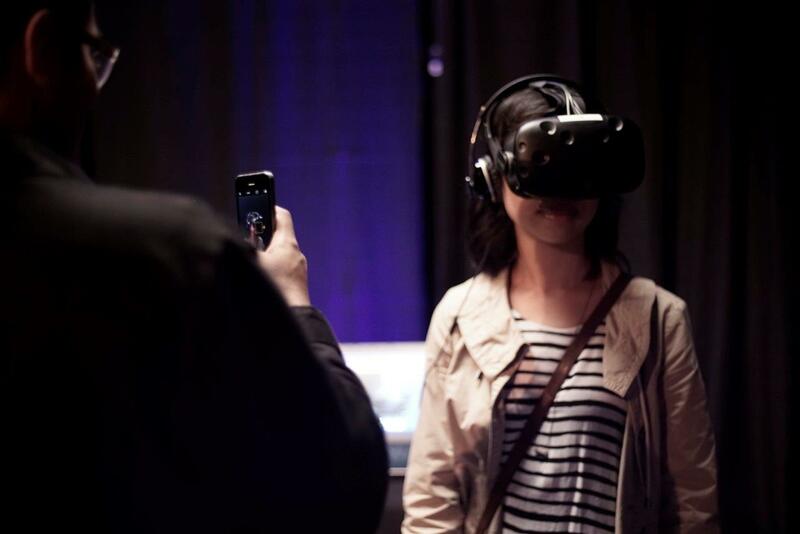 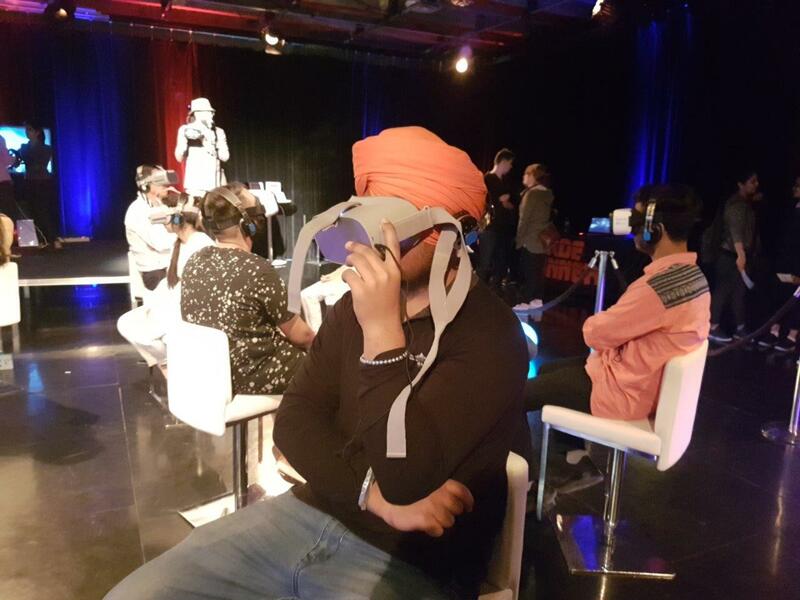 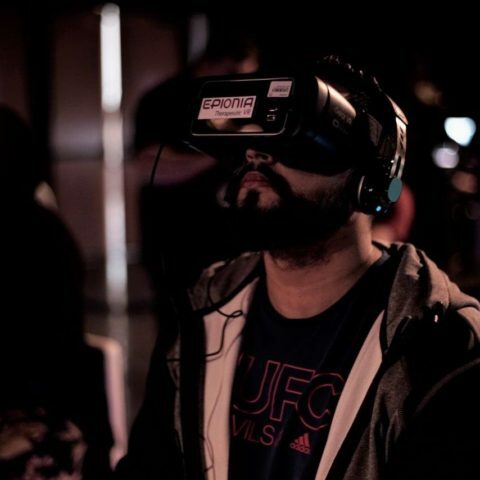 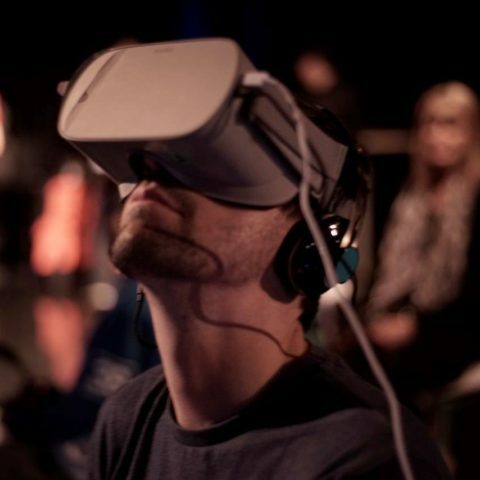 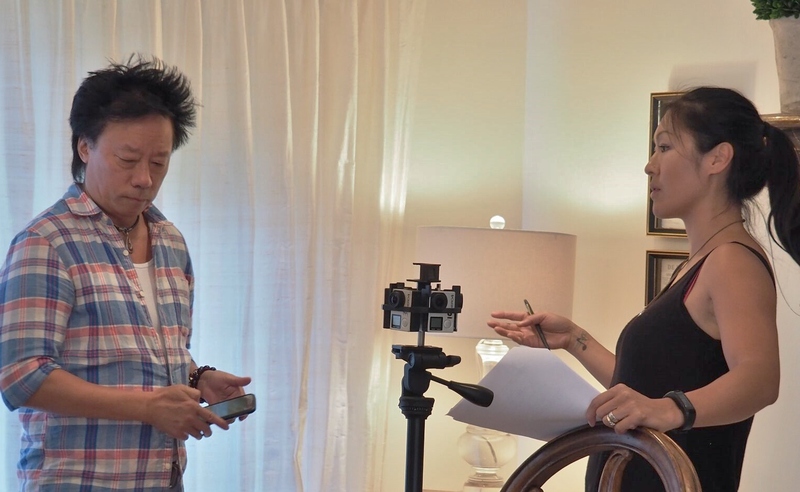 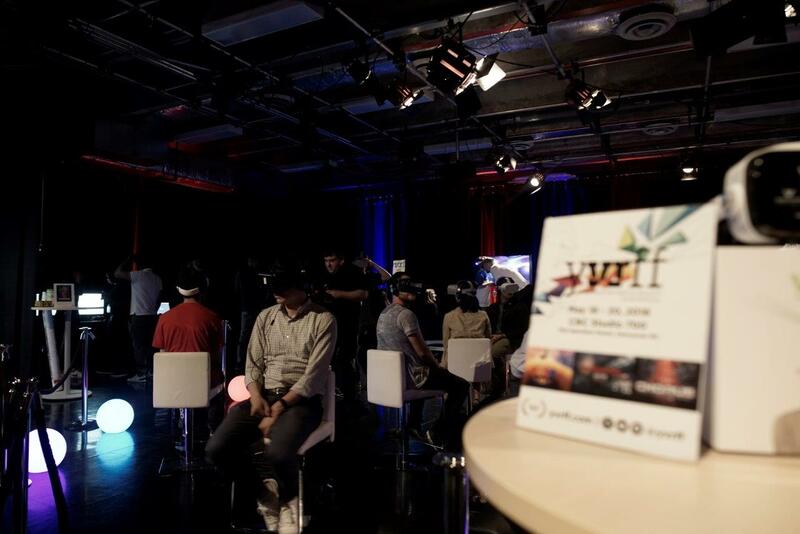 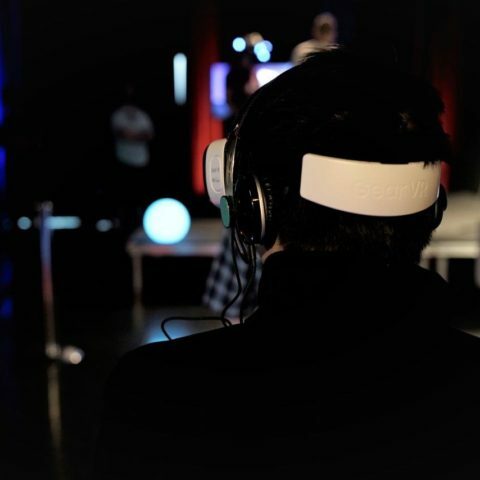 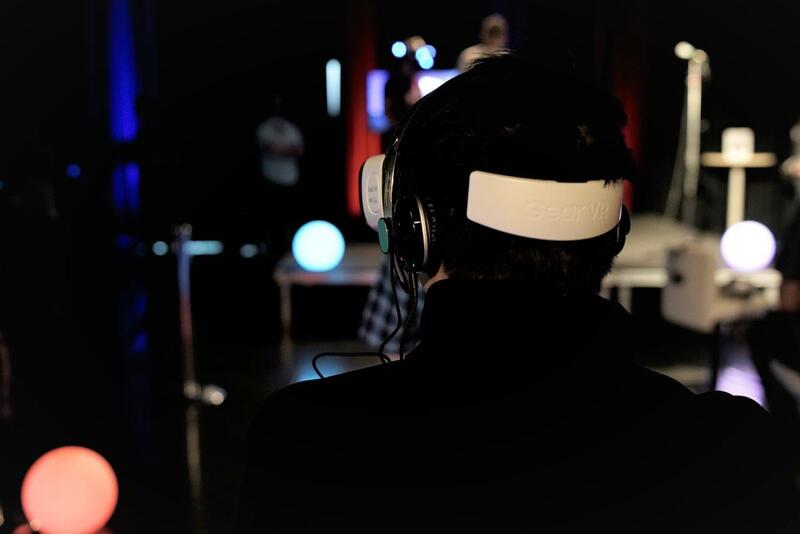 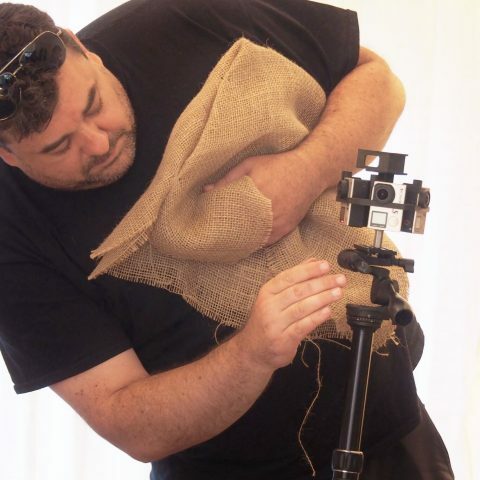 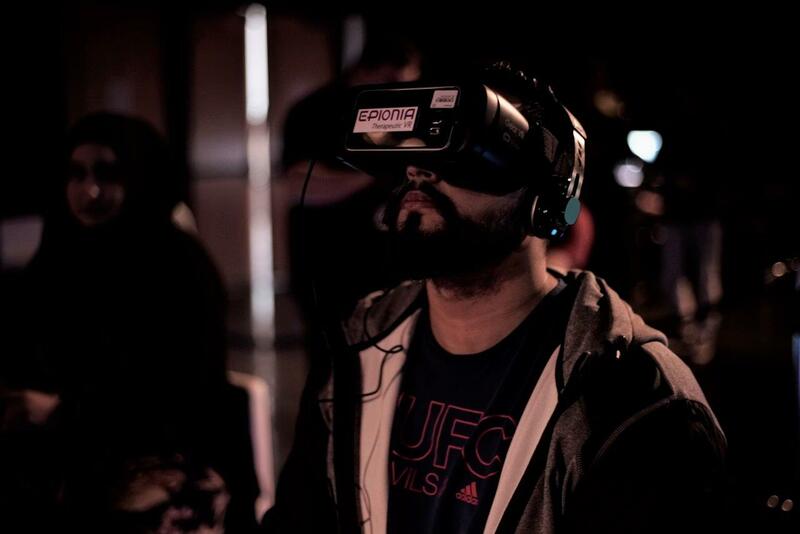 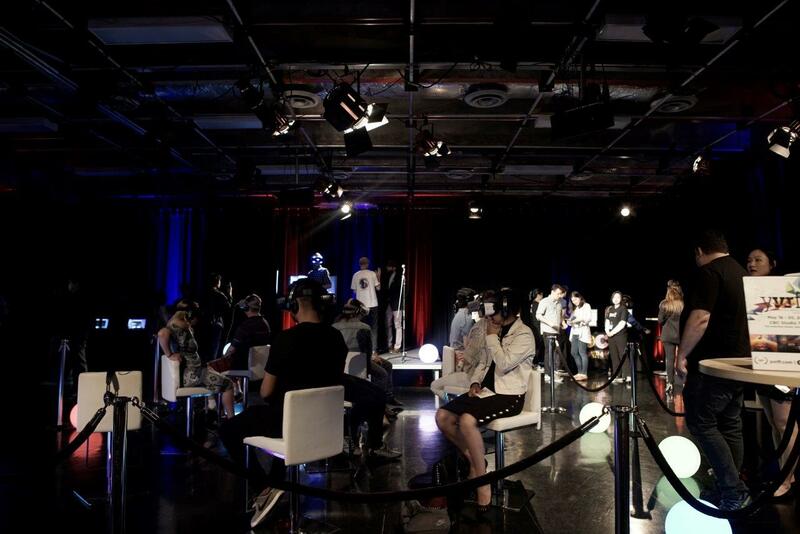 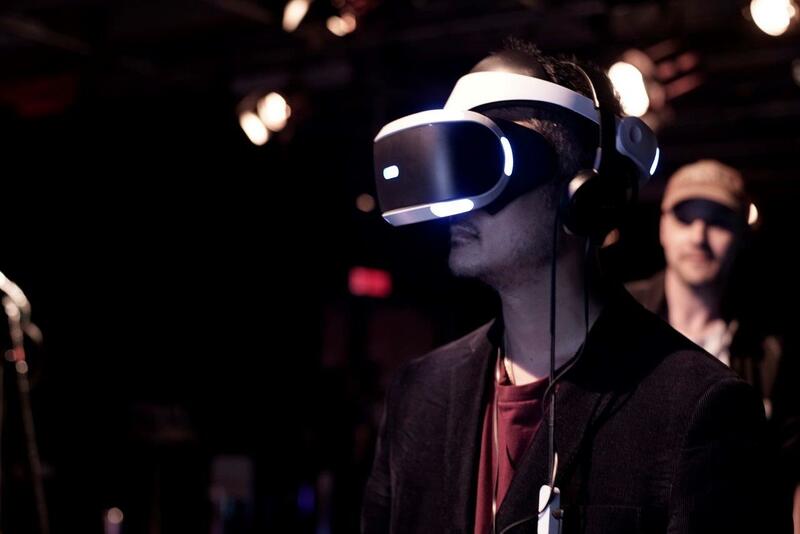 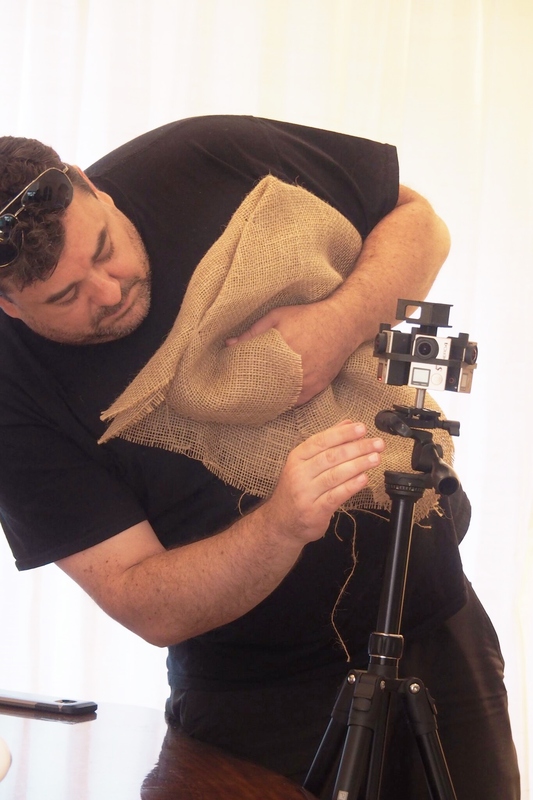 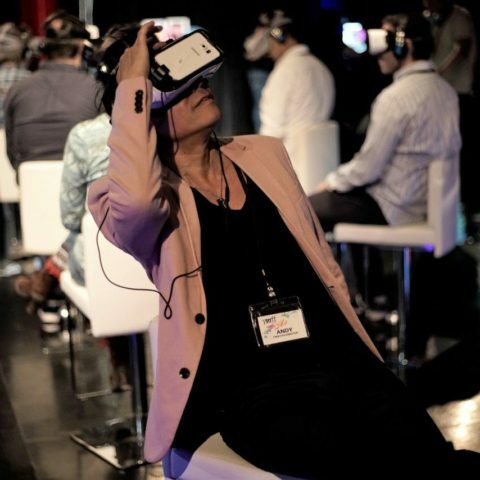 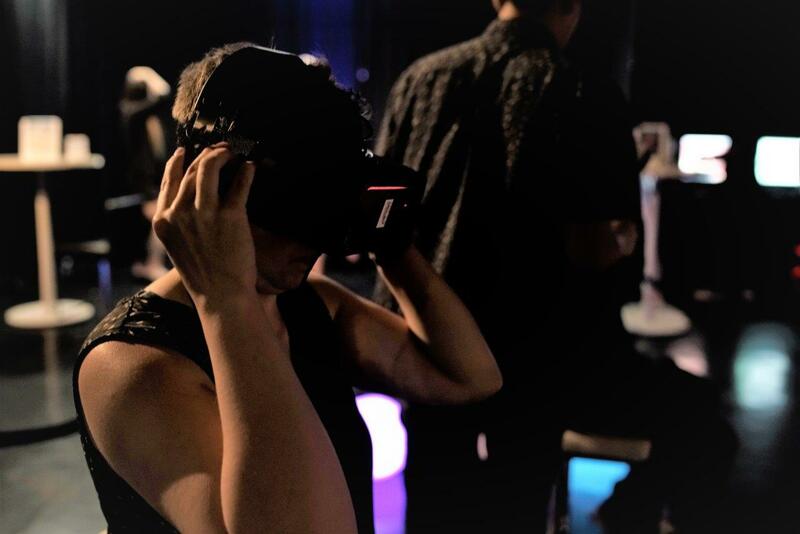 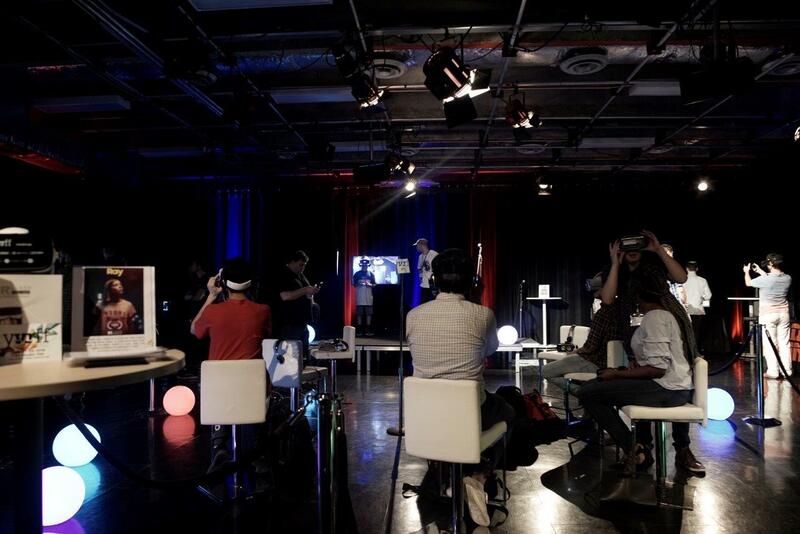 YVRFF aims to make VR accessible to anyone with an interest or passion in virtual reality. All within a world class festival setting in beautiful Vancouver, BC. 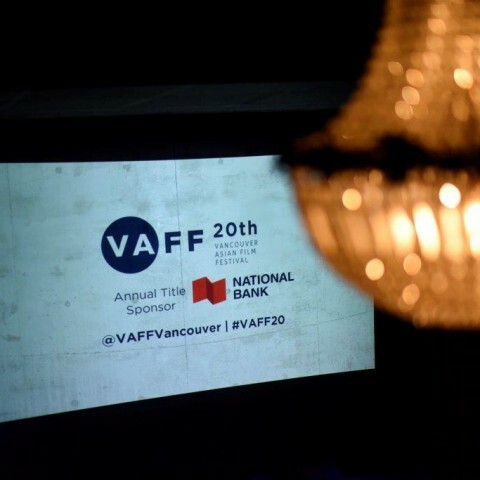 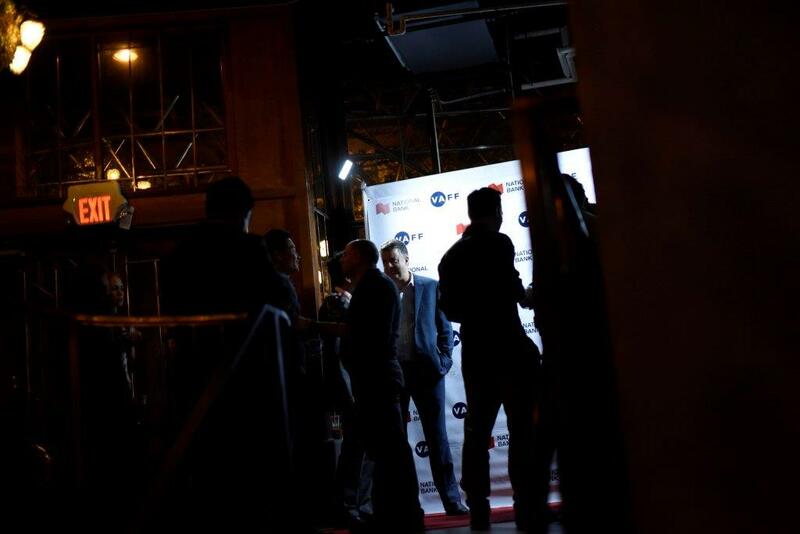 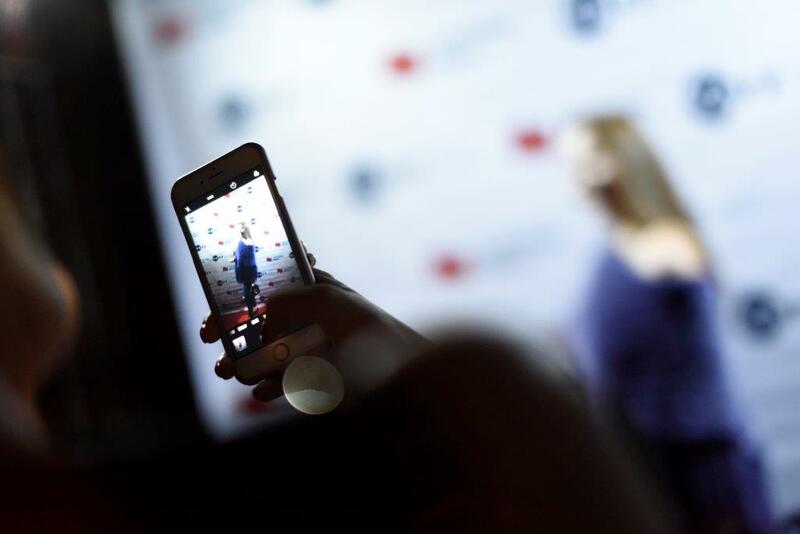 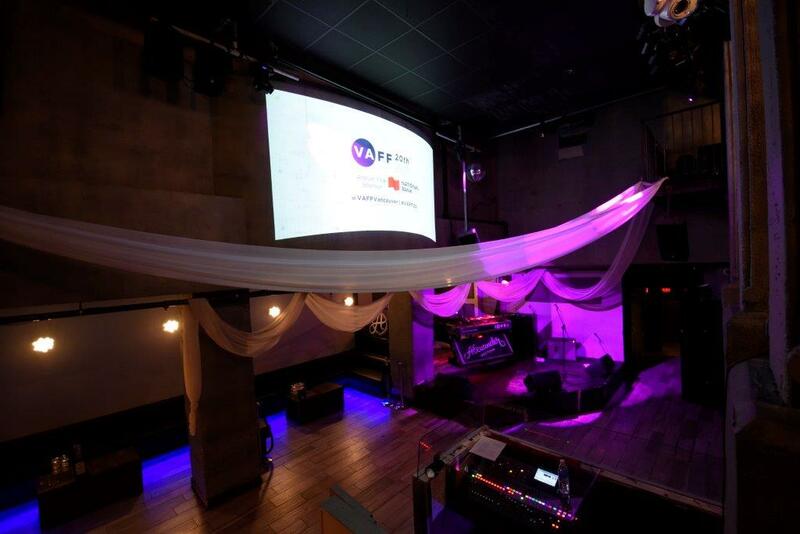 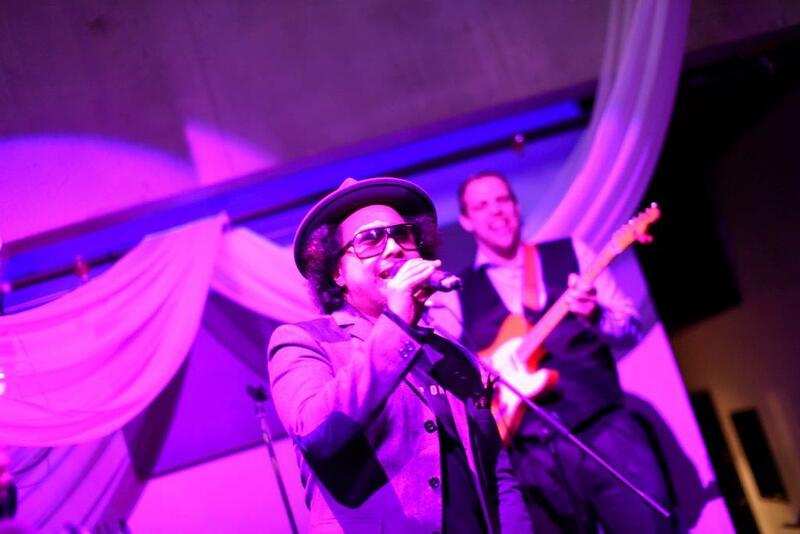 Or visit our website and social media for all YVRFF updates. 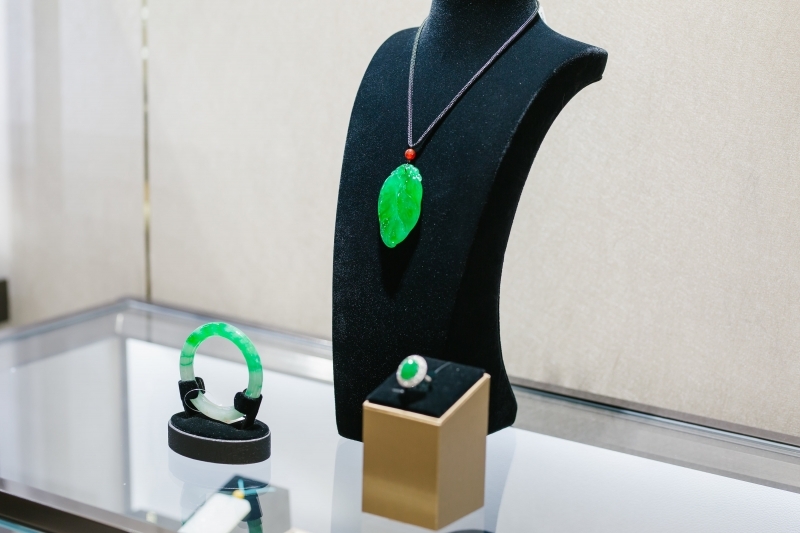 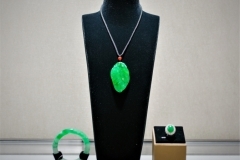 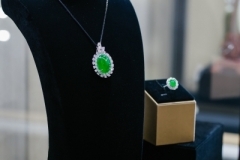 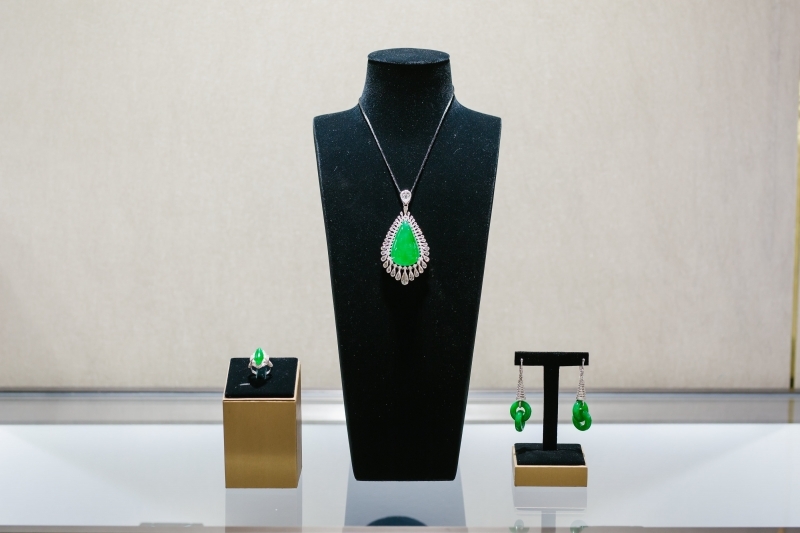 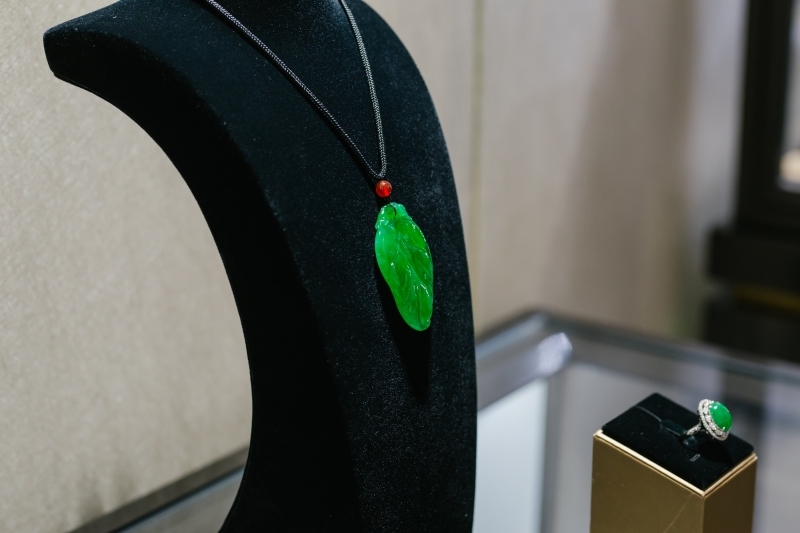 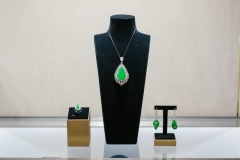 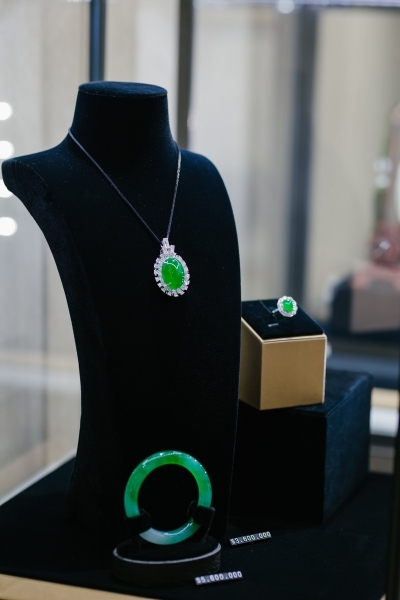 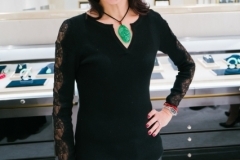 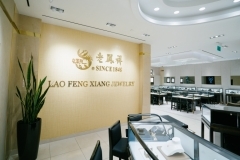 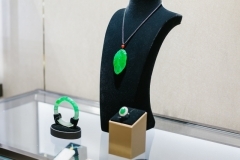 Lao Feng Xiang’s celebrated Jadeite collection is once again returning to Vancouver. 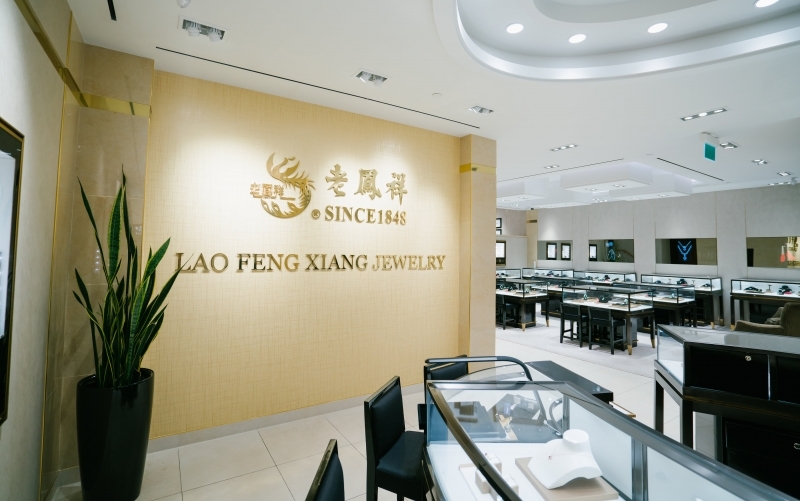 These stunning designs are handcrafted by Art Masters and Expert Craftsmen, in whose hands Lao Feng Xiang brings the spirit of Chinese culture to life. 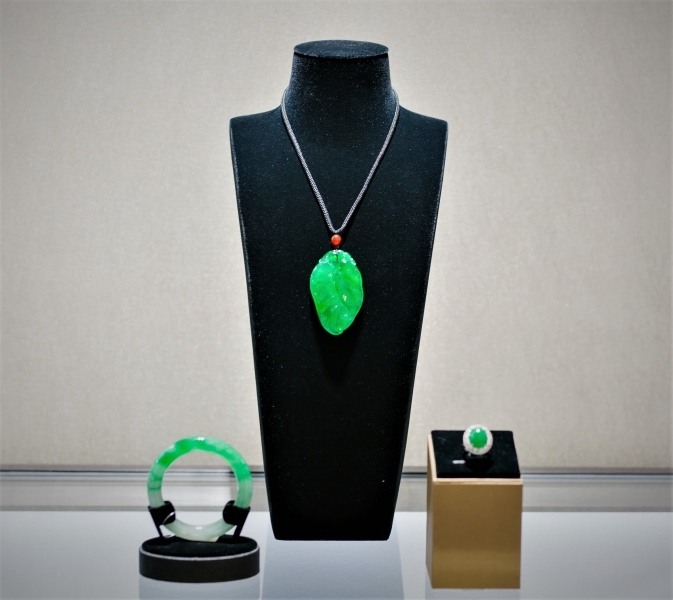 This exclusive collection will only be making one stop in North America and each piece has been hand-picked to showcase the extraordinary beauty of Imperial Jadeite. 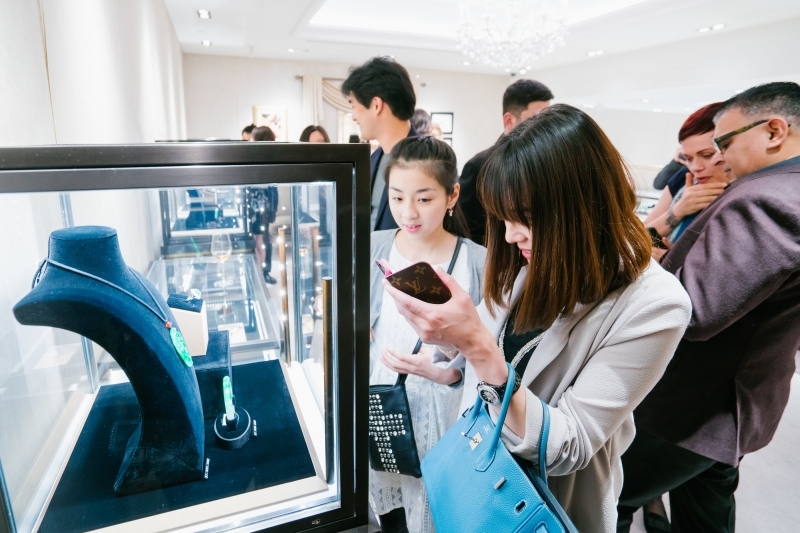 Collectors and connoisseurs will be dazzled by translucent cabochon rings decorated in brilliant cut diamonds, awed by intense green pendants expertly hand carved into traditional Chinese symbols and overcome by even hued lavender bangles. 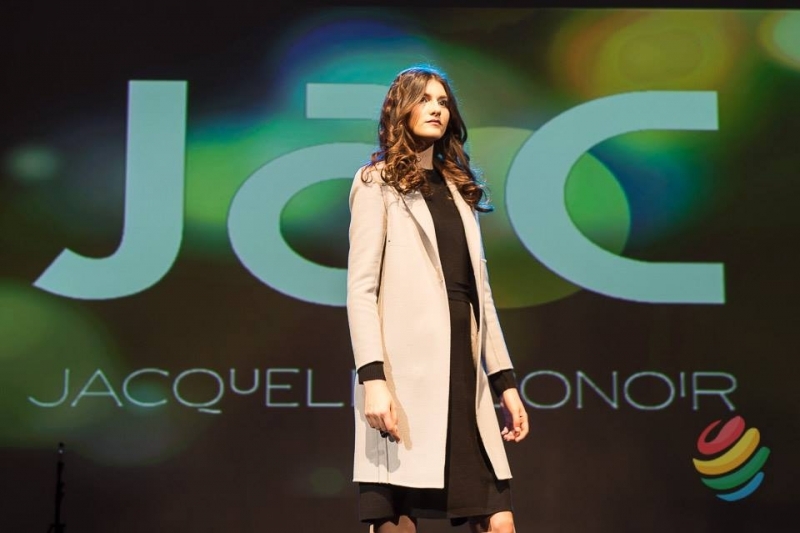 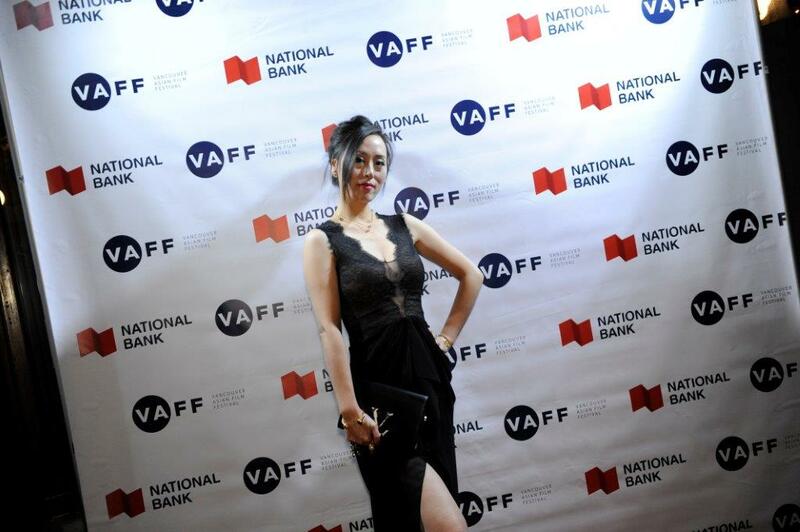 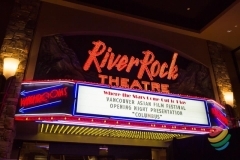 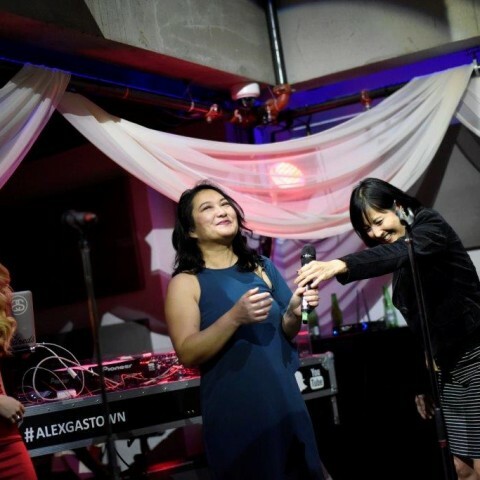 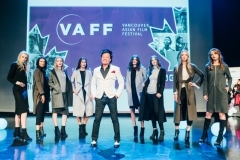 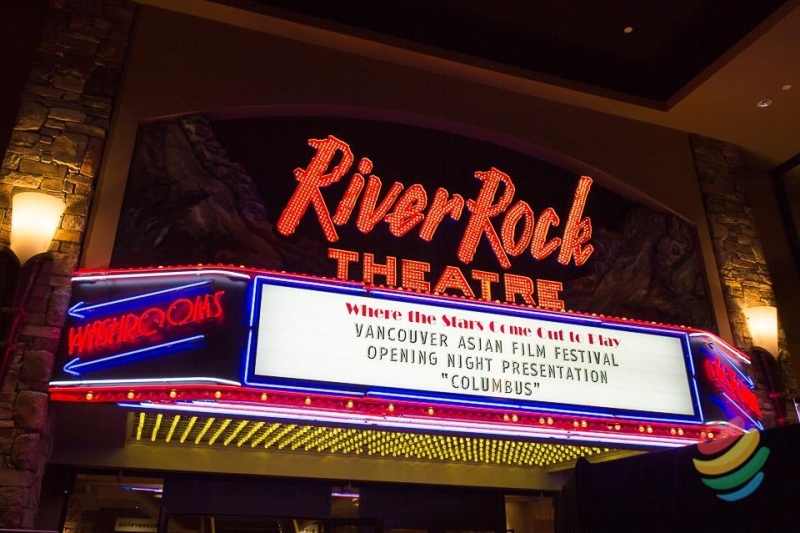 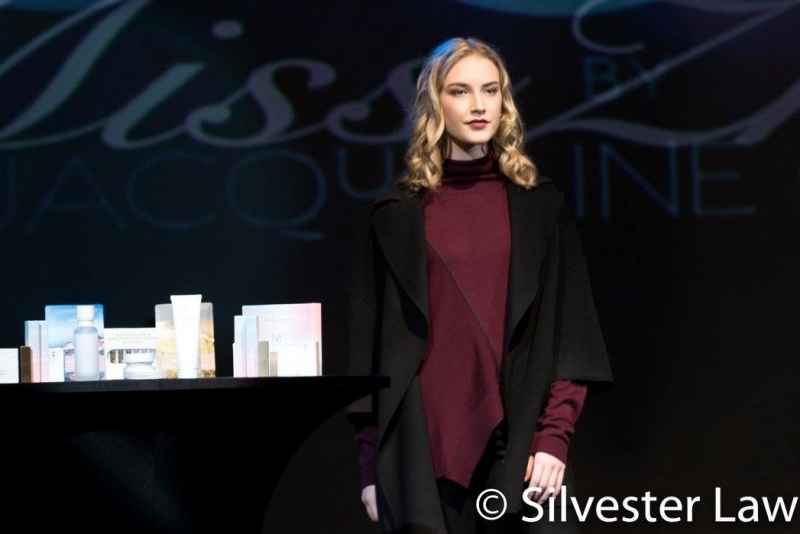 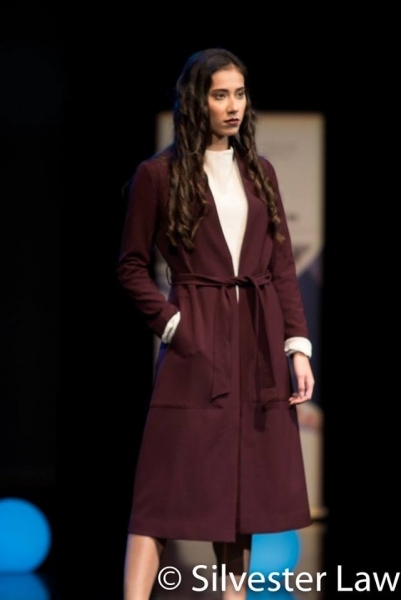 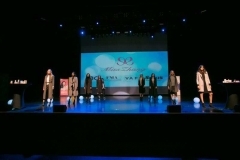 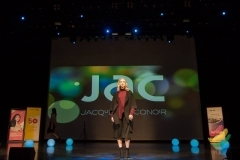 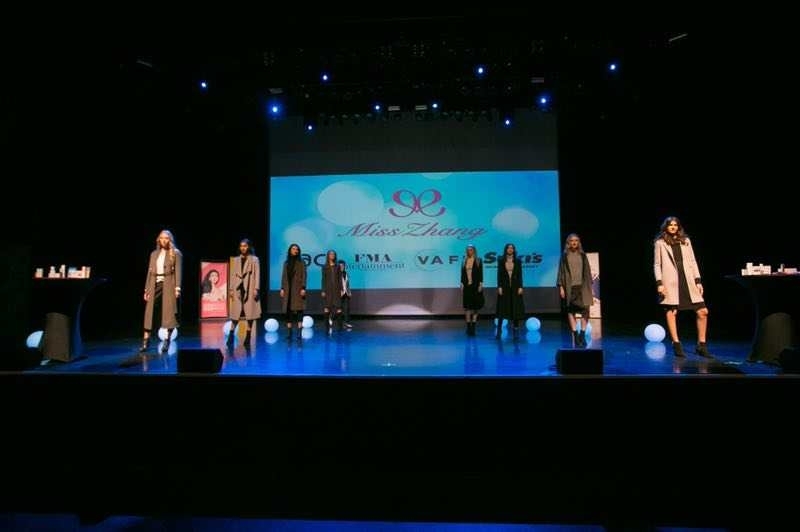 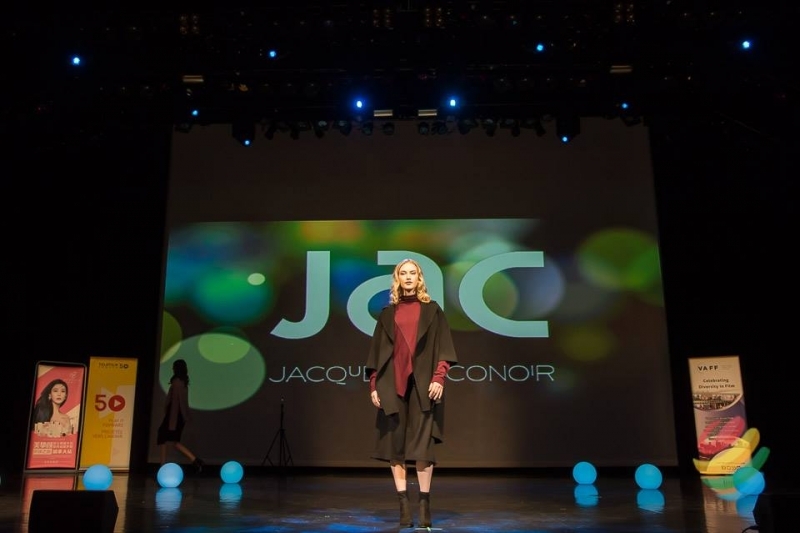 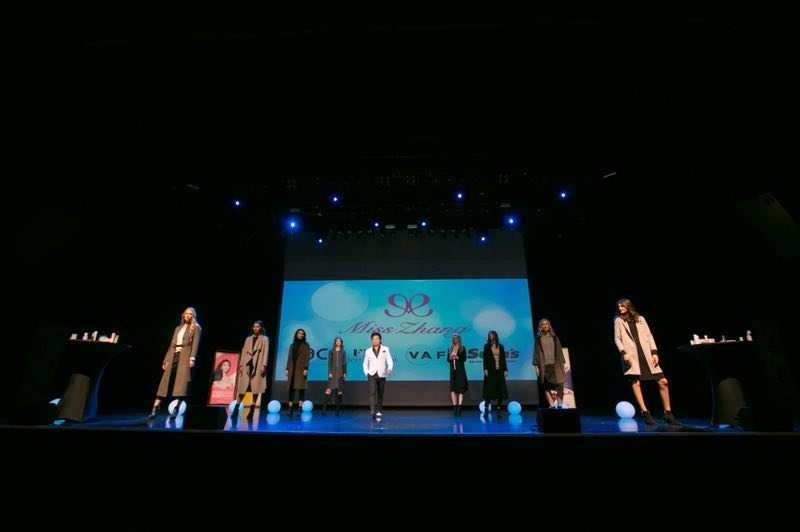 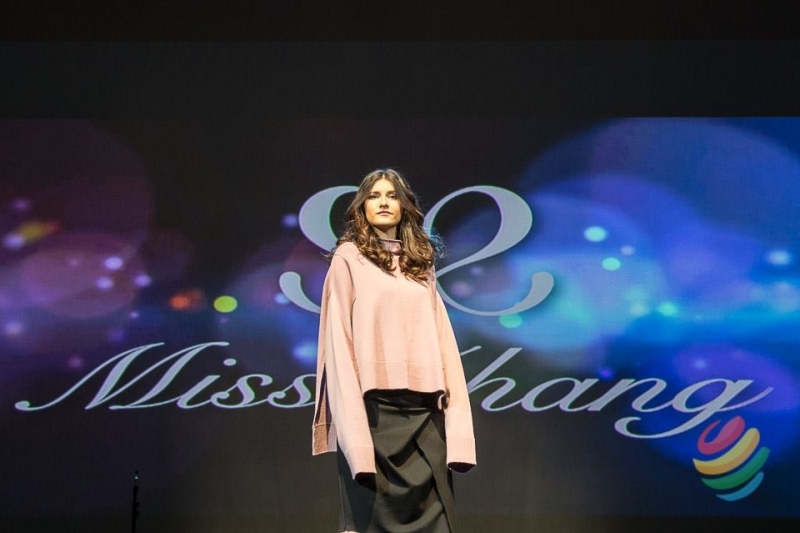 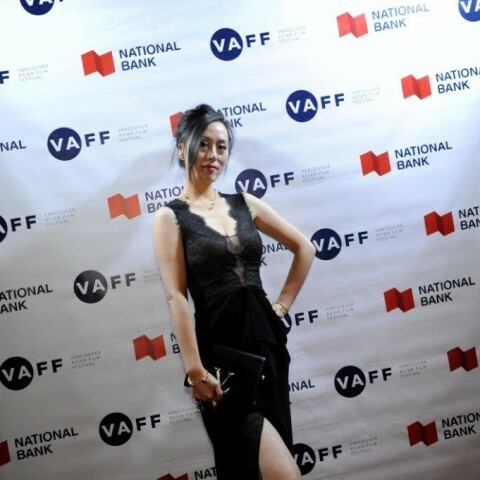 Celebrating the Vancouver Asian Film Festival 21st Annual opening screening at the River Rock Casino Resort, Miss Zhang brand debuted their cosmetic line with JAC by jacqueline conoir Fashion show. 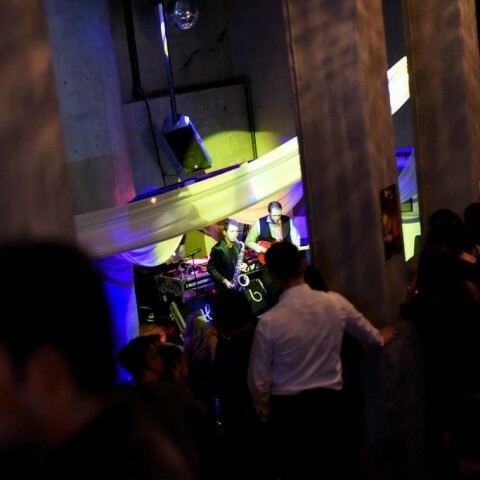 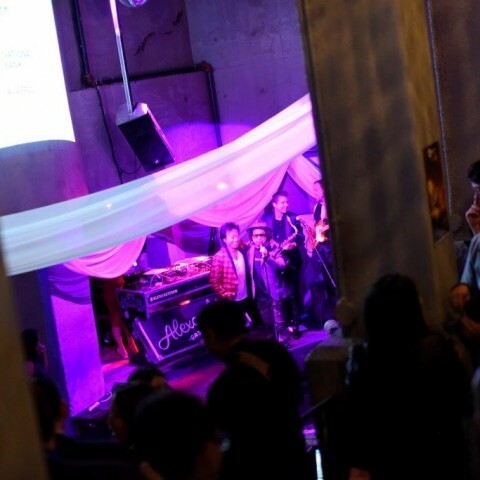 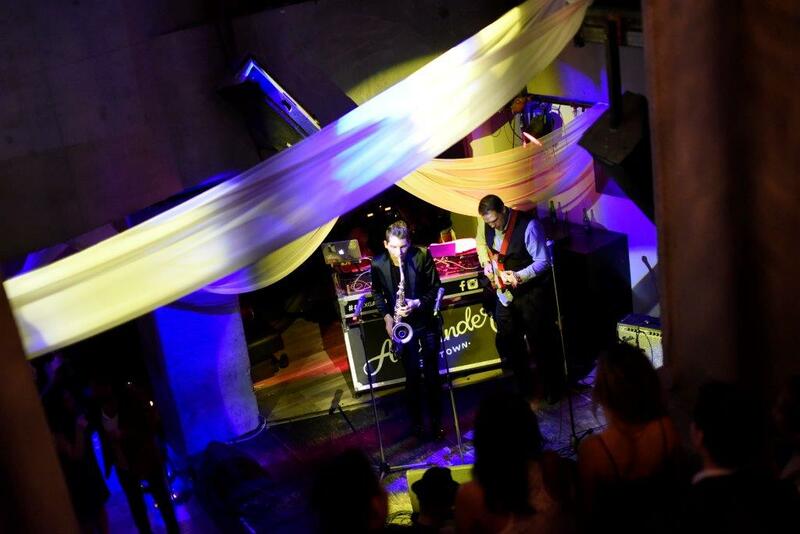 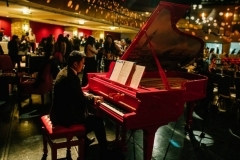 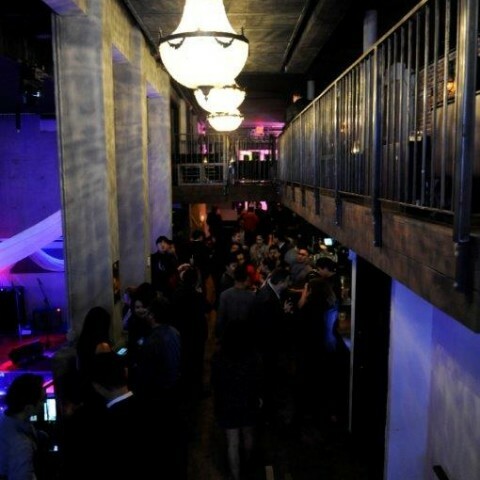 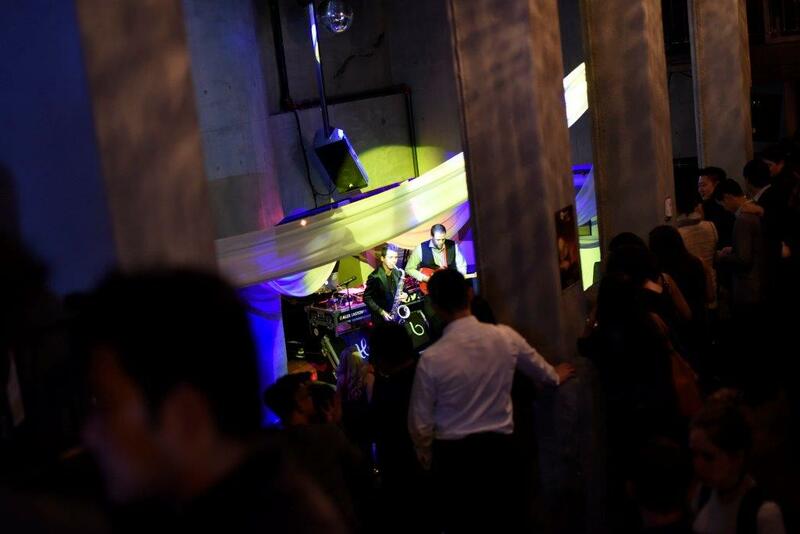 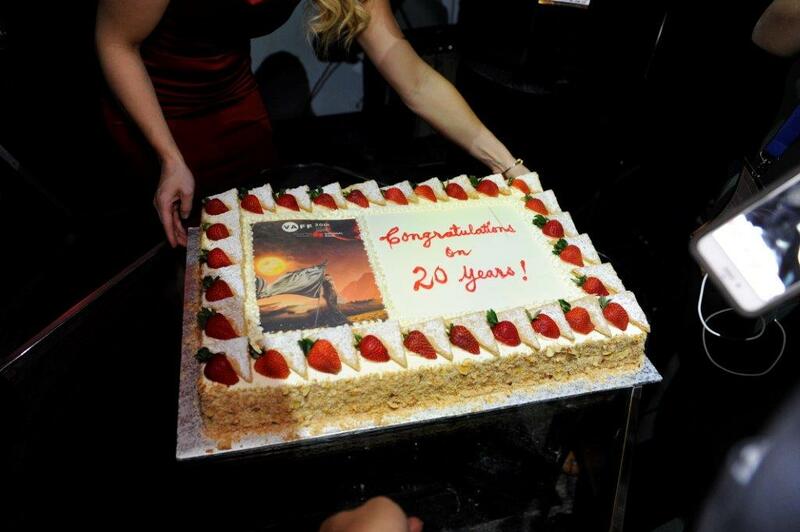 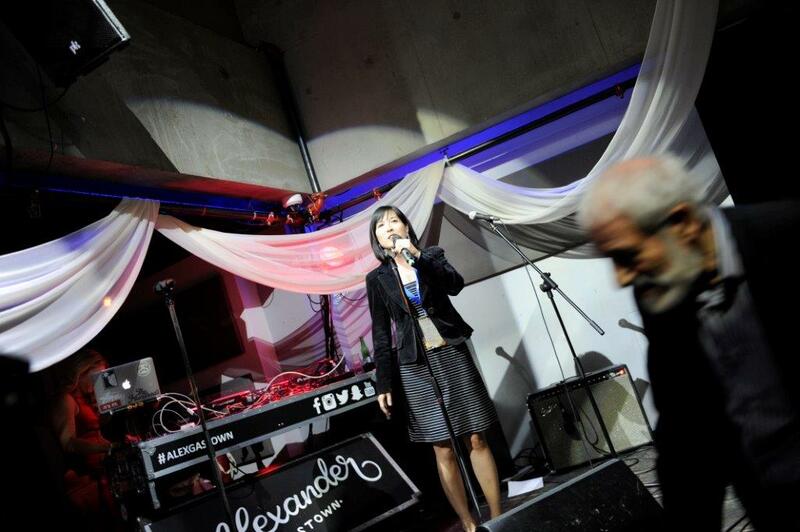 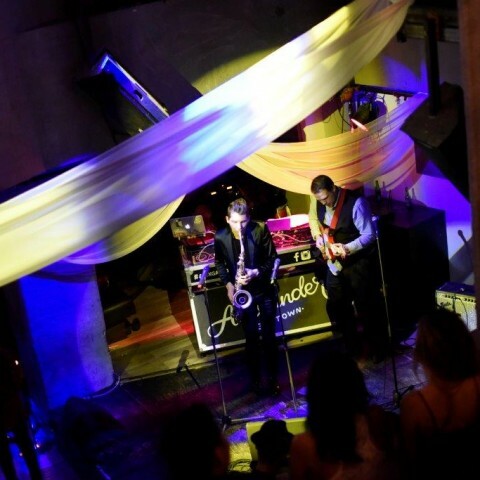 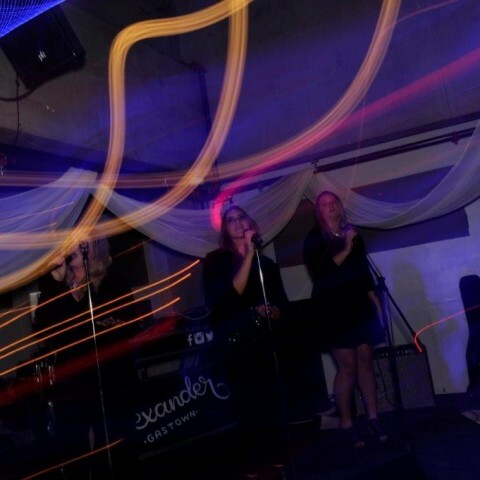 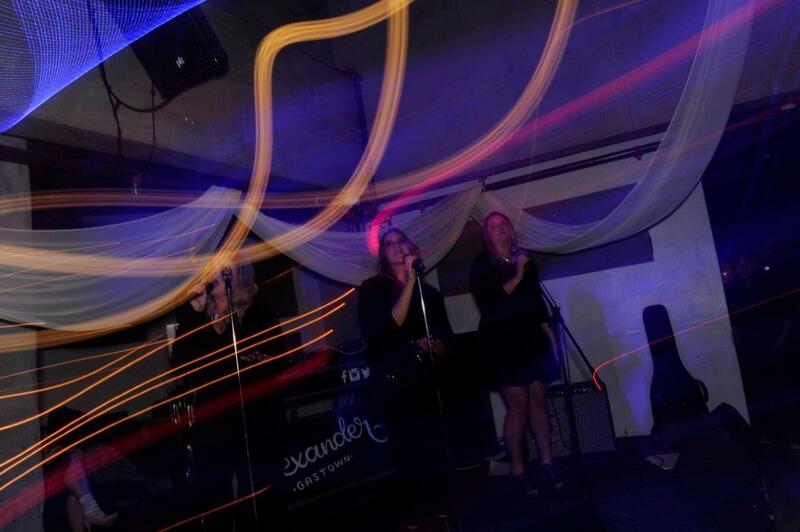 Follow by a “Casino Royale” themed opening gala. 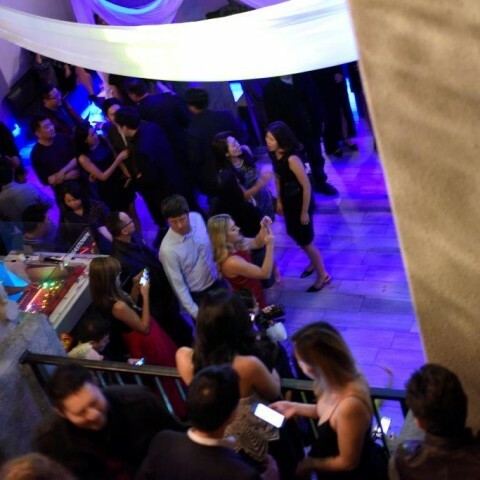 Taglines: One party you don’t want to be invited to! 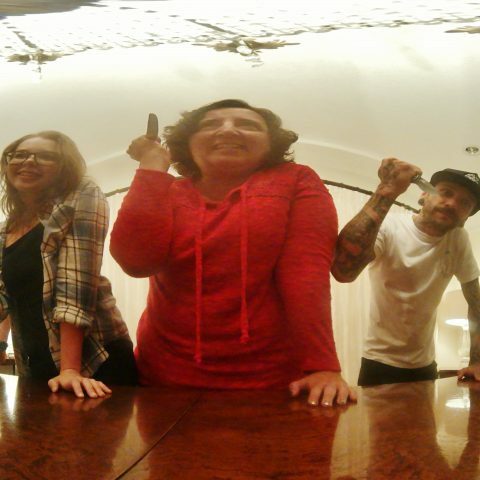 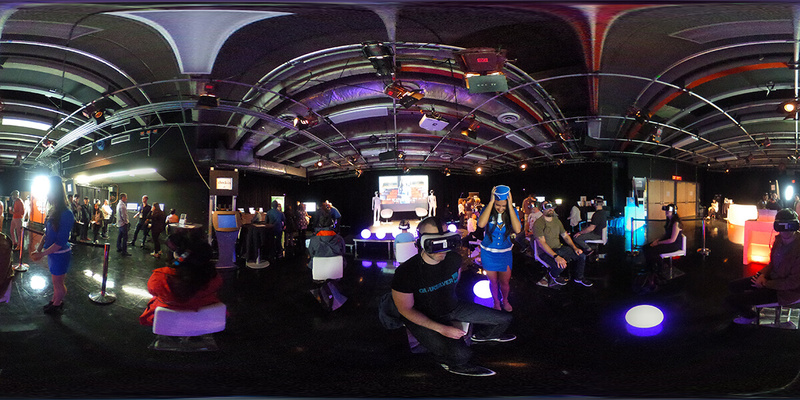 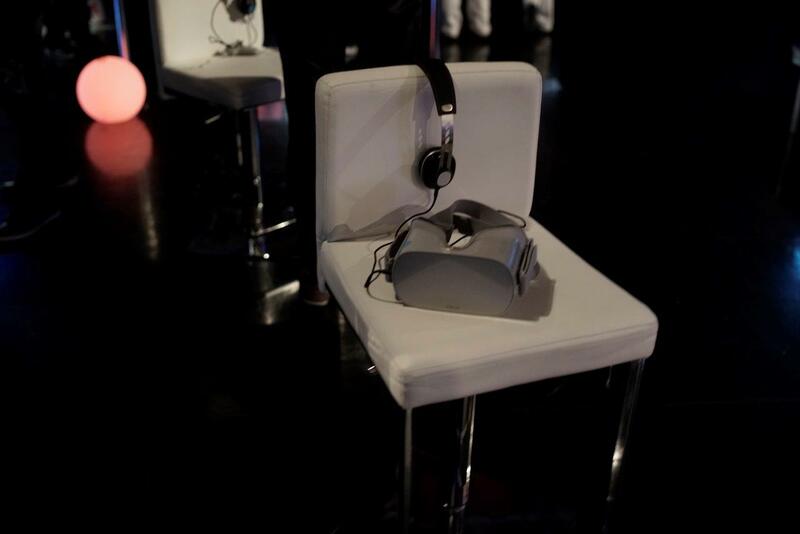 Storyline: You, the VR viewer, wake up in a small room sitting at a table with your arms bound. 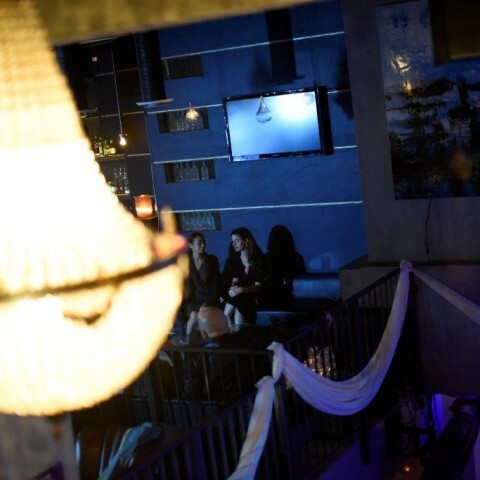 Across from you is a man named Jim who also seems to be held captive. 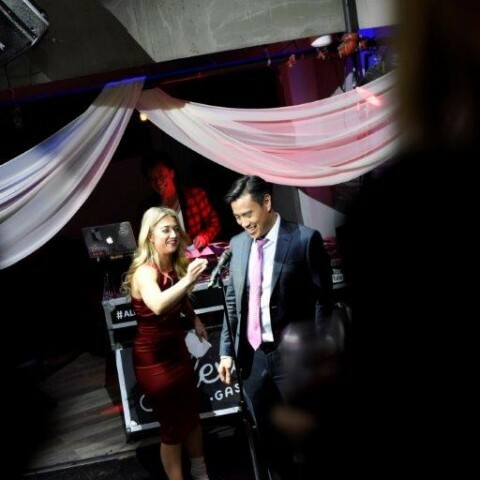 It seems to be a kind of birthday celebration that you’ve been captured to attend hosted by for a woman named Frankie who’s drinking red wine in a starch white dress shirt and a young woman named Gail who seems misplaced. 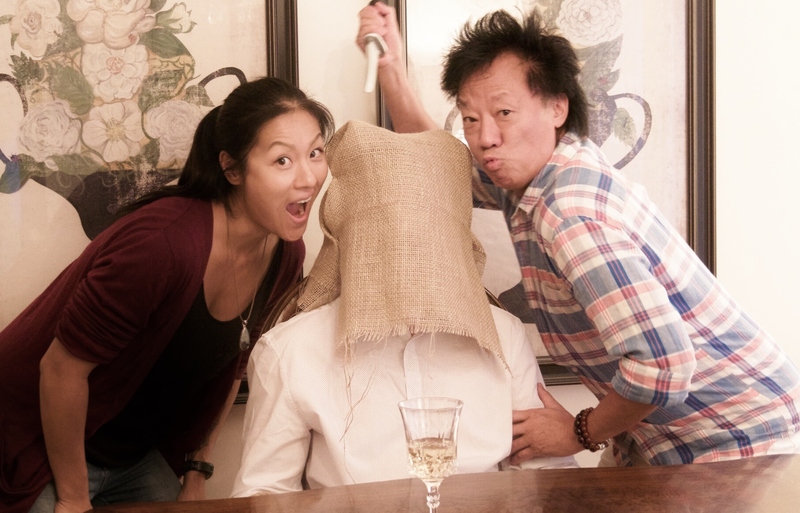 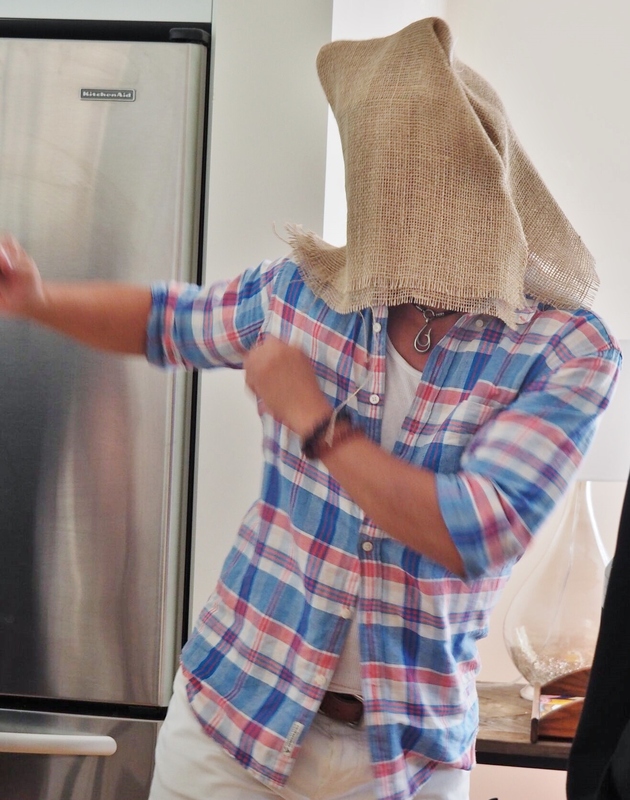 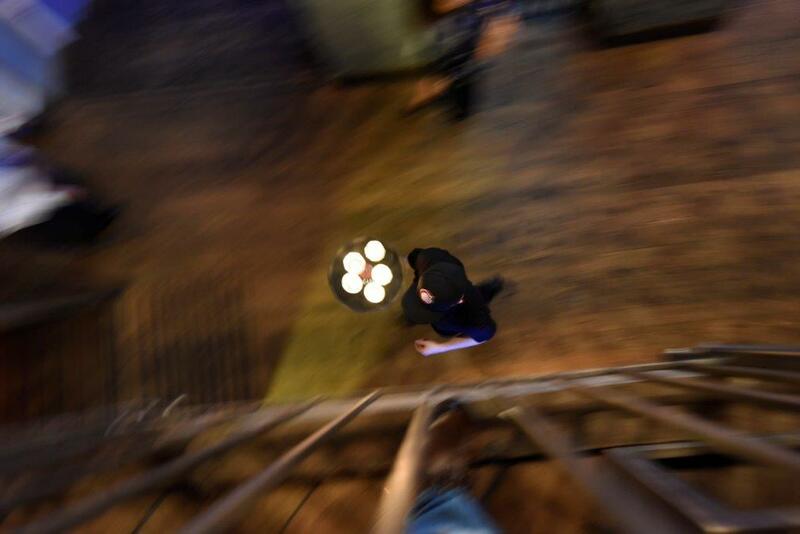 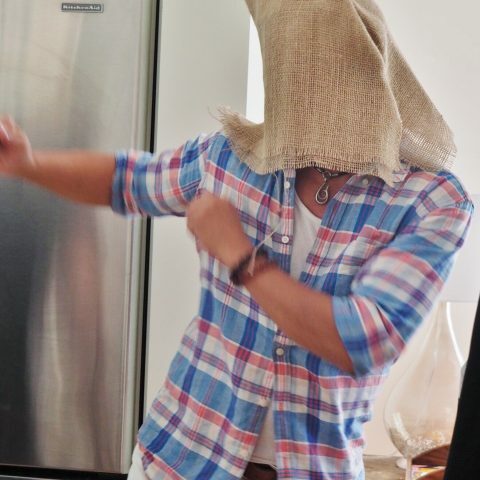 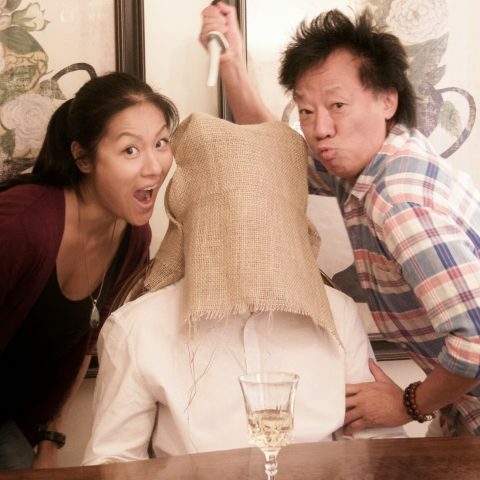 You and Jim try to urge her to help you escape when she reveals to you her actual role at this “Birthday Party“. 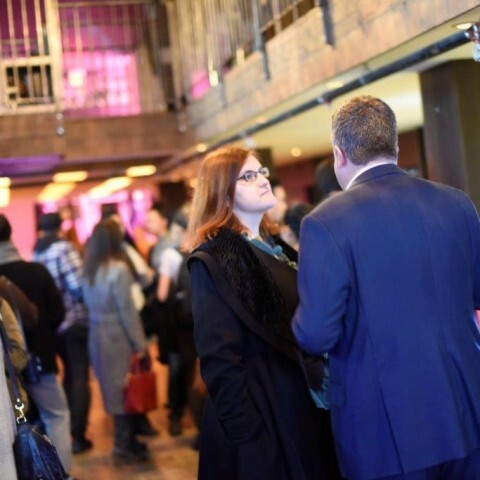 Challenge: The area sometimes referred to as a “Luxury Zone” has not received the community recognition that should be warranted. 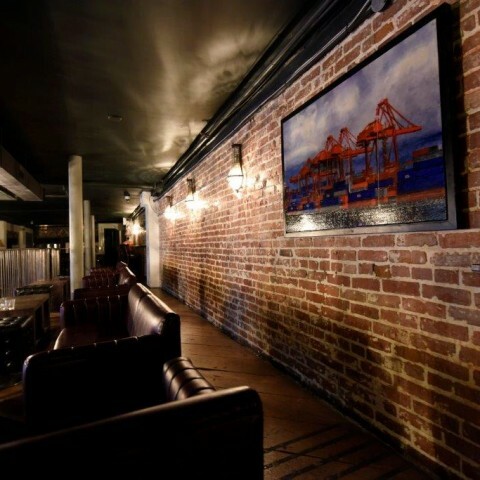 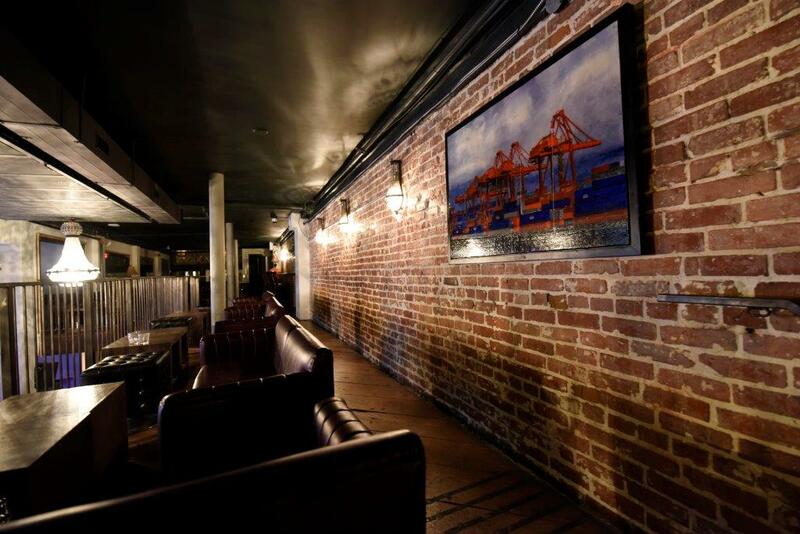 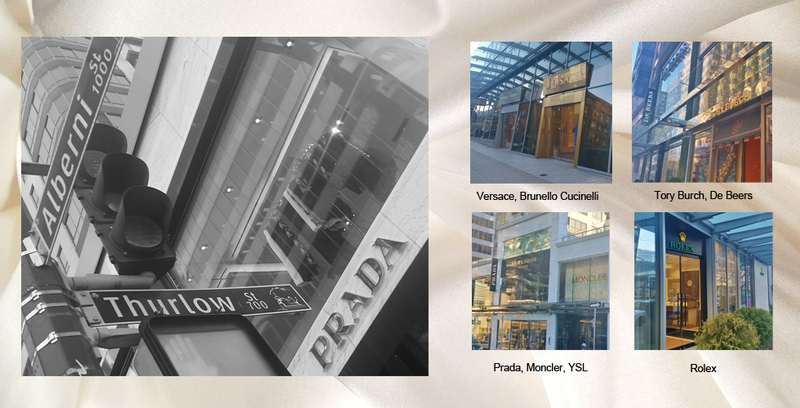 Although part of the Vancouver Downtown BIA, this exclusive block is lost in such a large BIA and has been unable to develop a brand on its own. 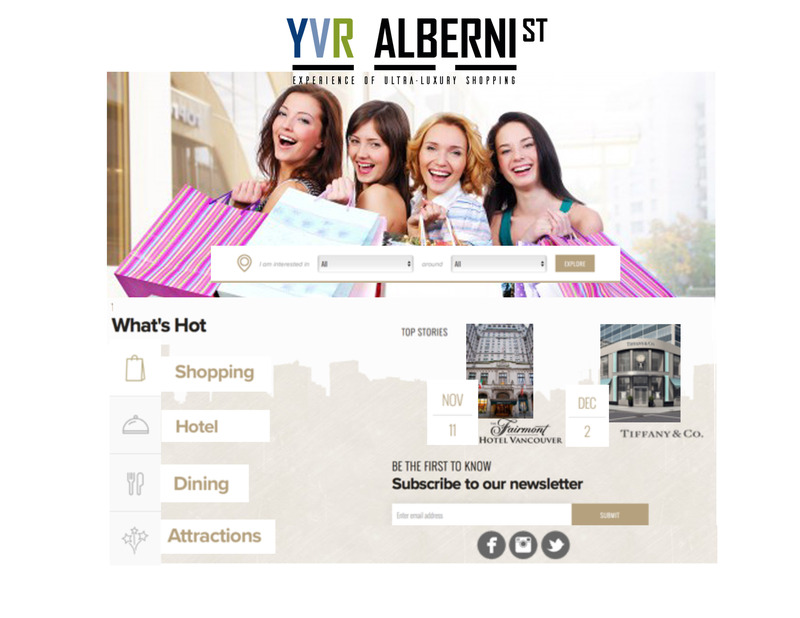 Whether shopping for the hottest trends, stylish classics, or designer fashions, YVR Alberni is a shopper’s paradise! 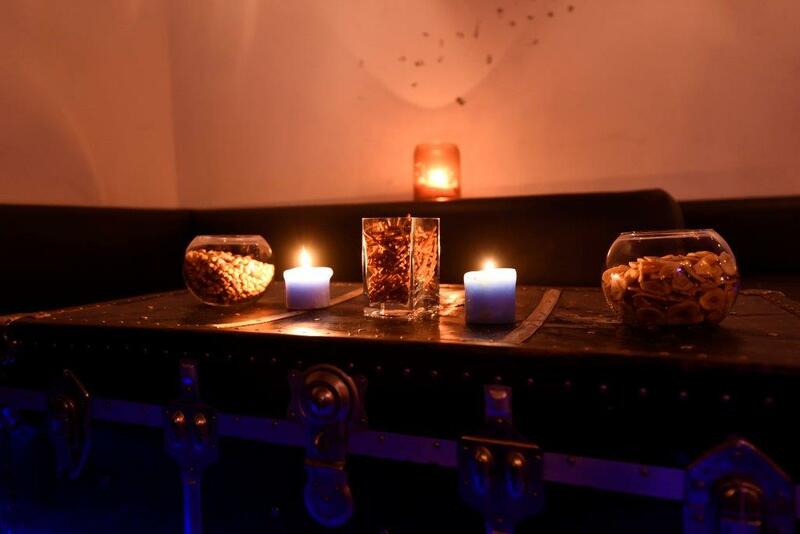 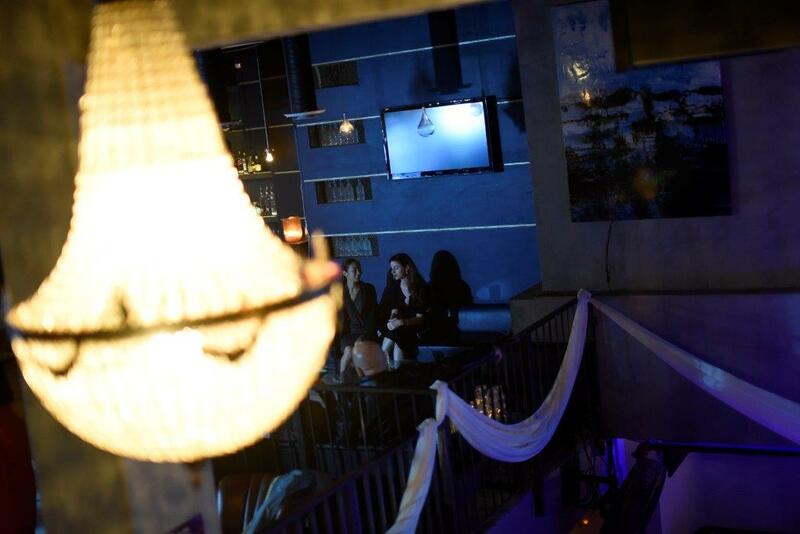 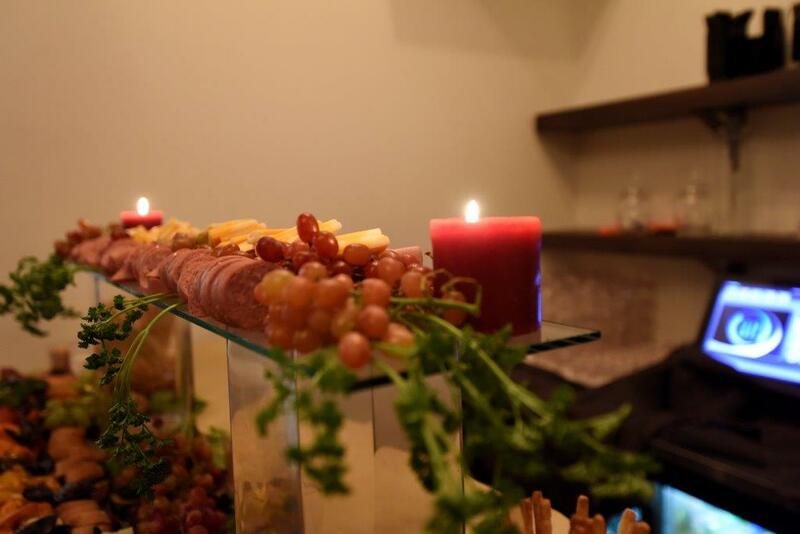 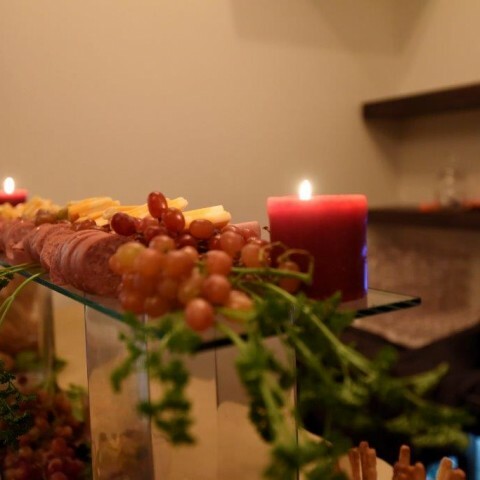 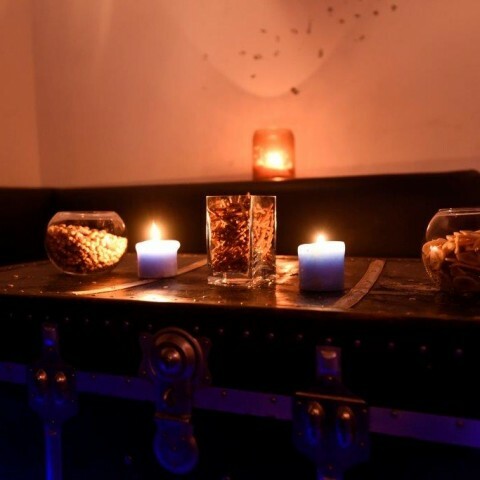 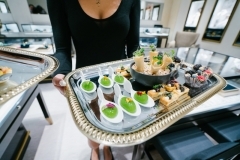 We are creating a brand can be recognized as one of the top luxury shopping and fine dining destination. Parallel to other acclaimed areas such as Fifth Avenue in New York, Rodeo Drive in Los Angeles, and Chicago’s Magnificent Mile. 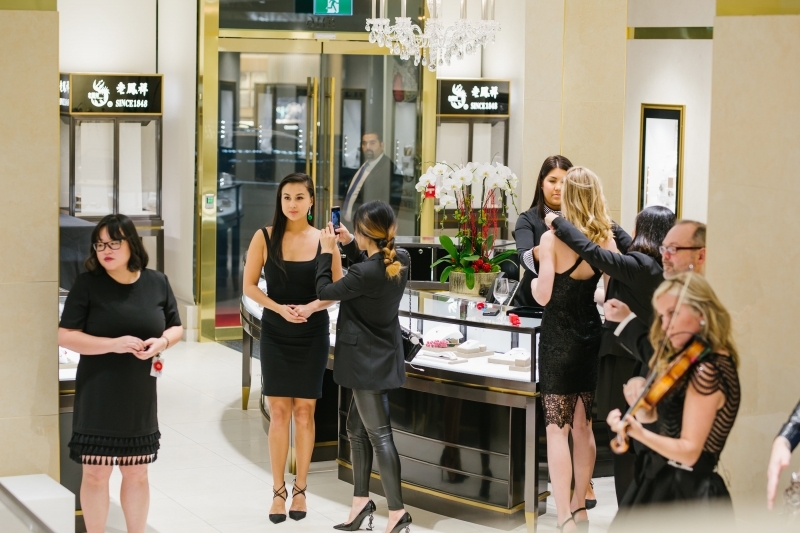 Lined with international labels such as Prada, Hermes, Versace, Tory Burch, Burberry, Strellson, Moncler, Brunello Cucinelli and Yves Saint Laurent, as well as luxury retail icons Rolex, De Beers, M0851, Jaegar-LeCoulter, Lao Feng Xiang and Tiffany & Co.
YVR Alberni will be hosting a collection of exclusive events, festivals to create an exciting shopping experience throughout the year with valet parking on the block. 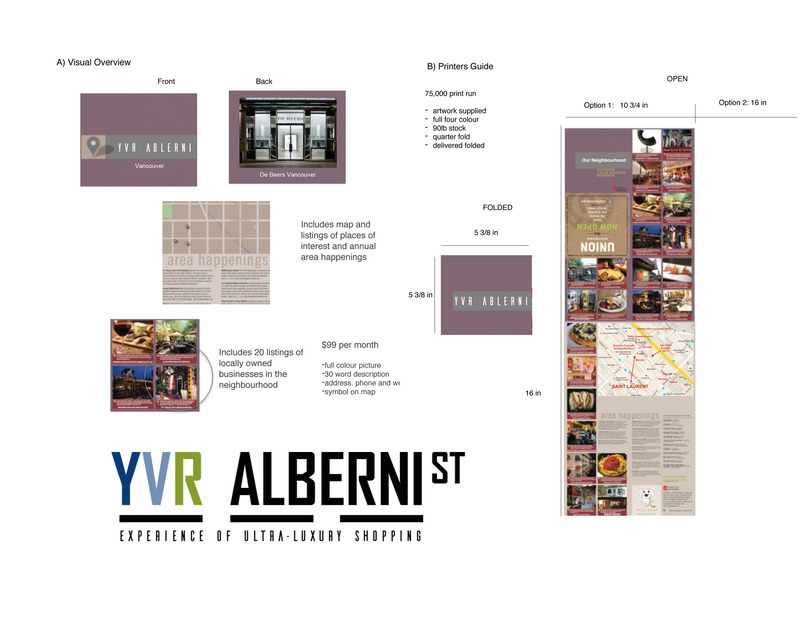 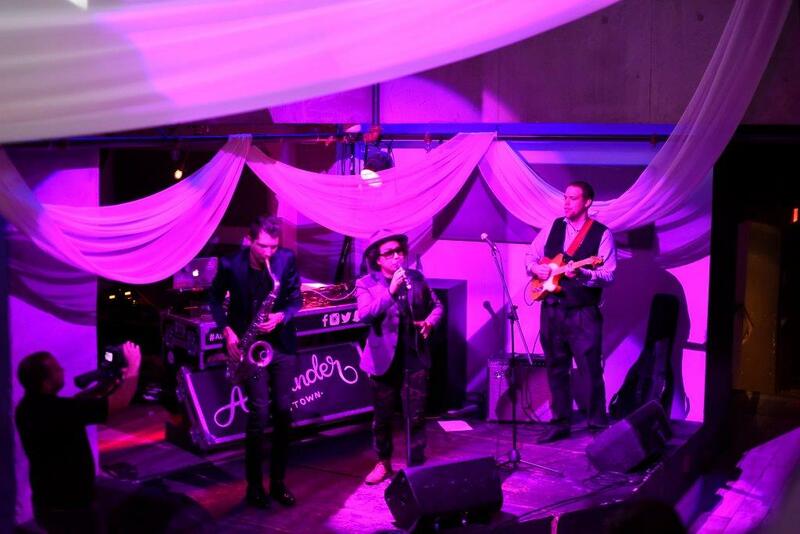 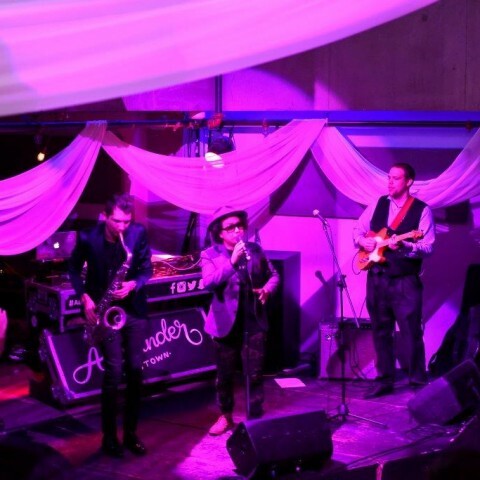 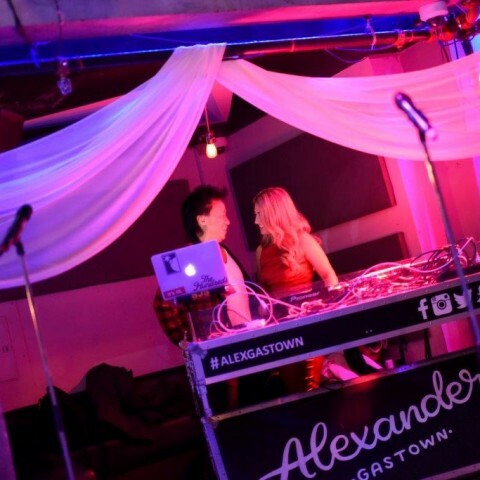 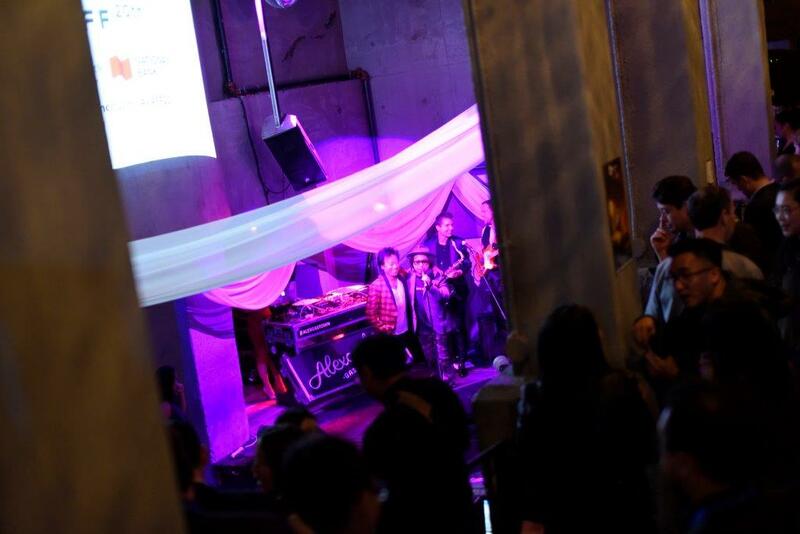 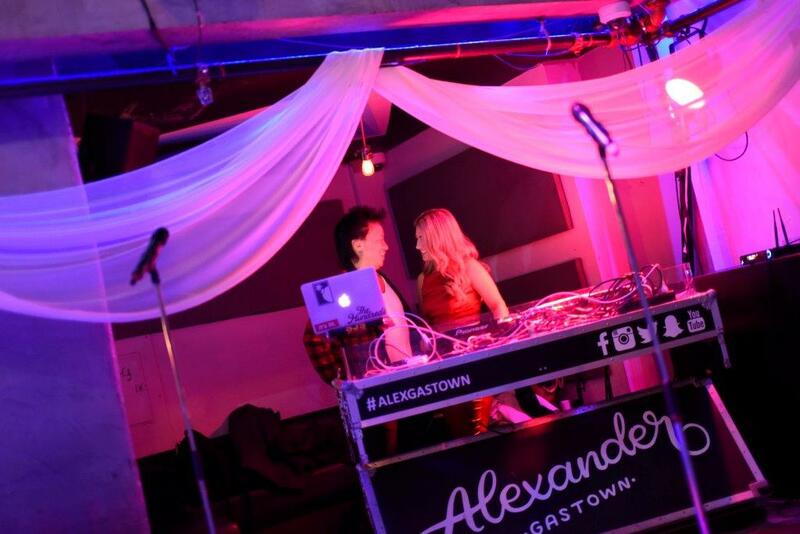 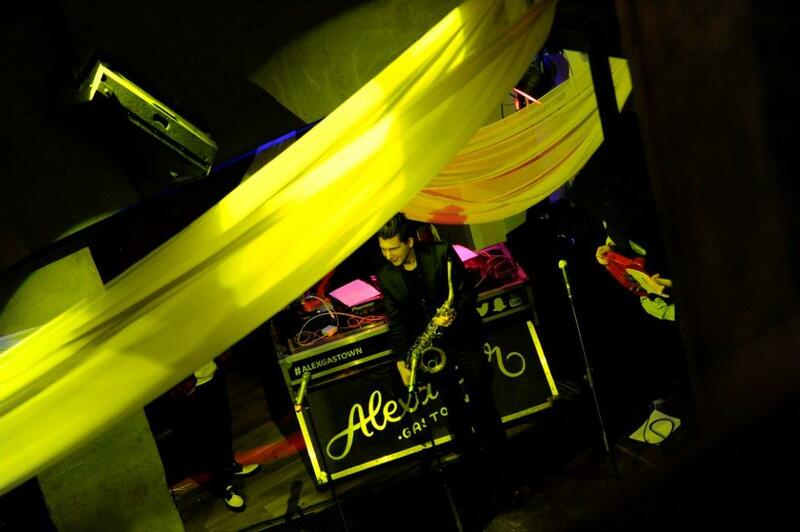 That is both an industry & consumer event that represents Alberni “Luxury Zone”. 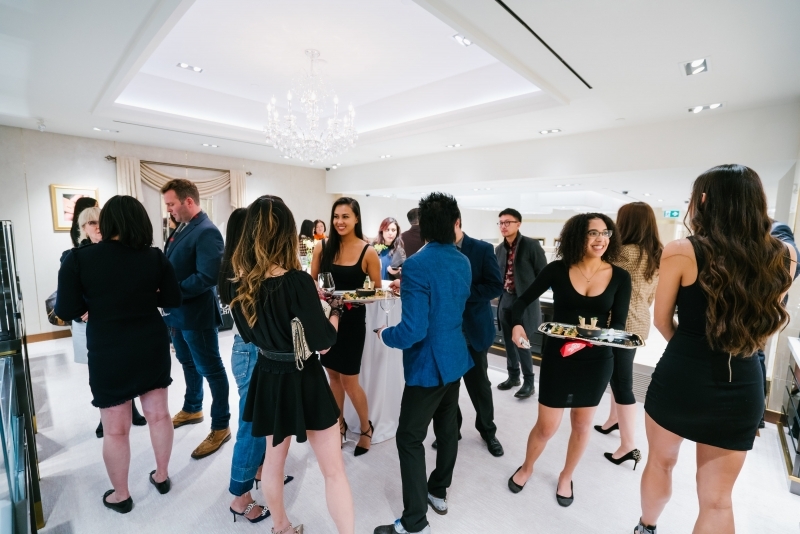 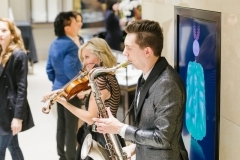 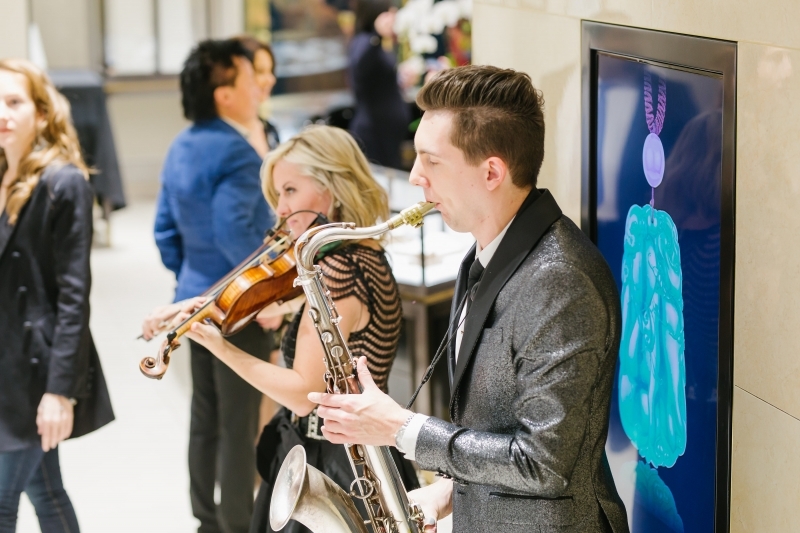 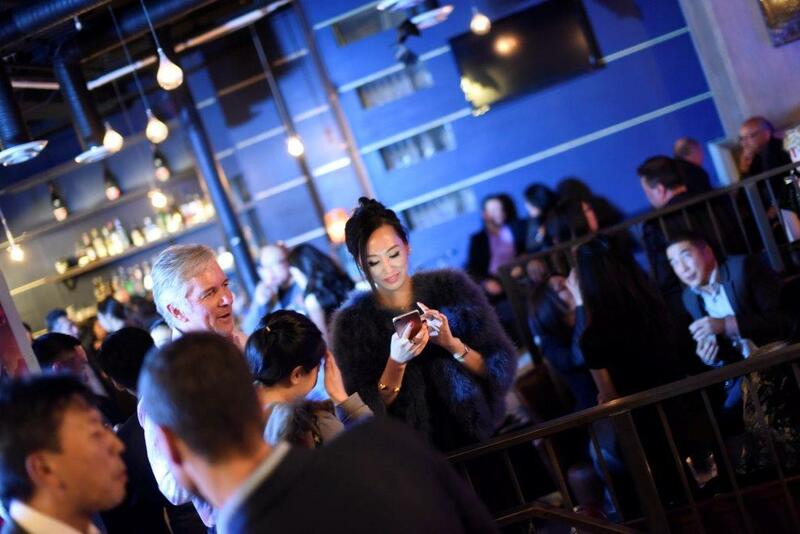 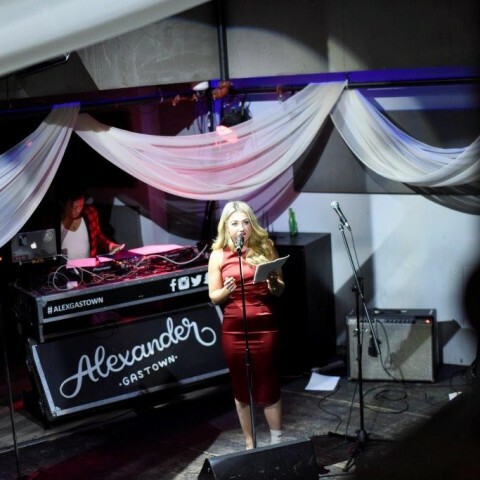 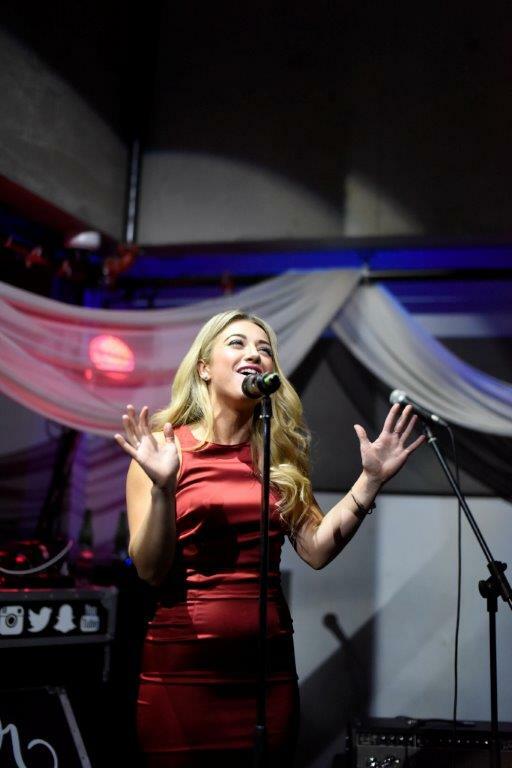 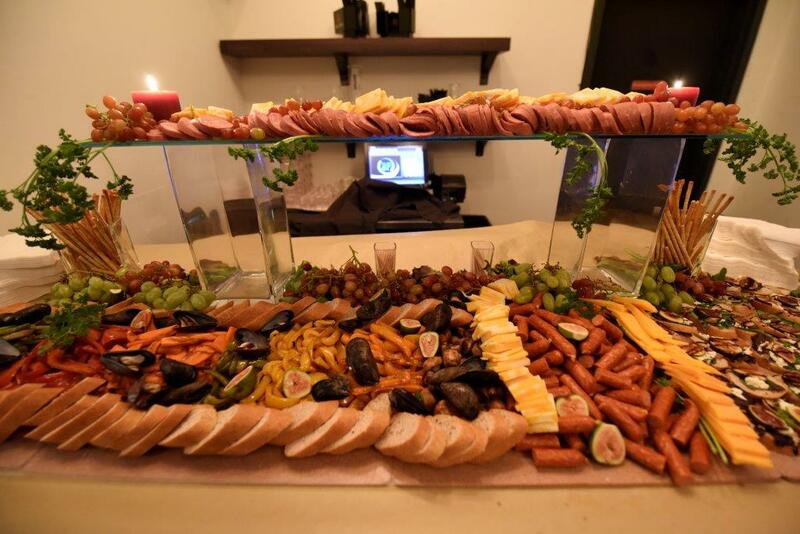 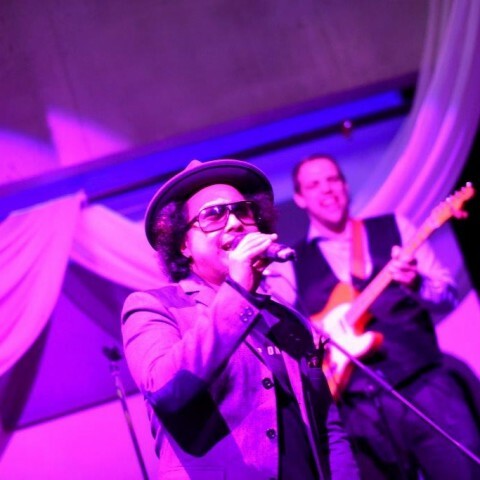 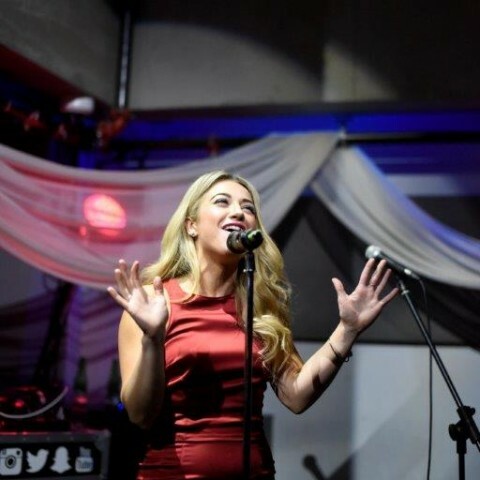 Events including Retailer in-stores shopping events, Father’s day Super car display on the block, Mother’s day runway fashion shows with showroom shopping, seasonal holidays events, special VIP receptions, online giveaway and sales. 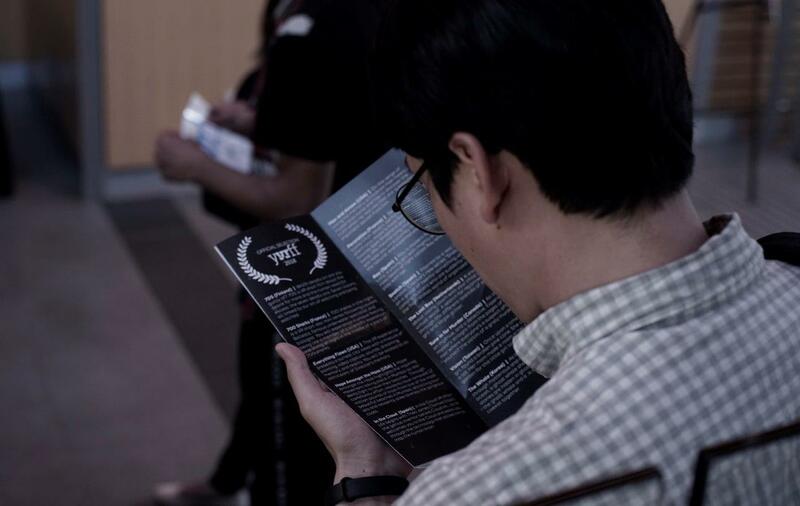 List Presence: Publish info on all four URLs on Google and over 300 directories. 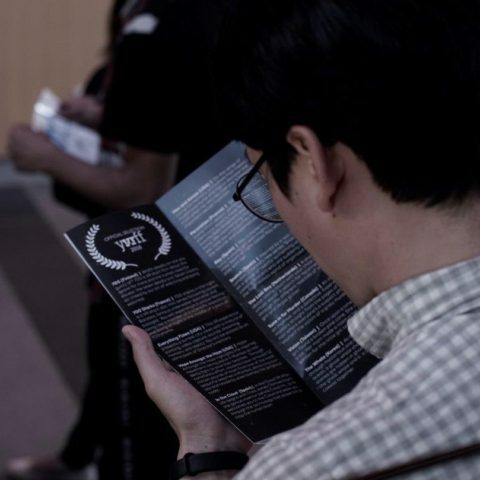 Street Pocket Guide: Develop a high-end “pocket-guide” available only at member establishments. 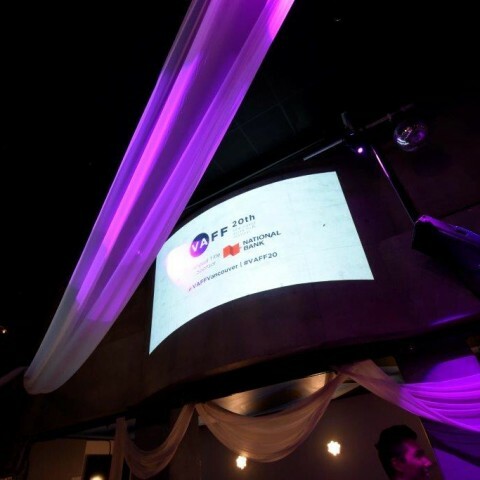 Window Decals: Develop a “promotional” awareness campaign using signage to promote the brand and time spent in the area. 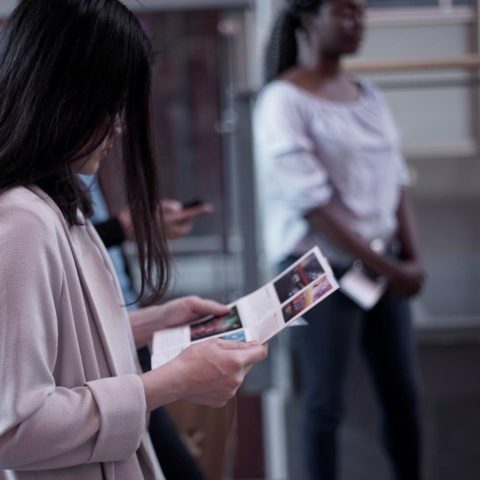 REDDOT Shopping would develop and manage both the digital properties and promotional events entirely thru funding made by advertising sales and sponsorships…thus not encumbering the local businesses with any additional costs. 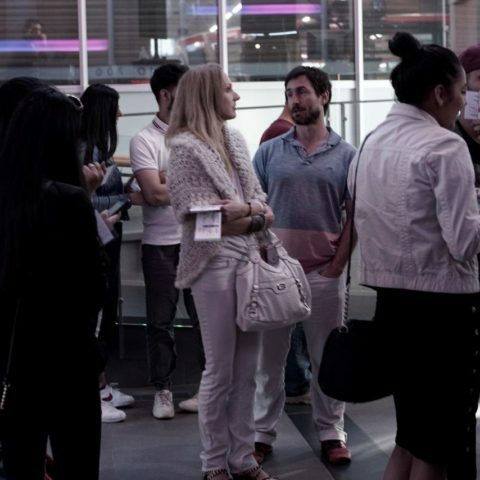 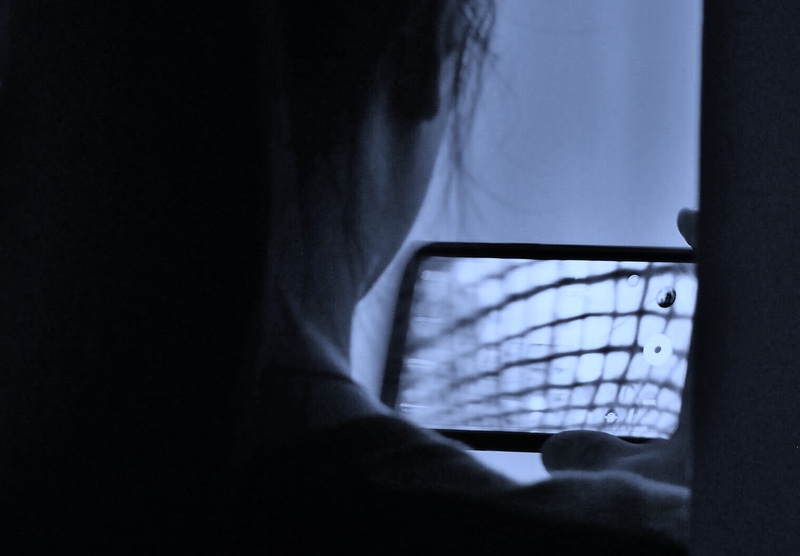 Neighbourhood Networks has the experience, people and software to develop, manage and sell advertising on these digital properties for the benefit of the merchants. 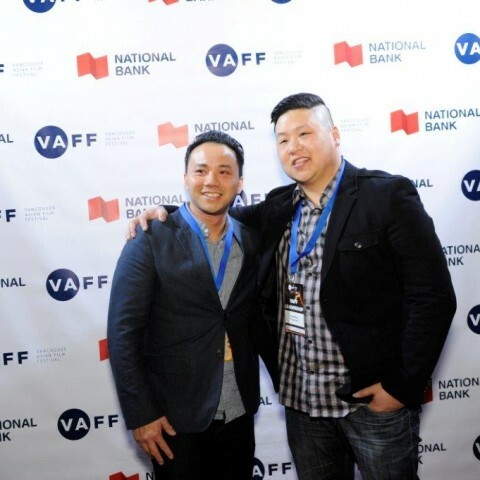 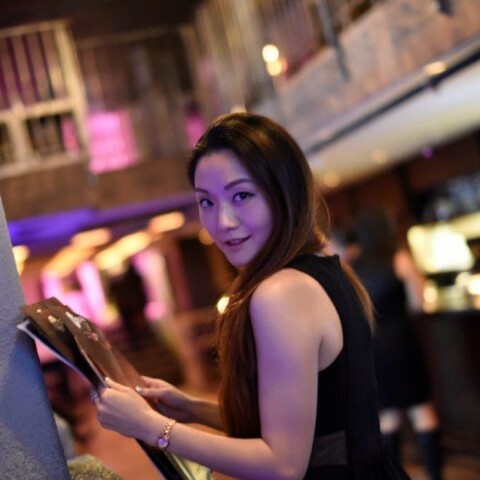 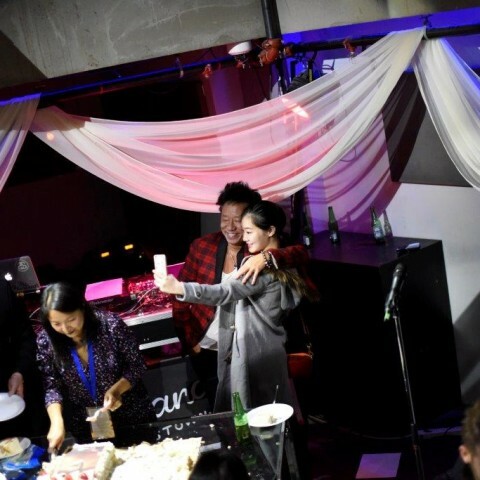 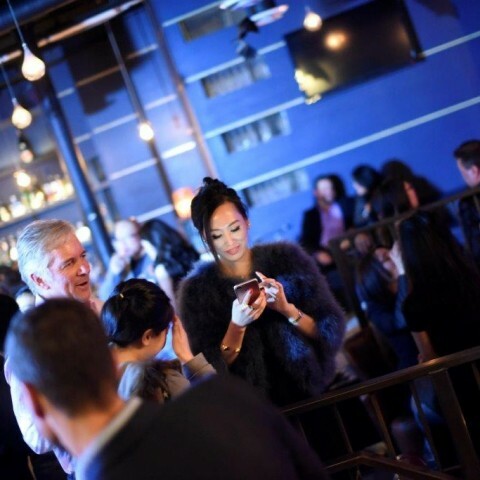 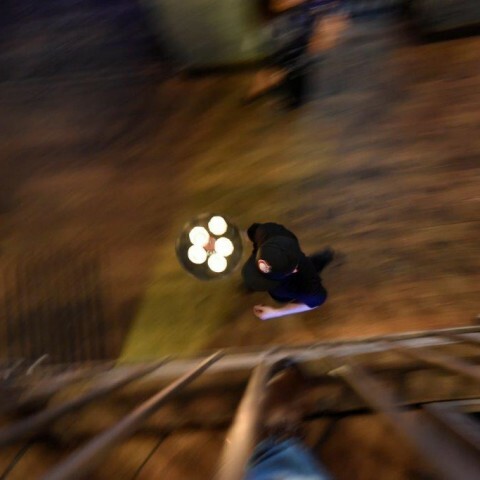 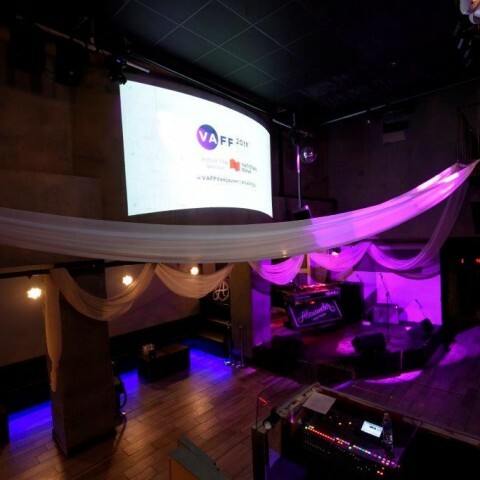 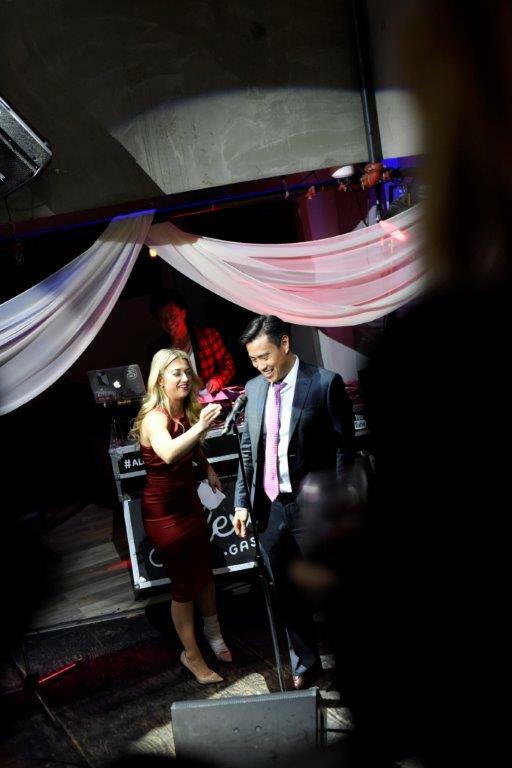 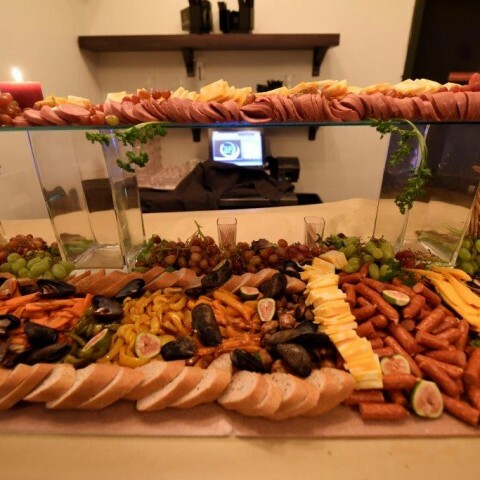 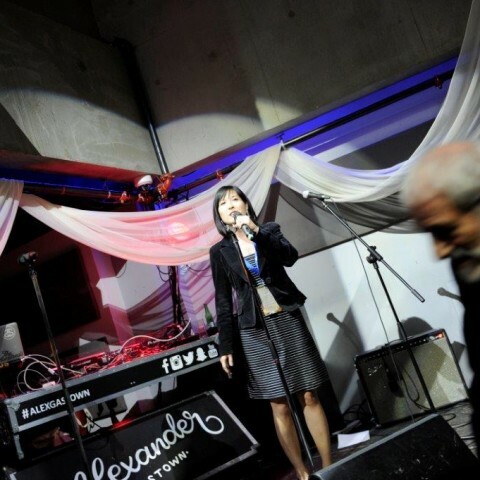 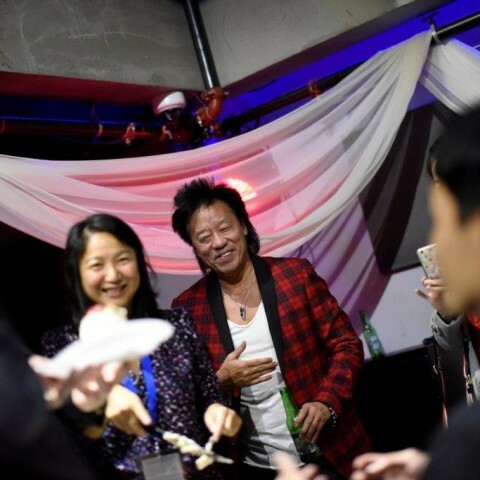 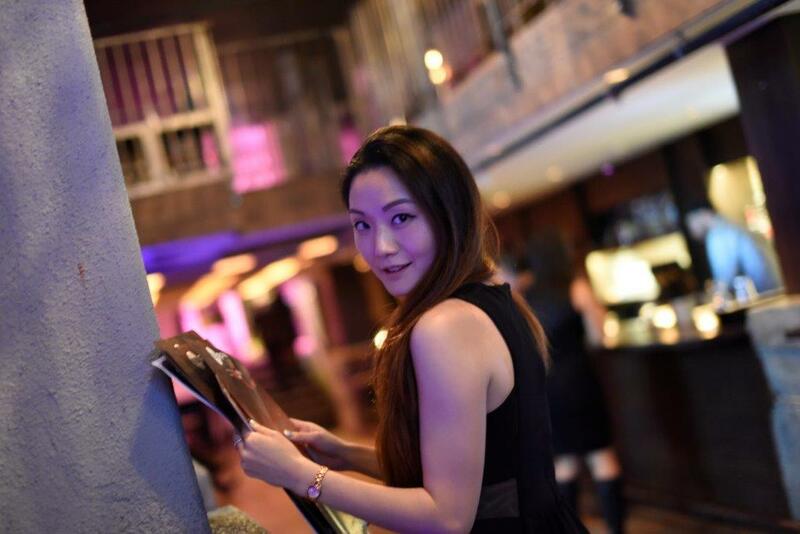 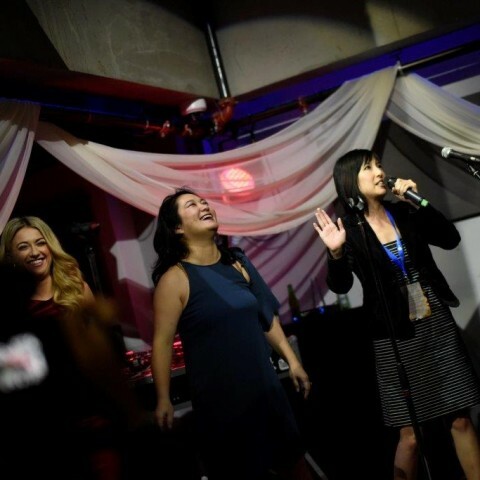 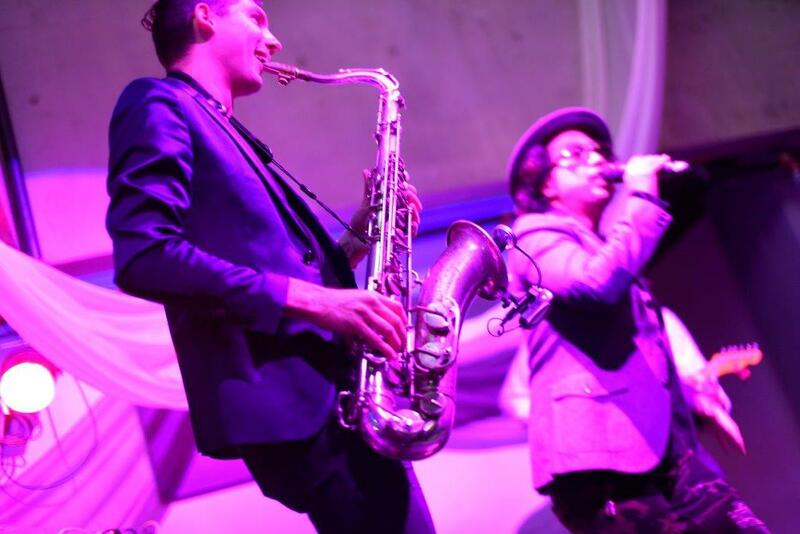 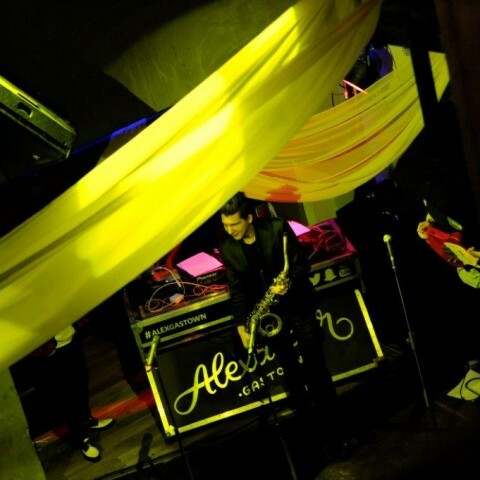 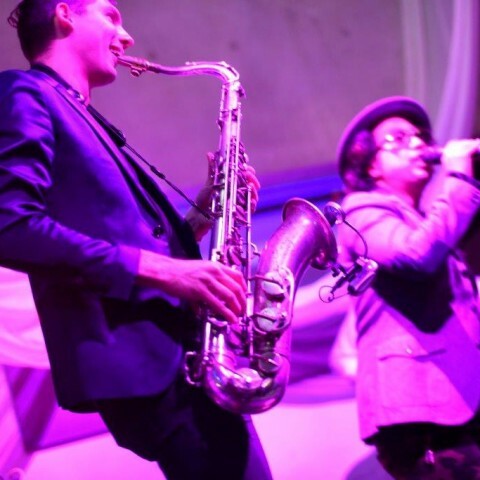 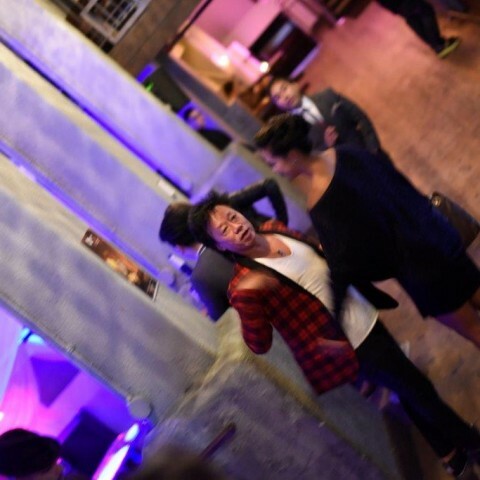 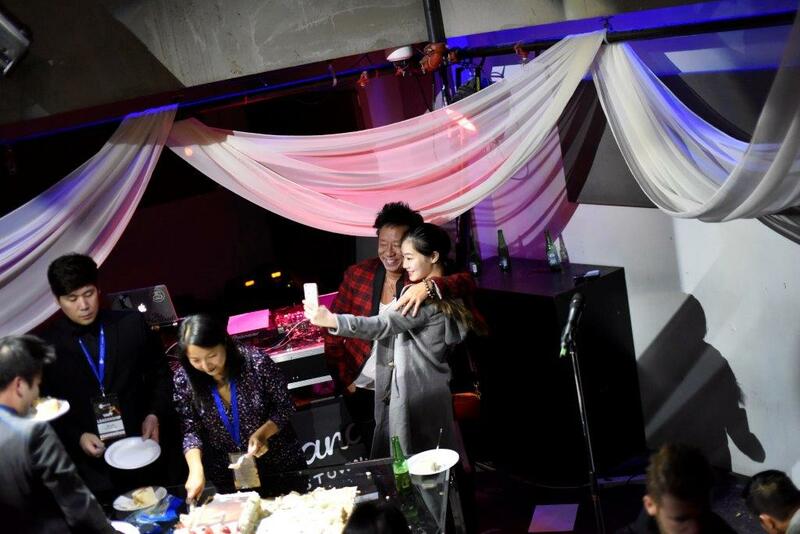 Andy Chu and FMA Entertainment has the experience, people and tools to develop, manage and promote the events for the benefit of the merchants. 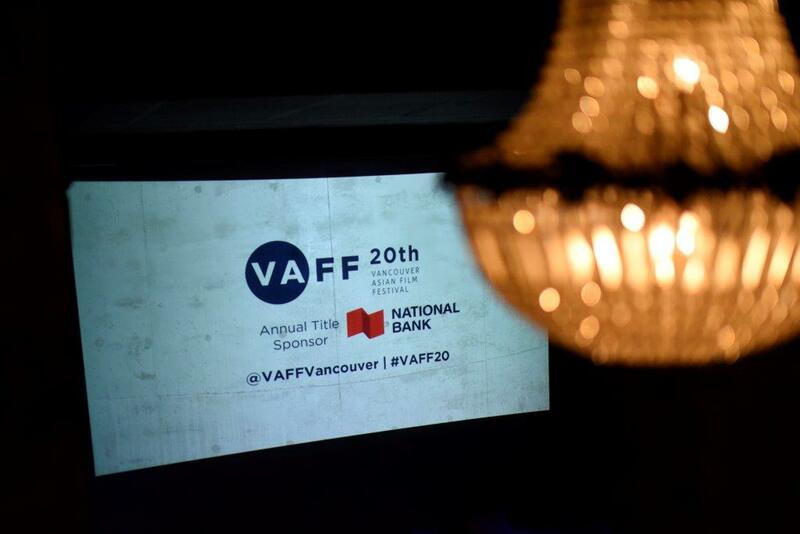 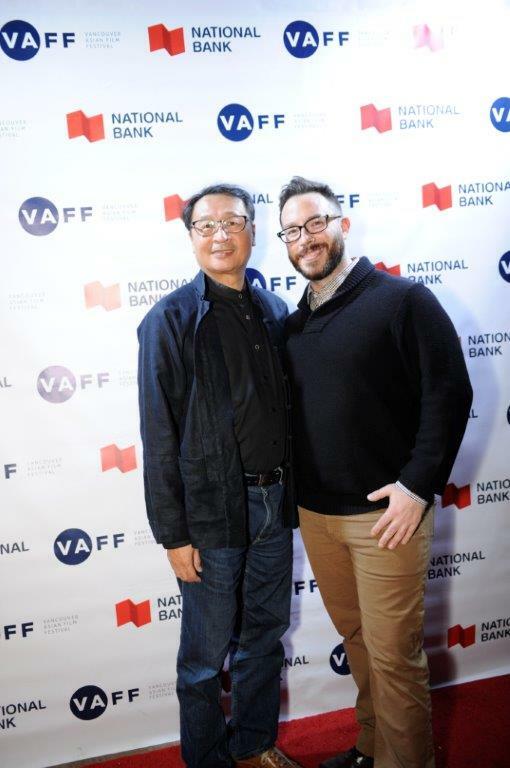 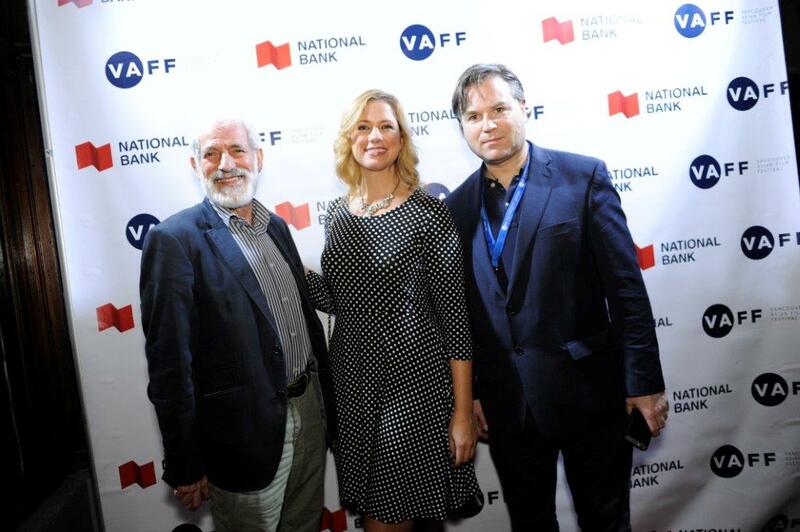 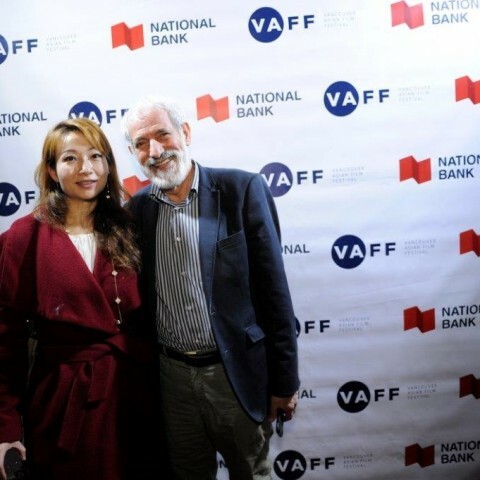 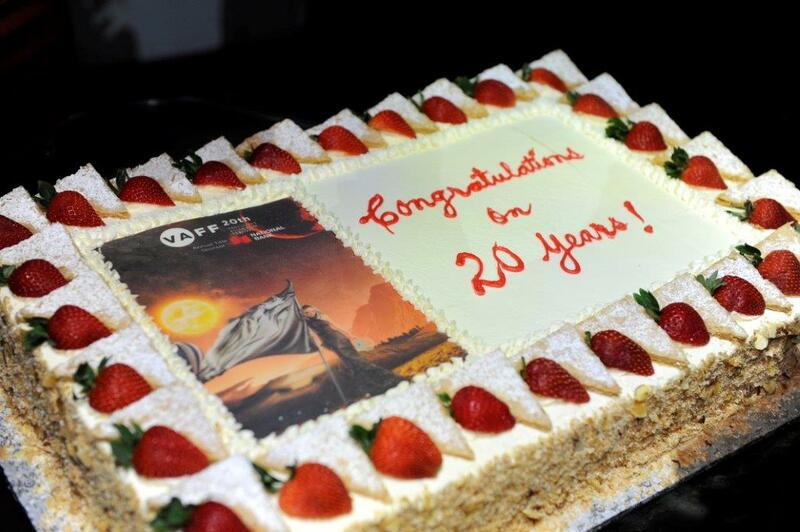 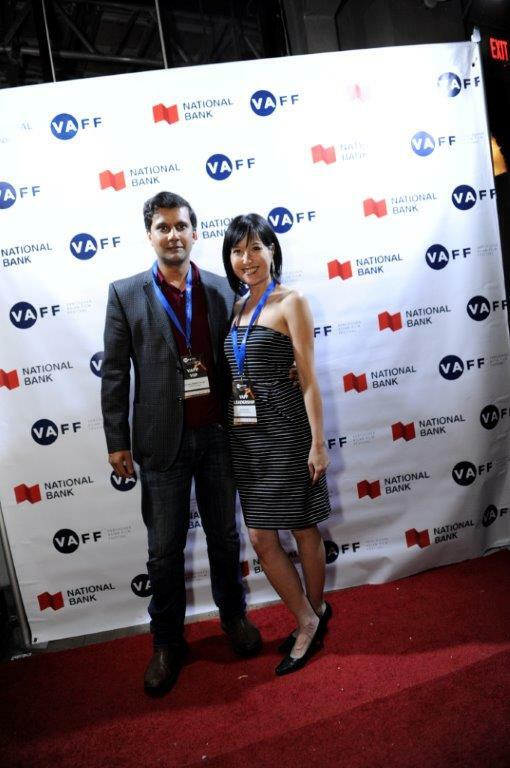 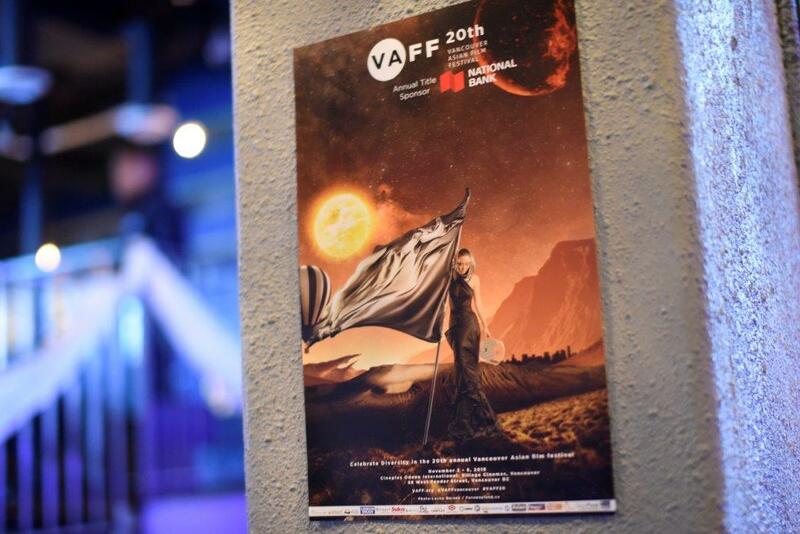 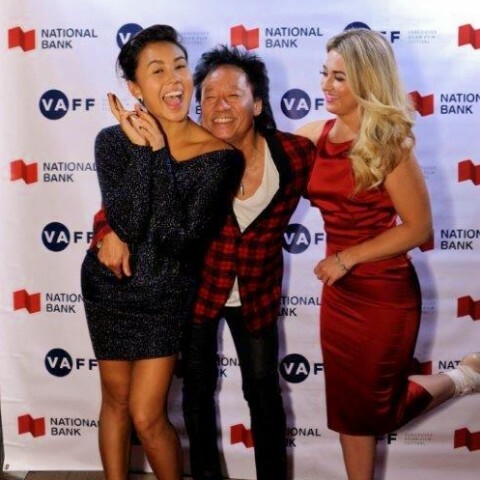 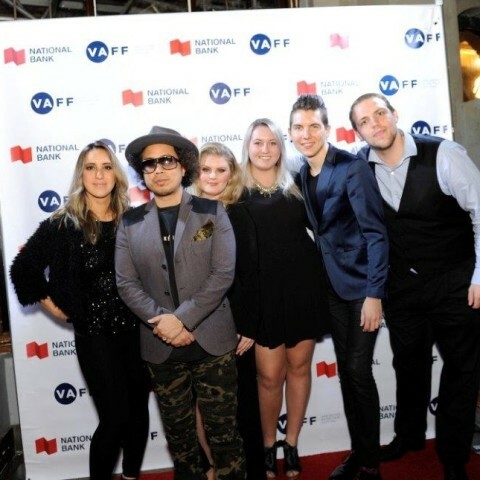 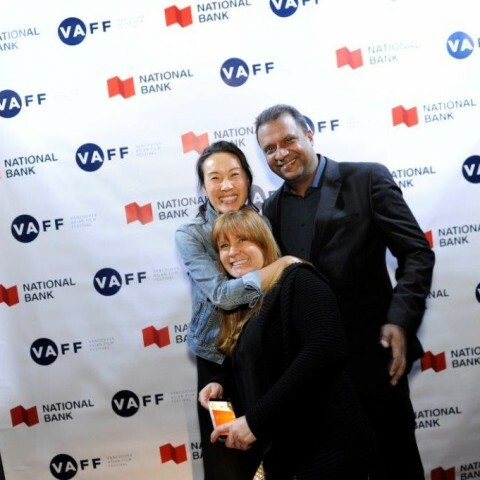 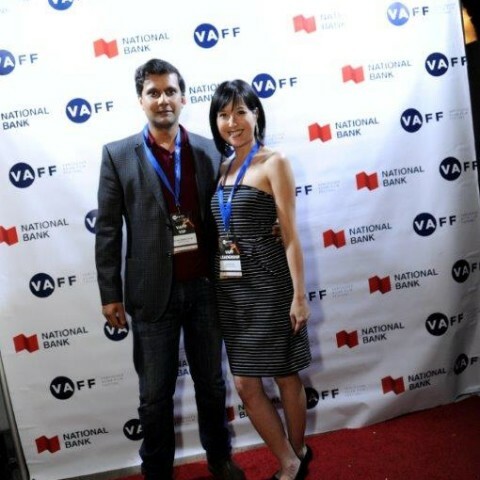 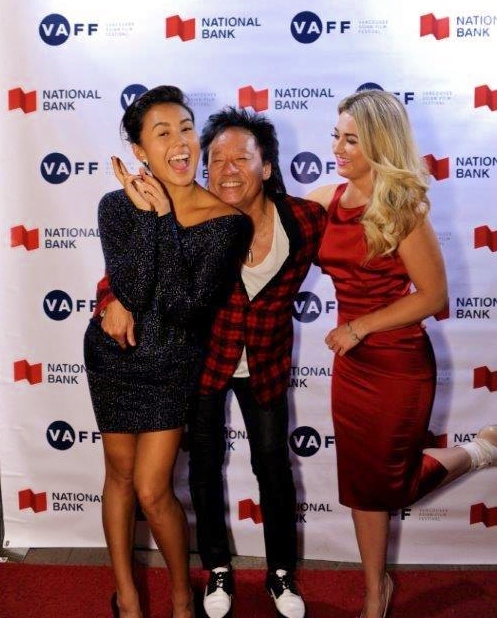 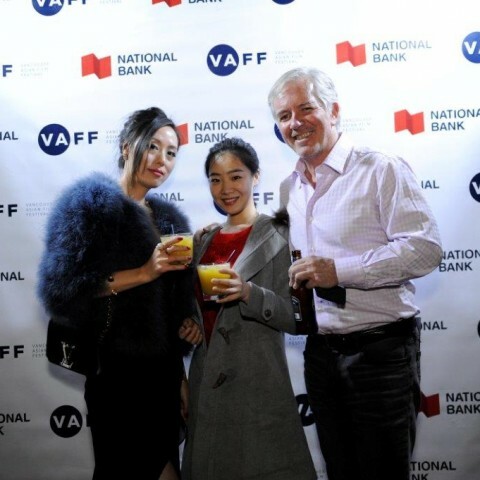 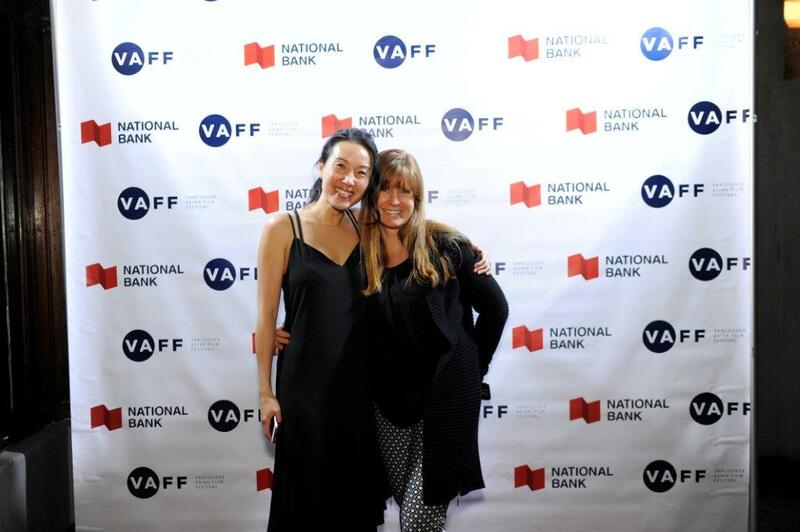 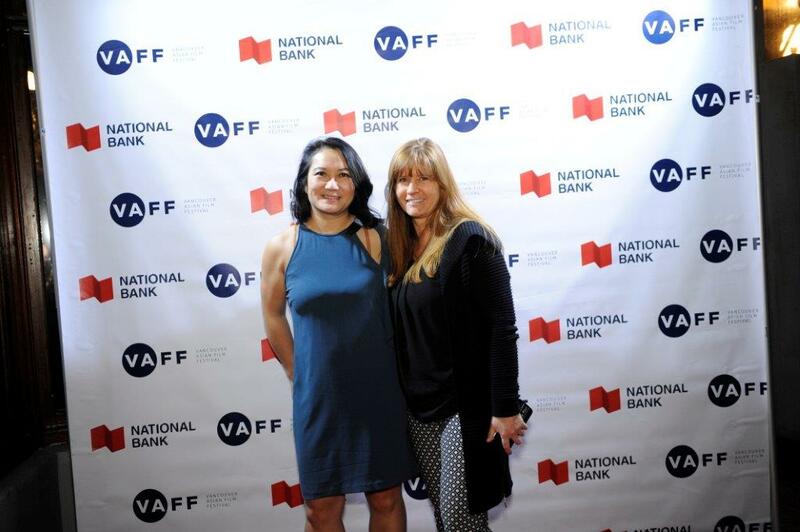 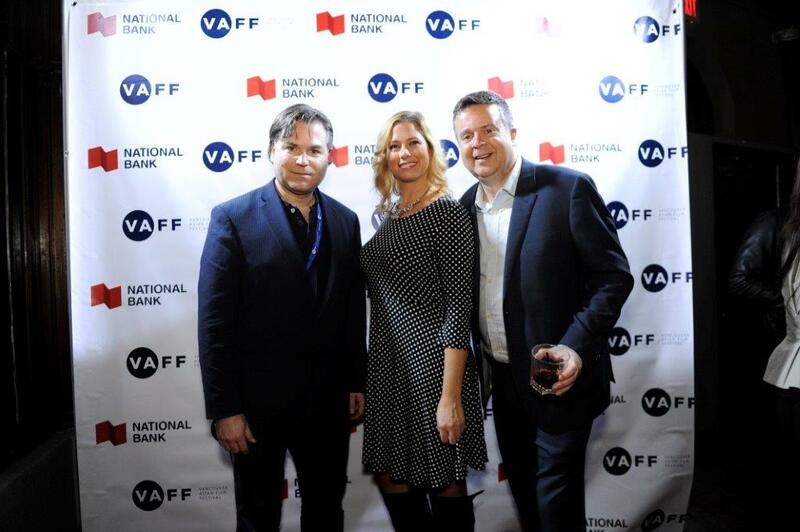 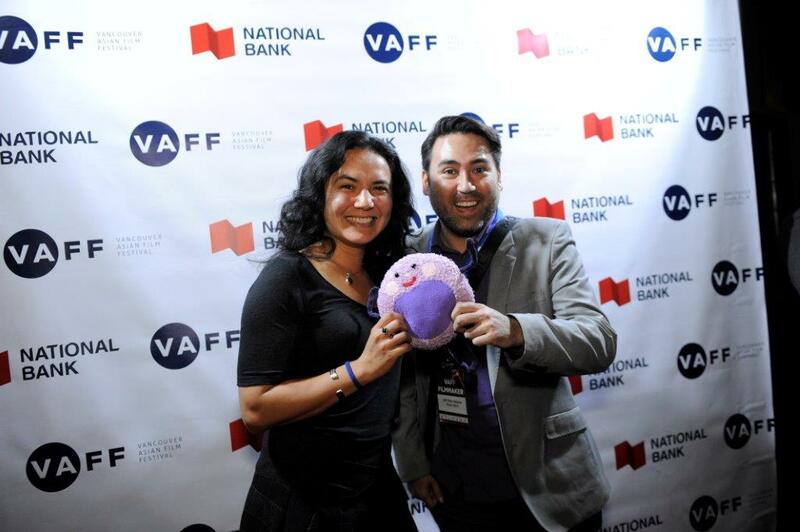 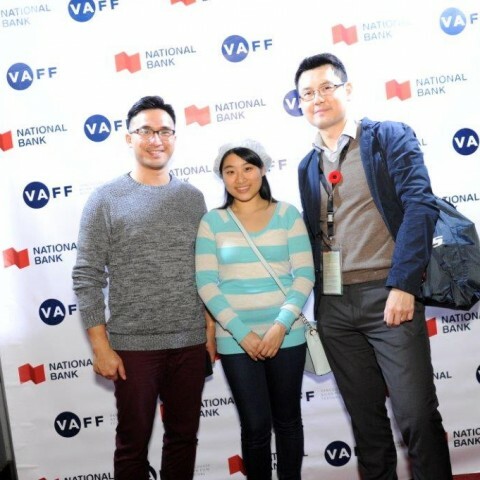 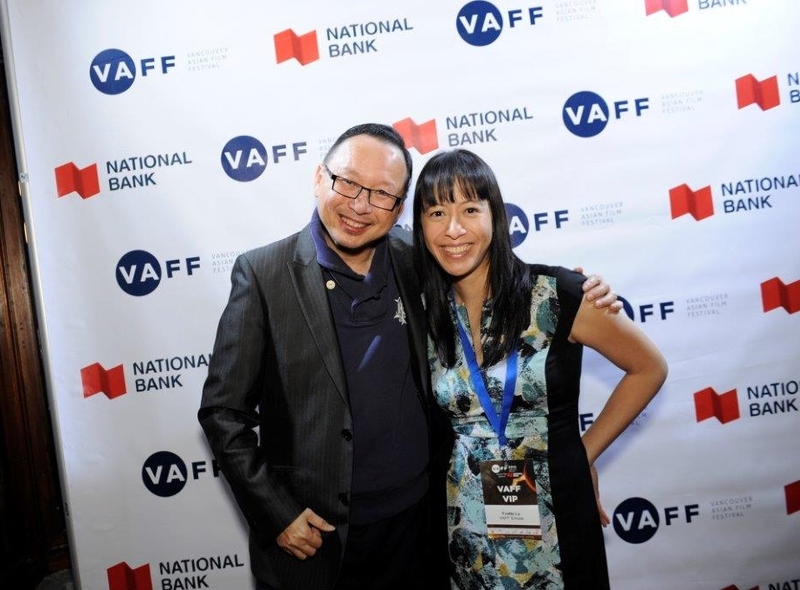 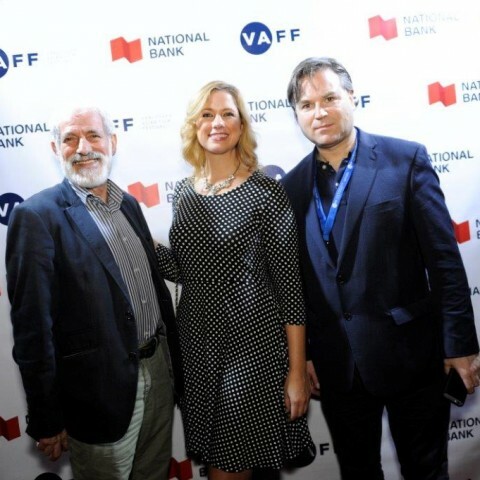 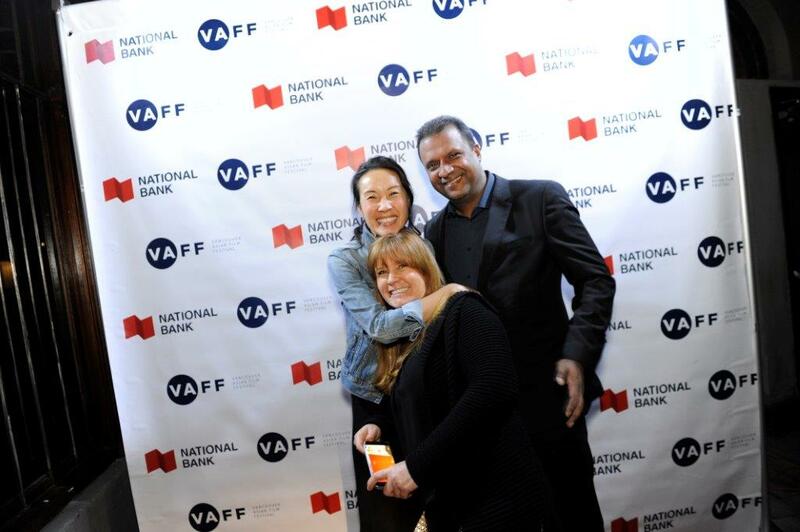 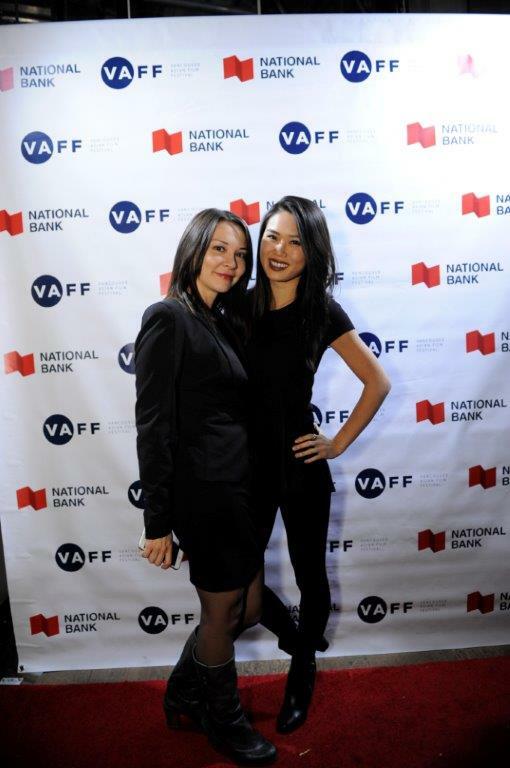 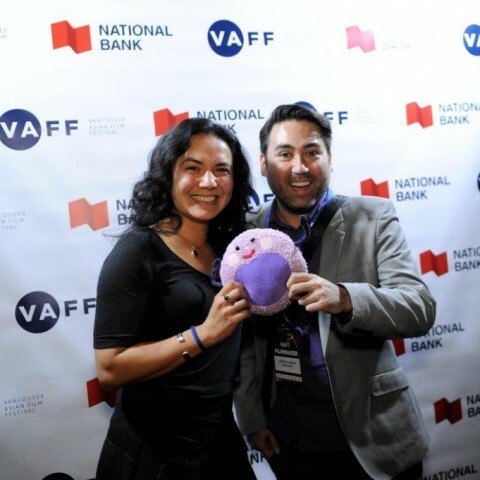 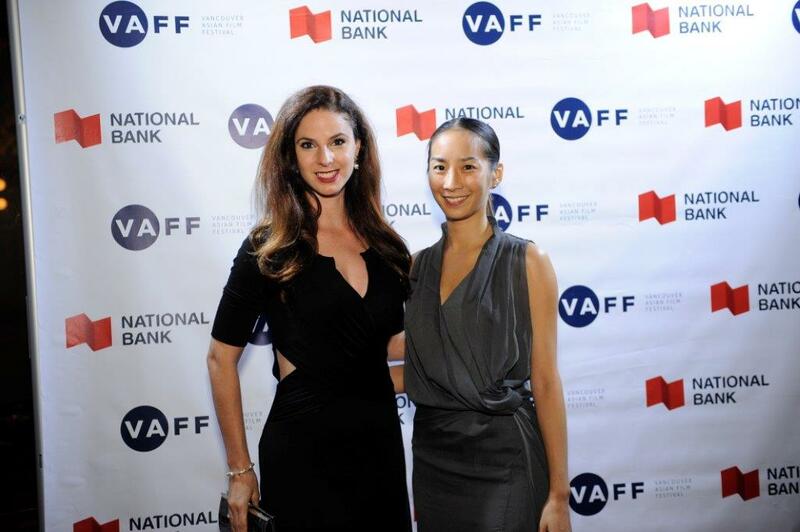 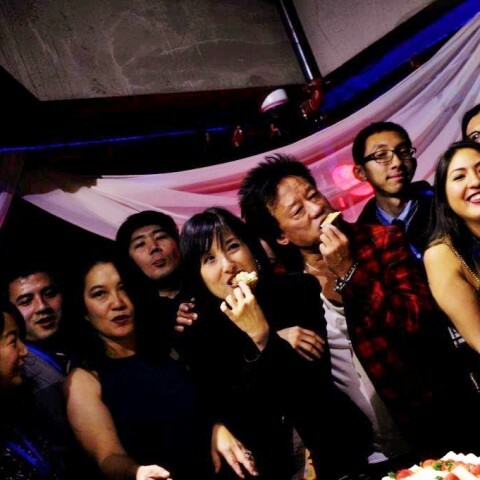 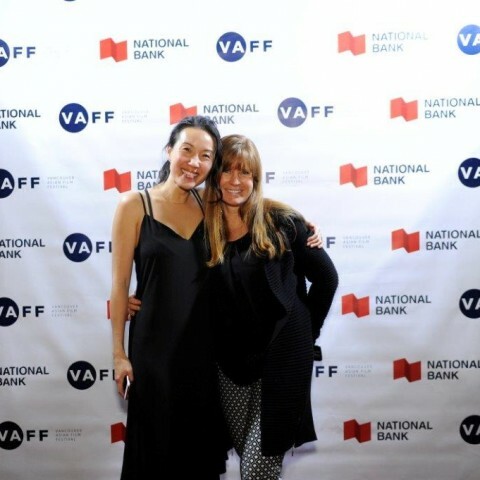 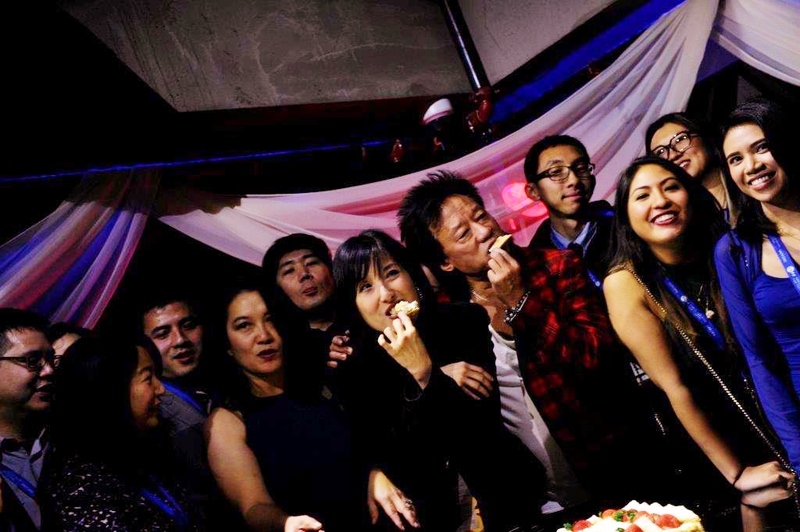 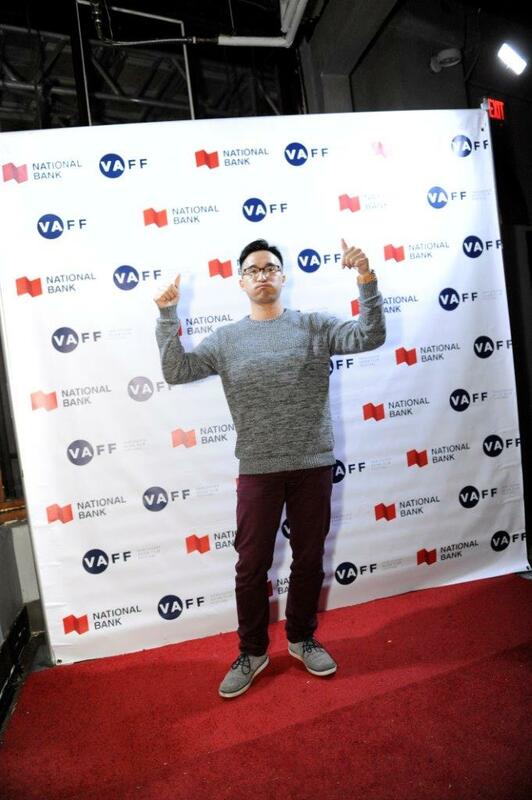 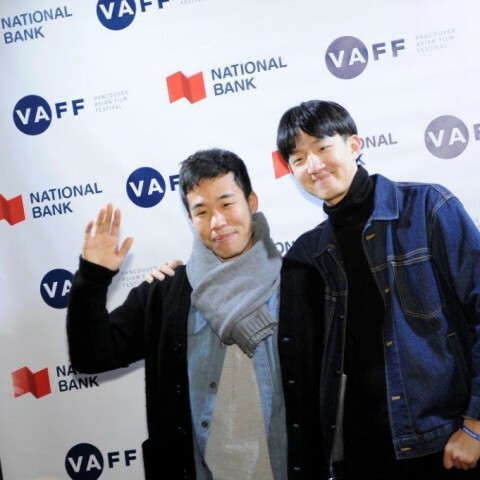 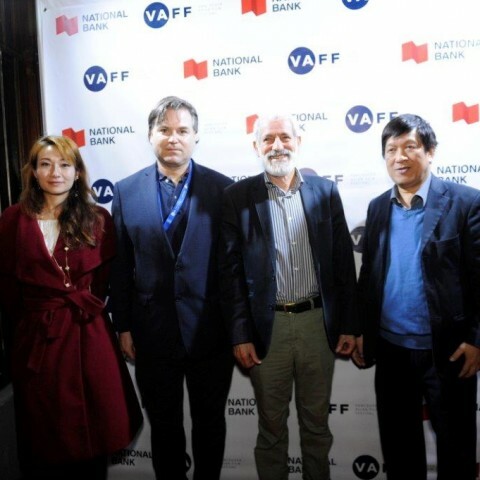 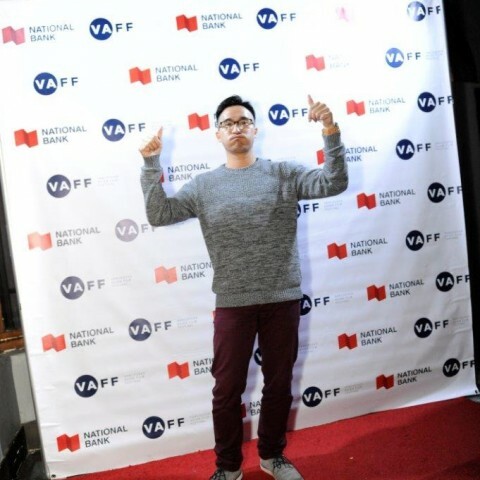 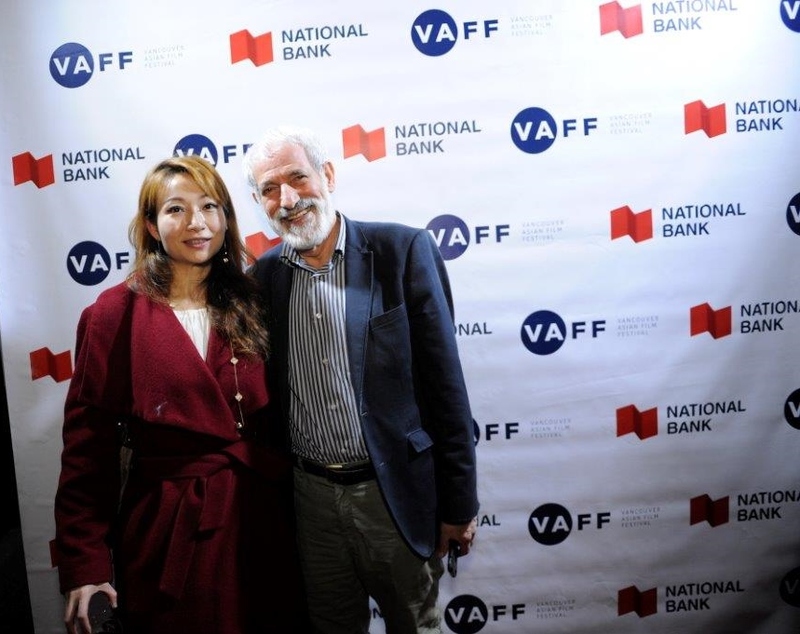 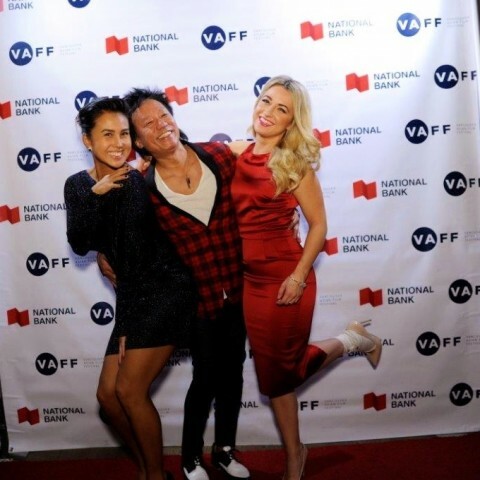 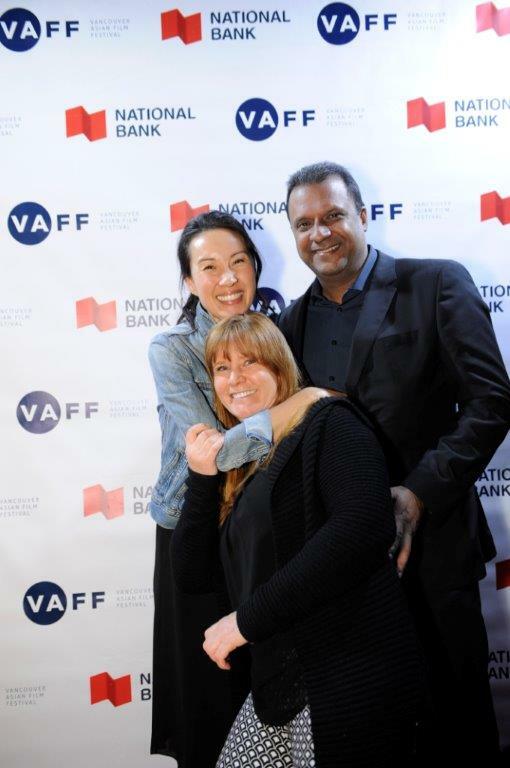 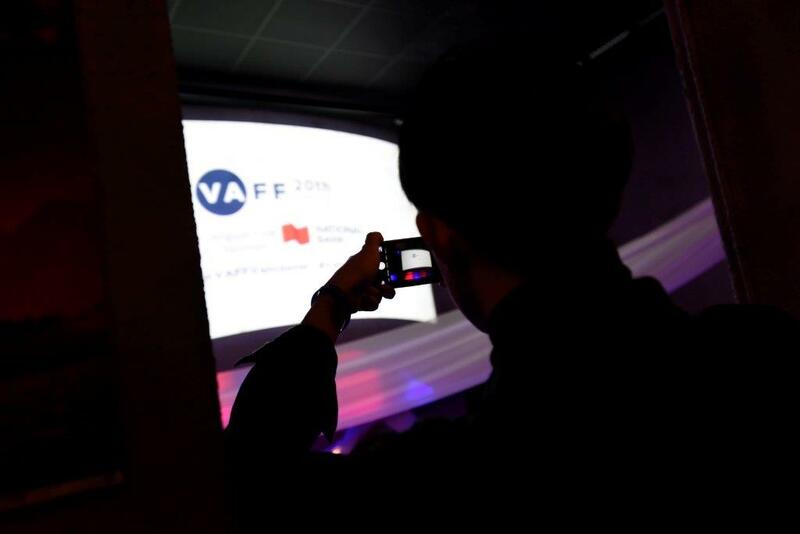 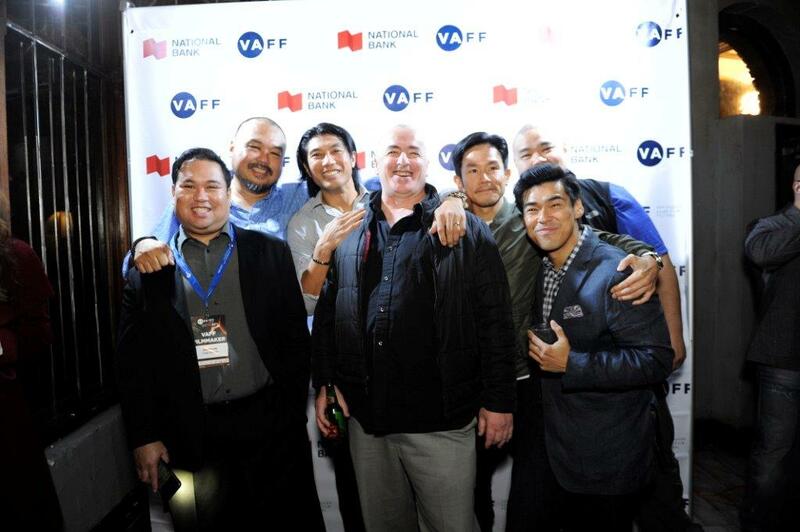 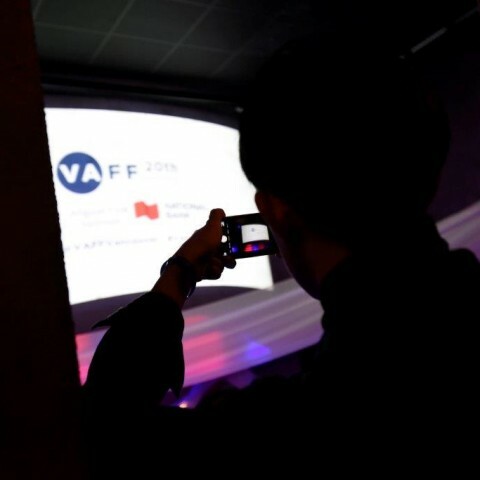 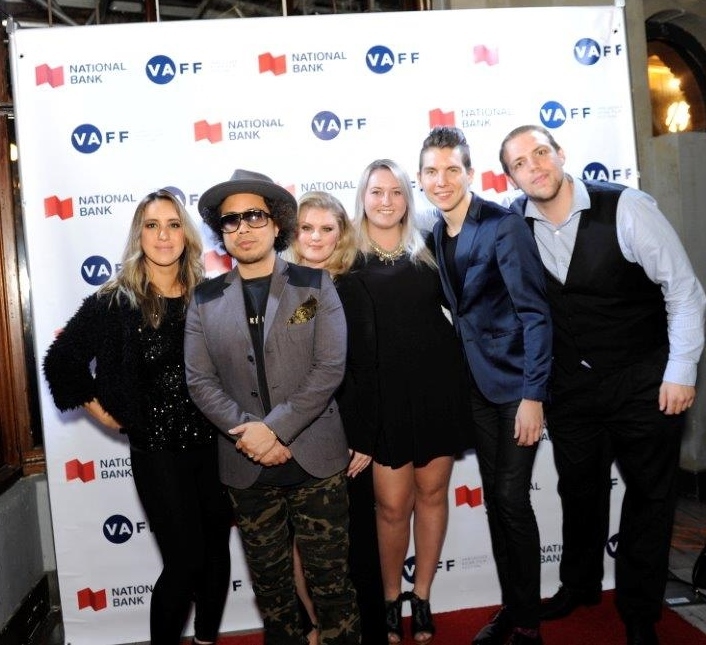 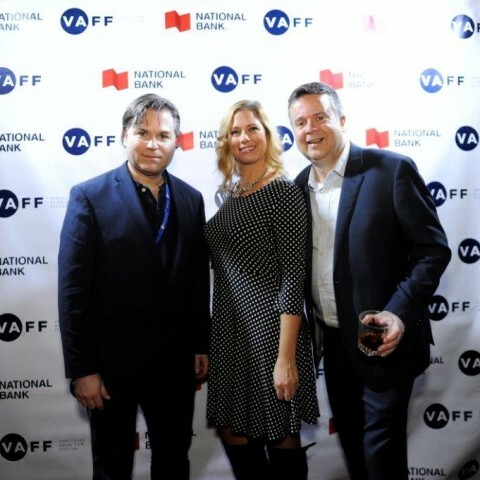 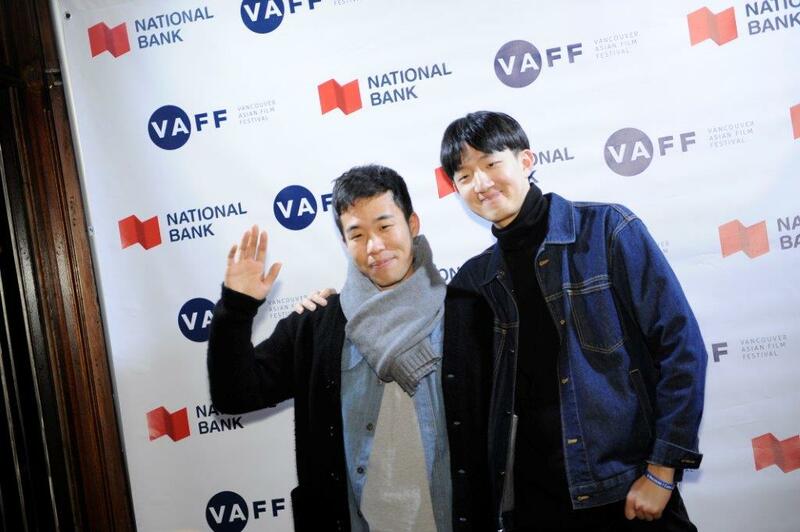 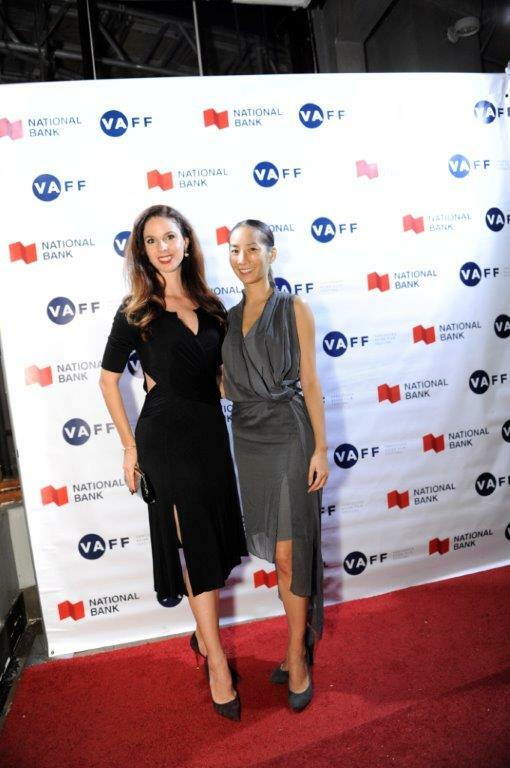 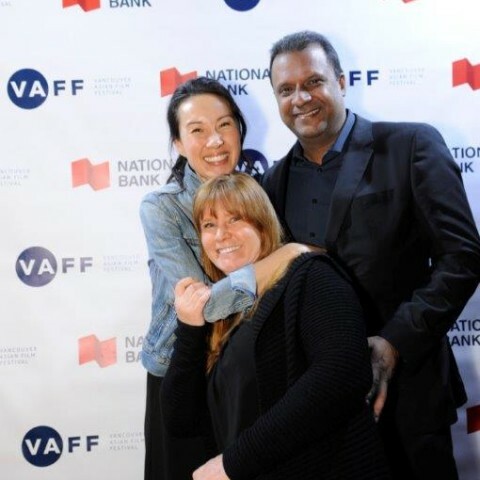 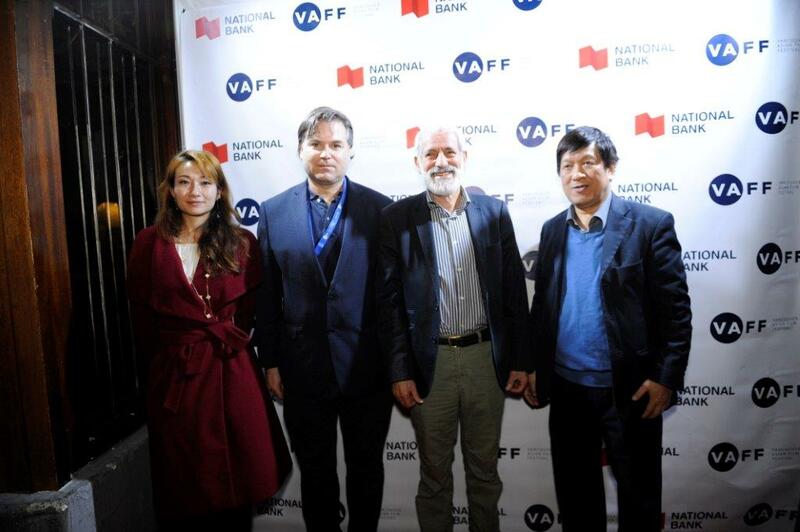 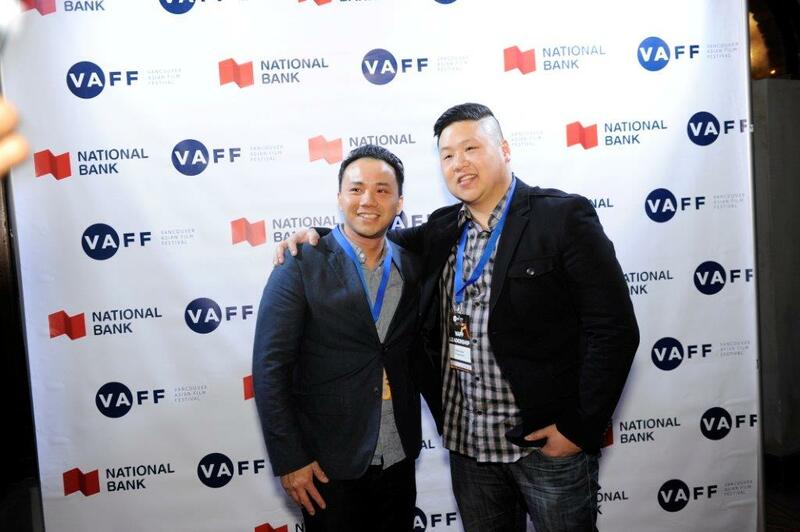 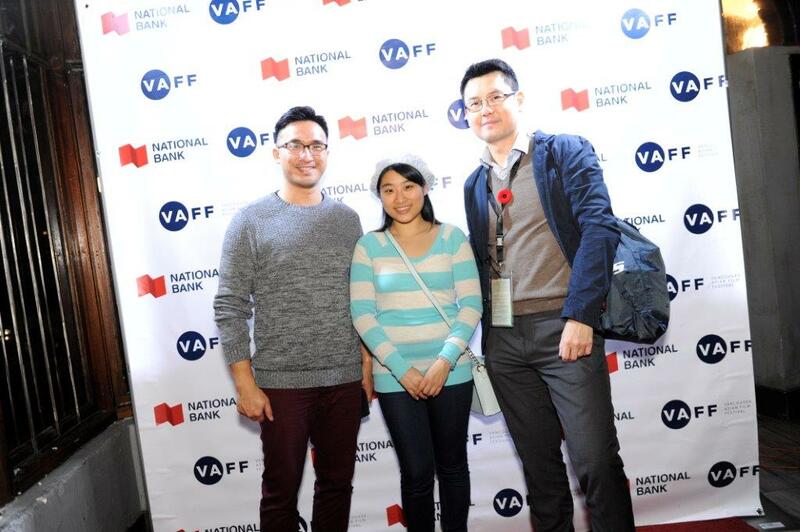 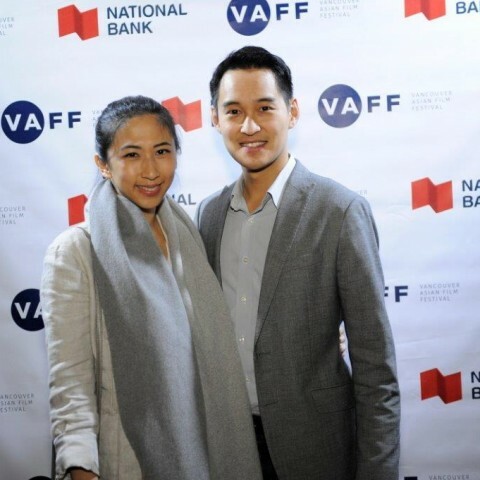 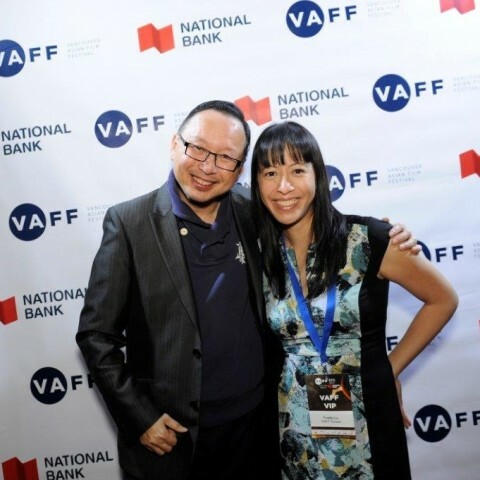 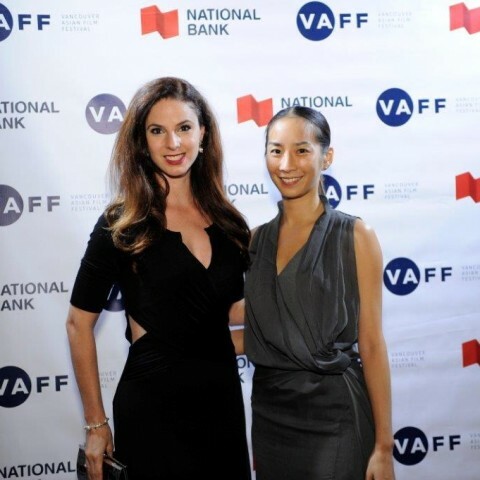 It’s a wrap for VAFF20, what a festival we had! 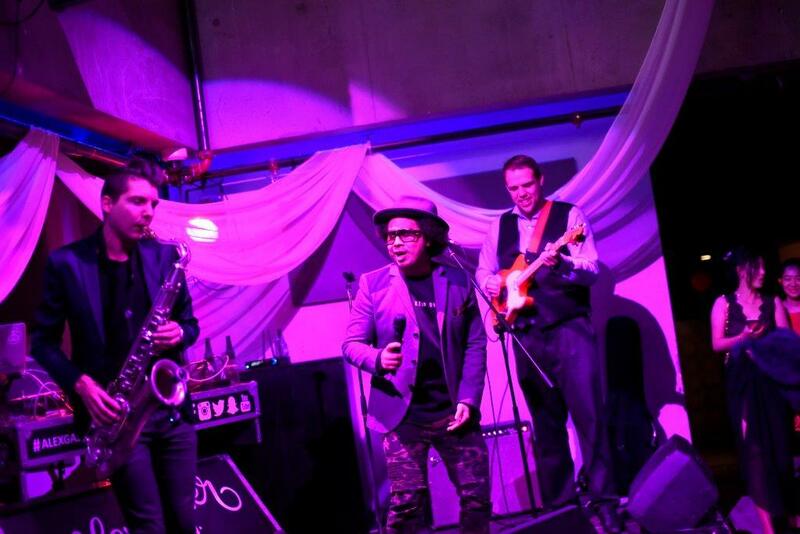 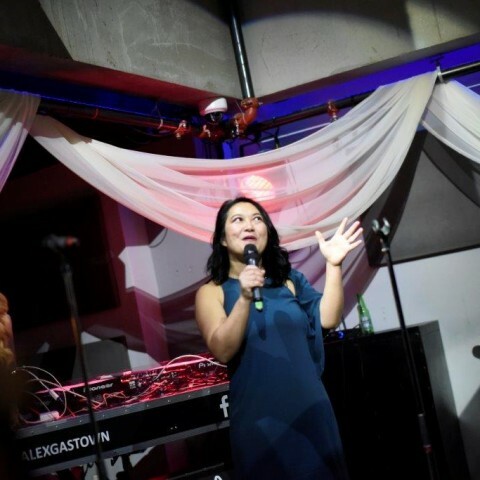 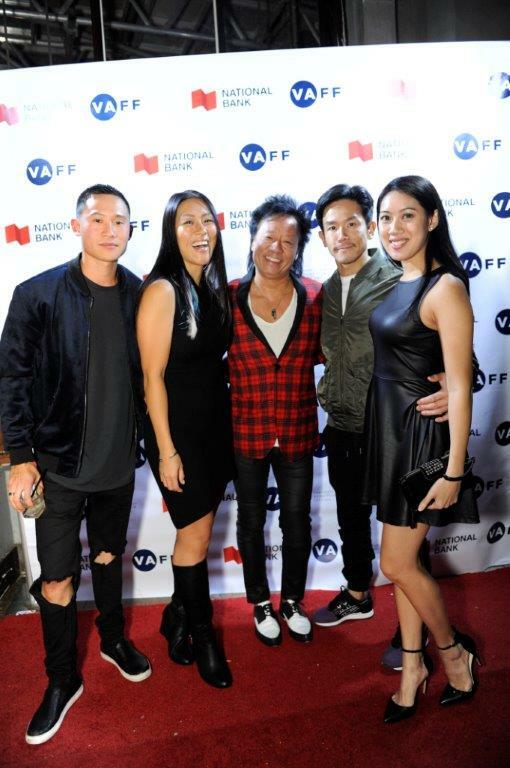 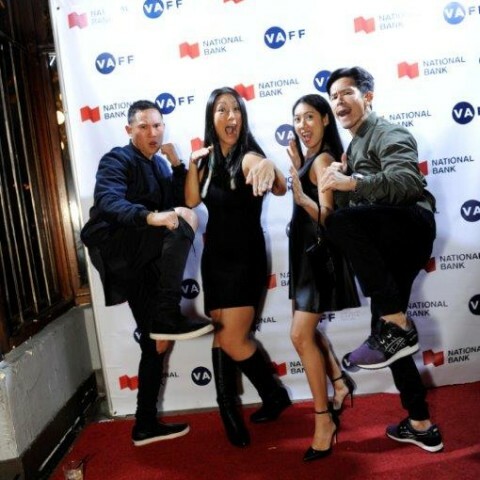 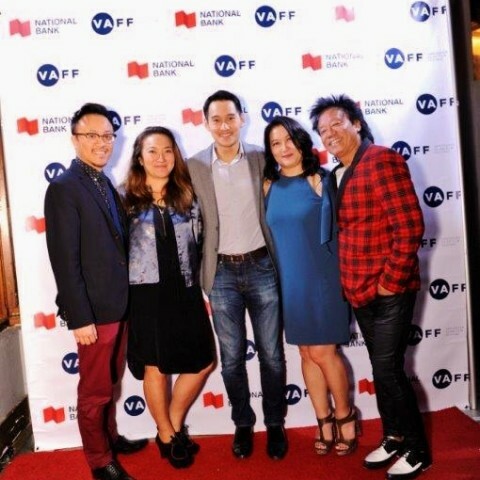 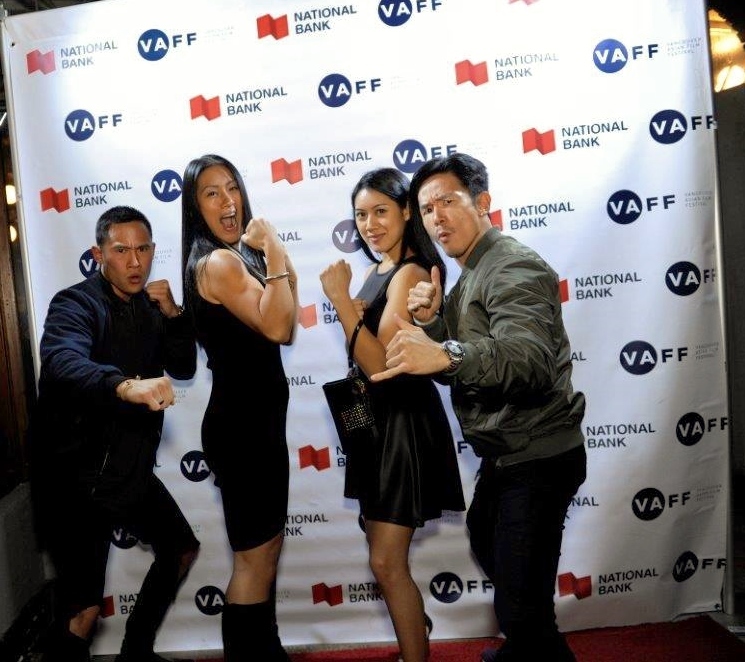 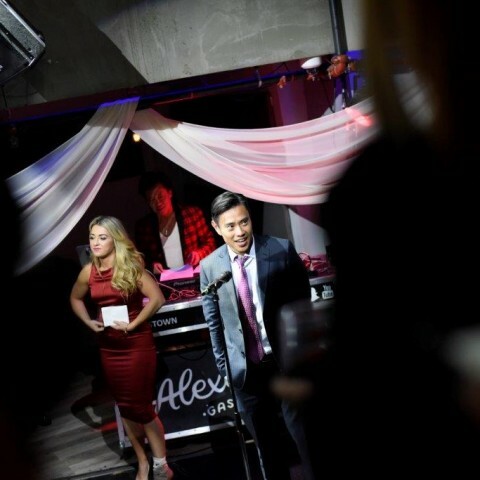 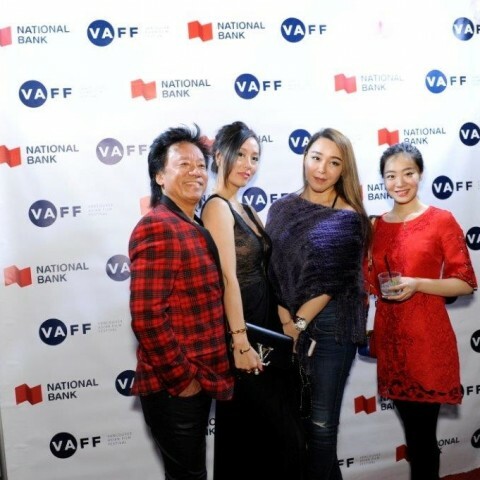 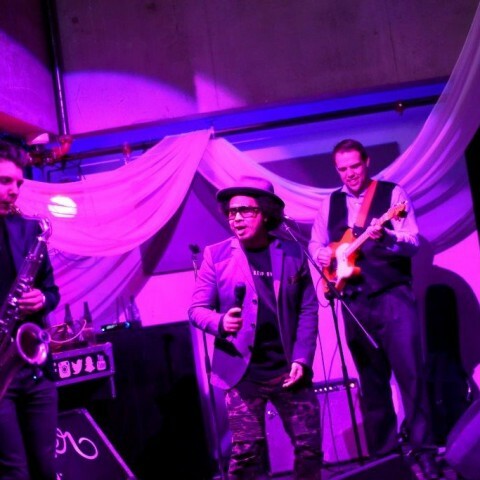 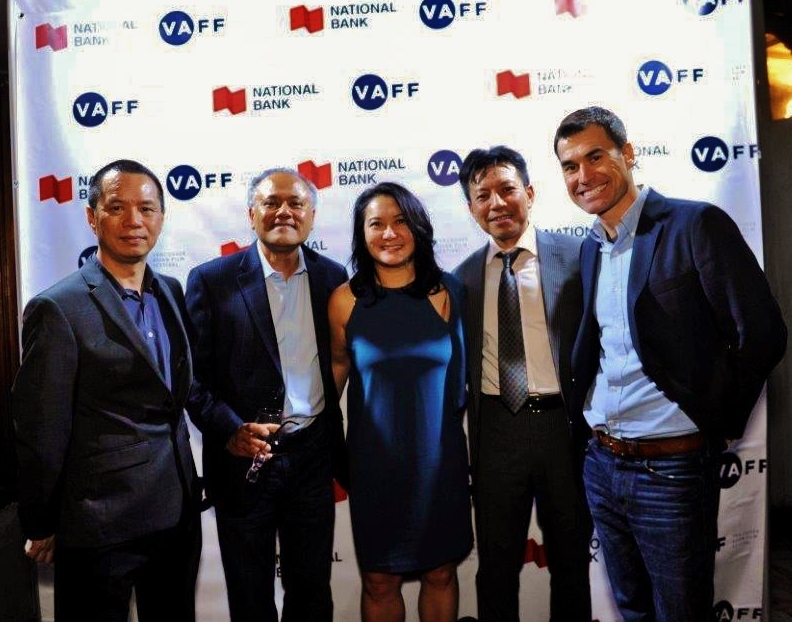 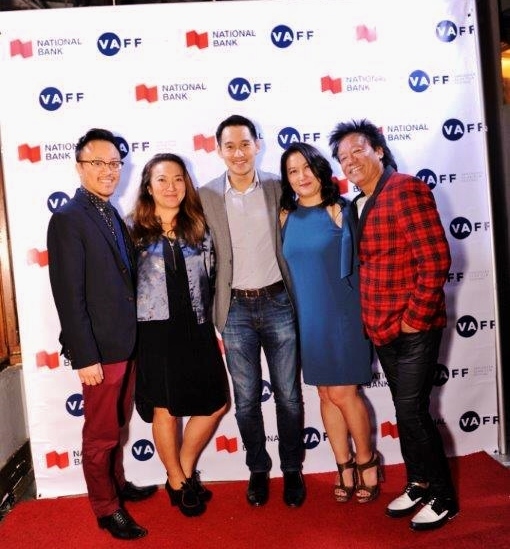 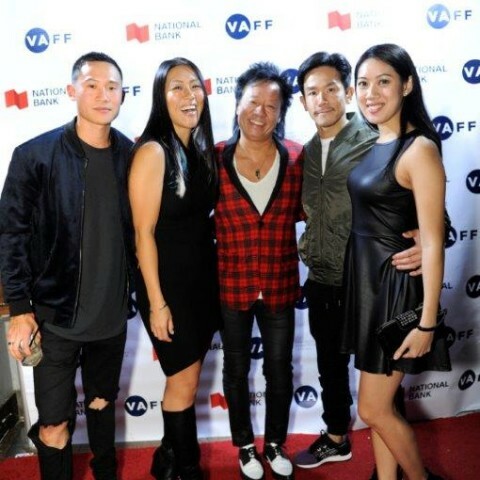 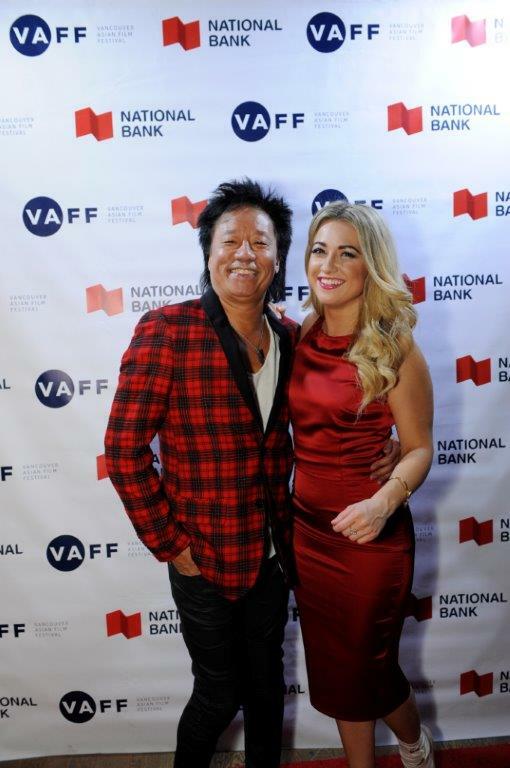 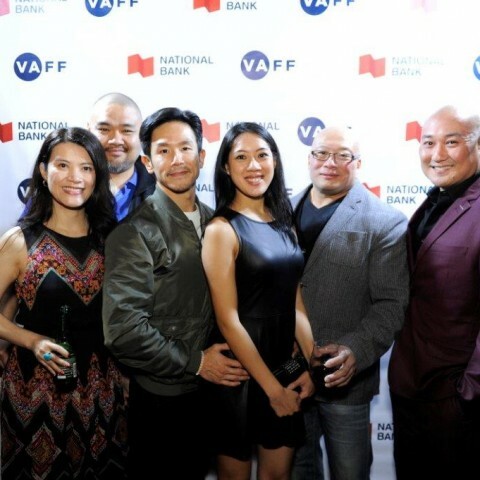 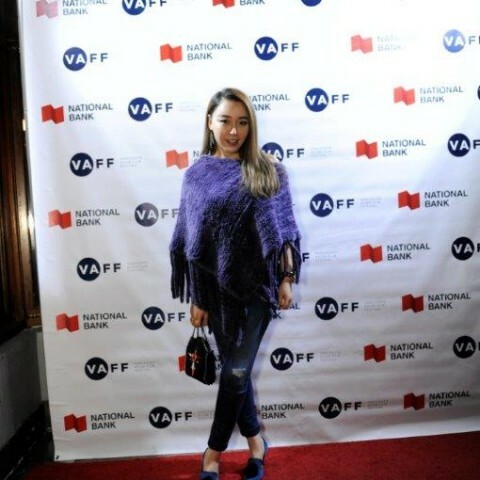 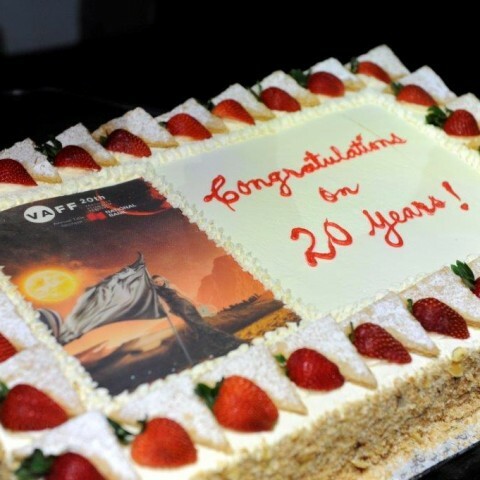 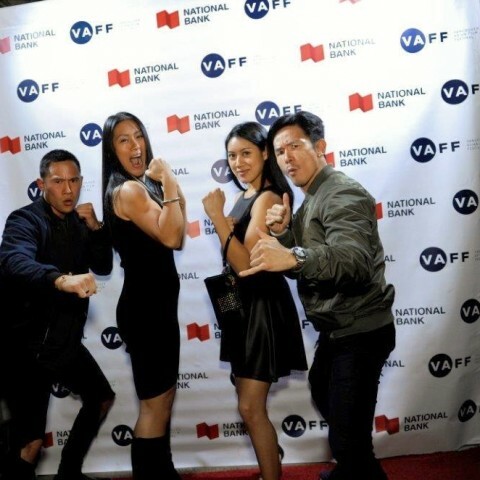 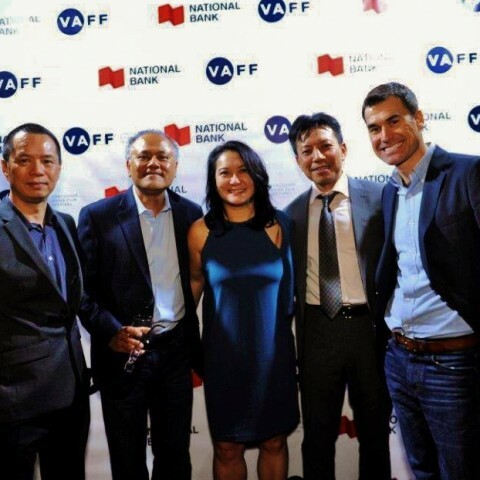 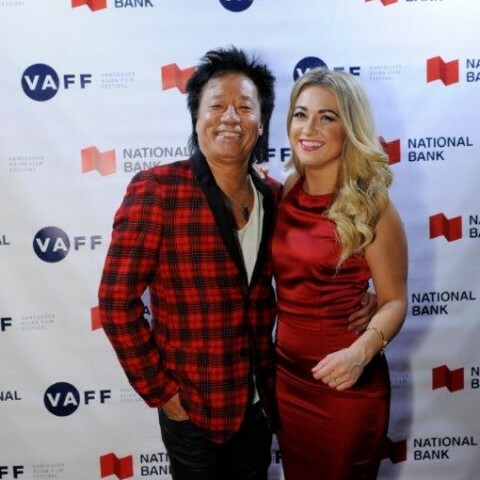 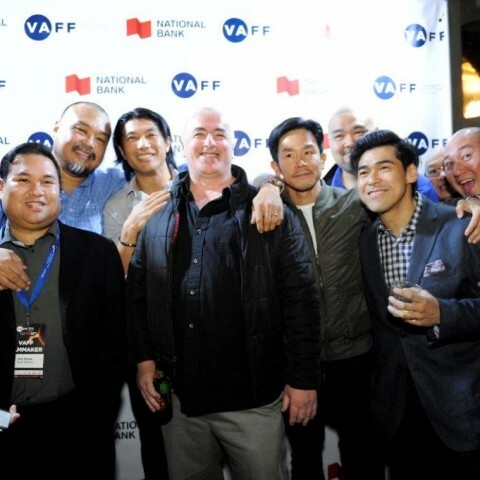 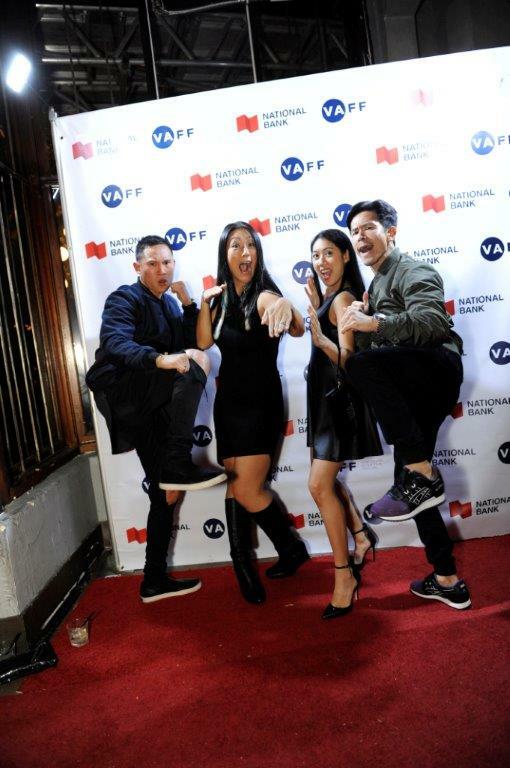 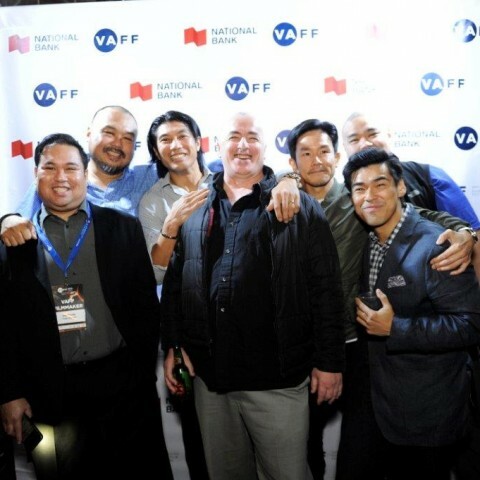 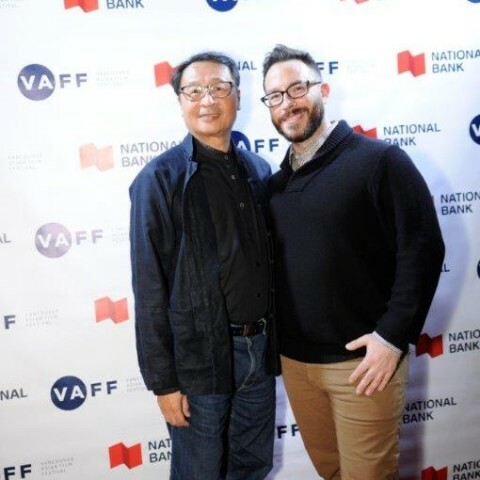 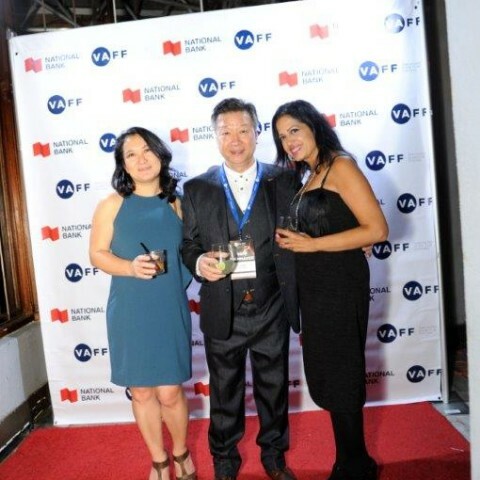 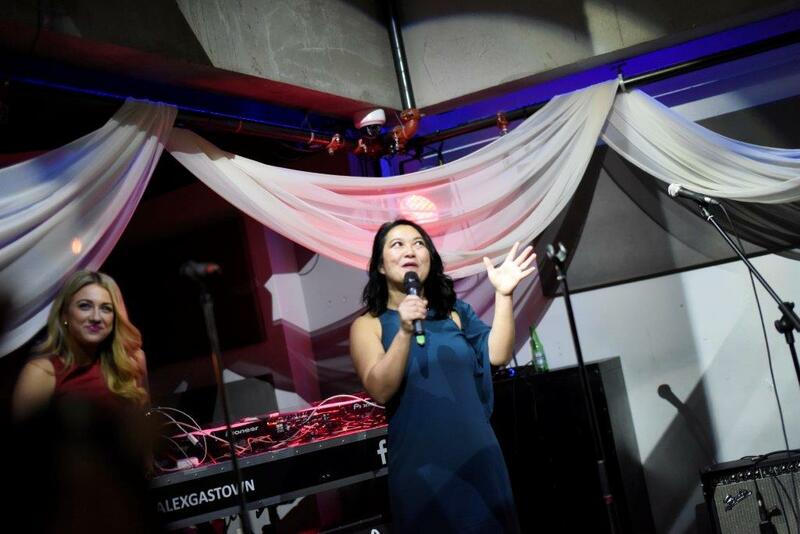 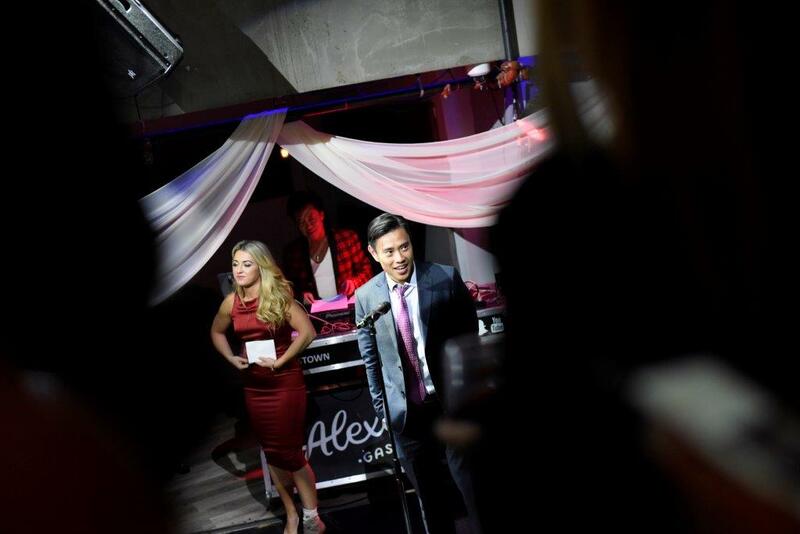 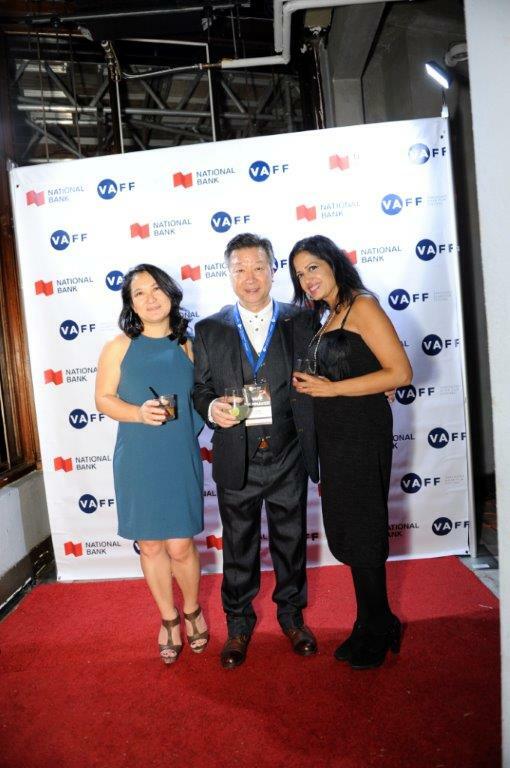 Was fun to producing the 20th anniversary Vancouver Asian Film festival opening gala hosted by Natalie Langston, amazing performance by Warren Dean Flandez, Eli Bennett, Scott Verbeek and the “Solontra”. 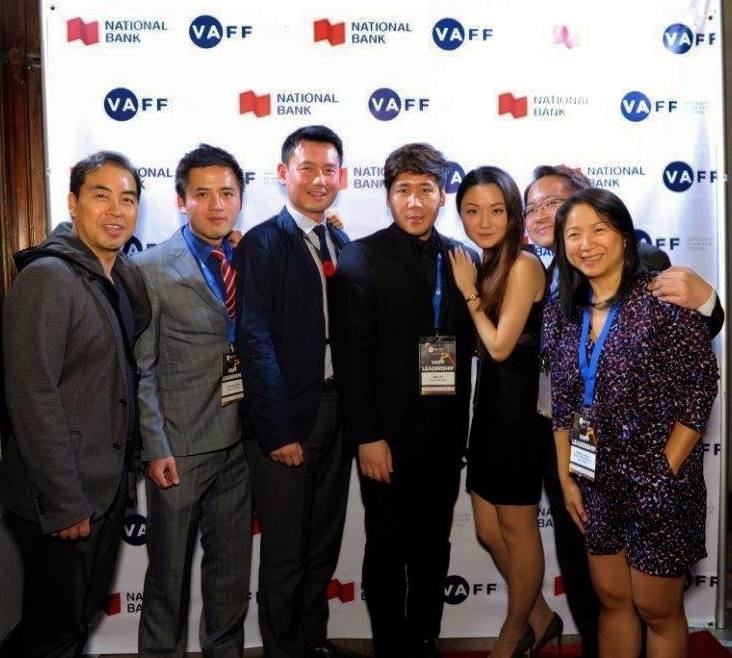 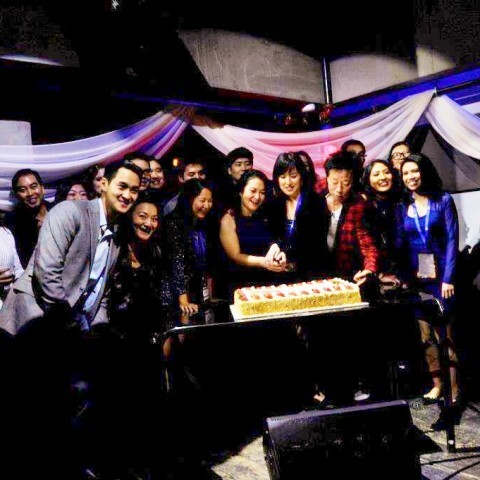 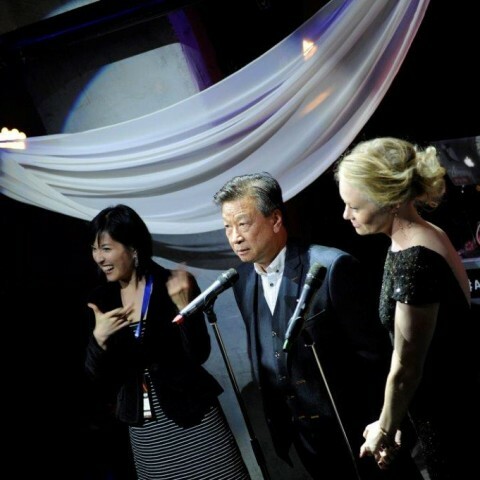 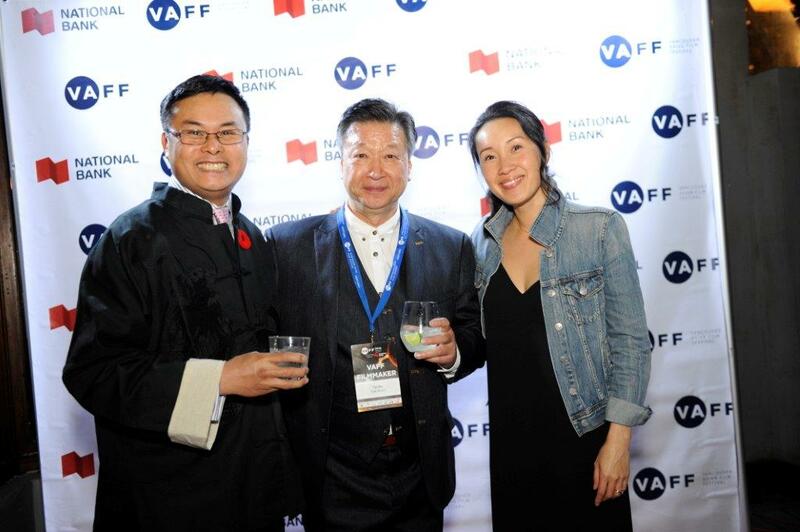 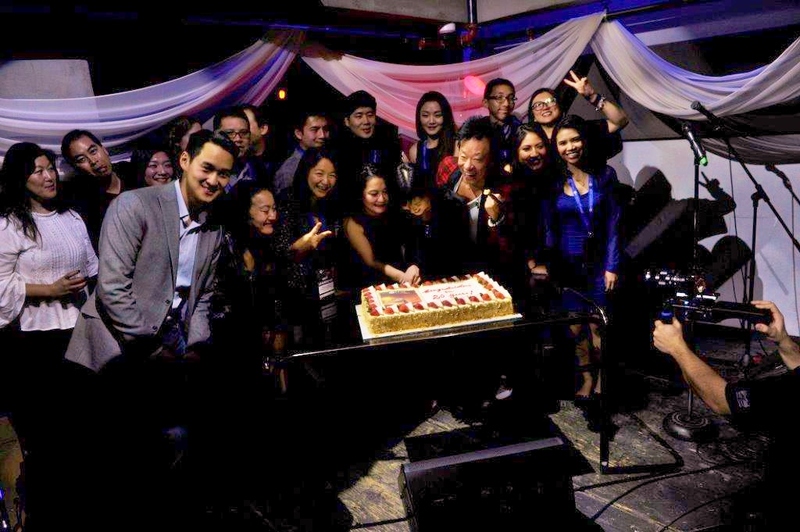 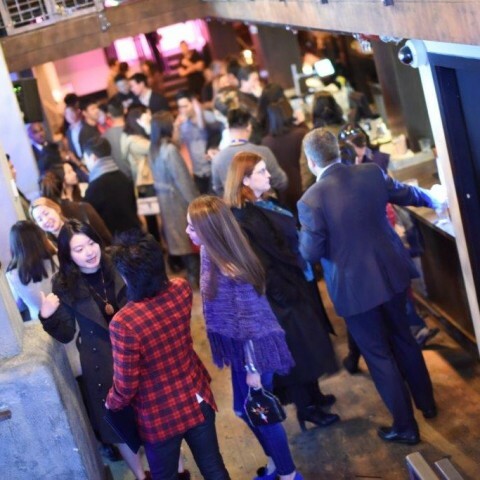 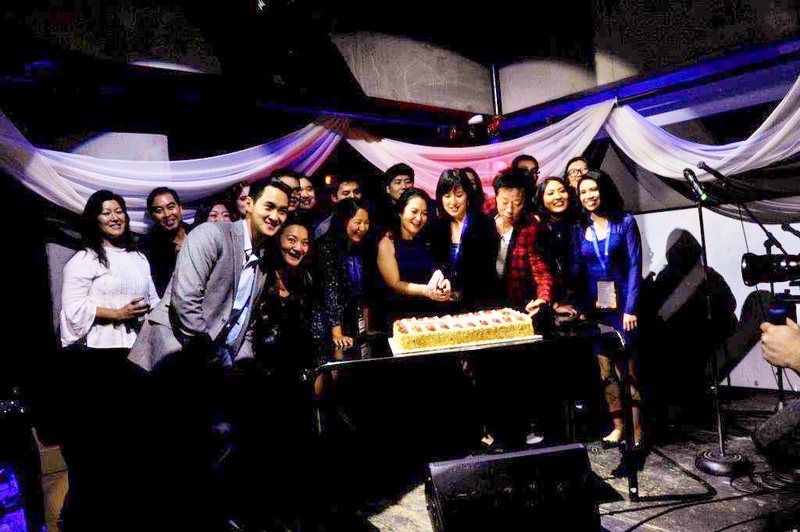 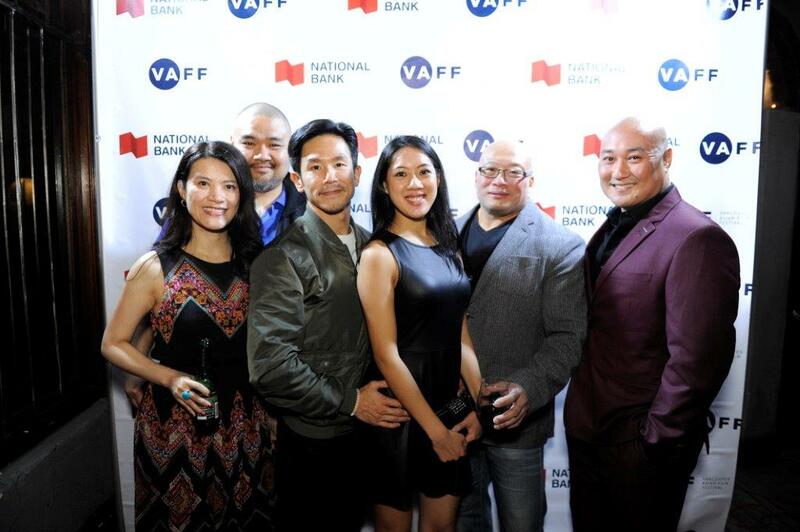 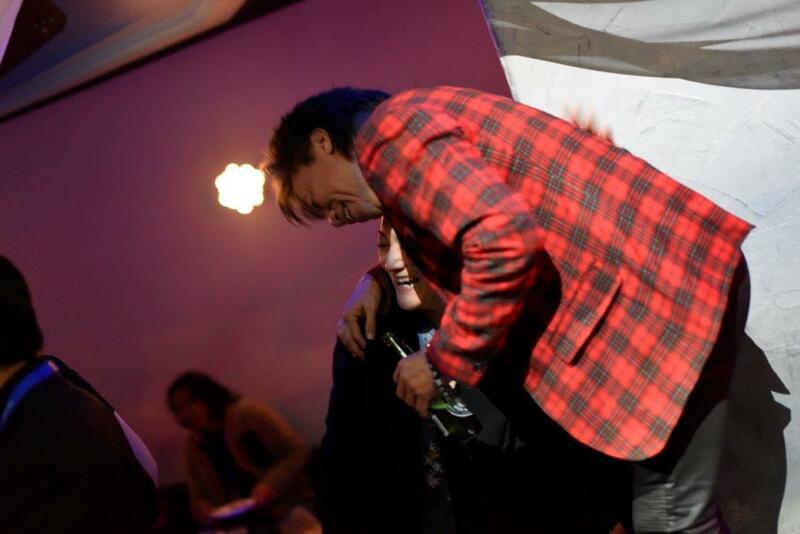 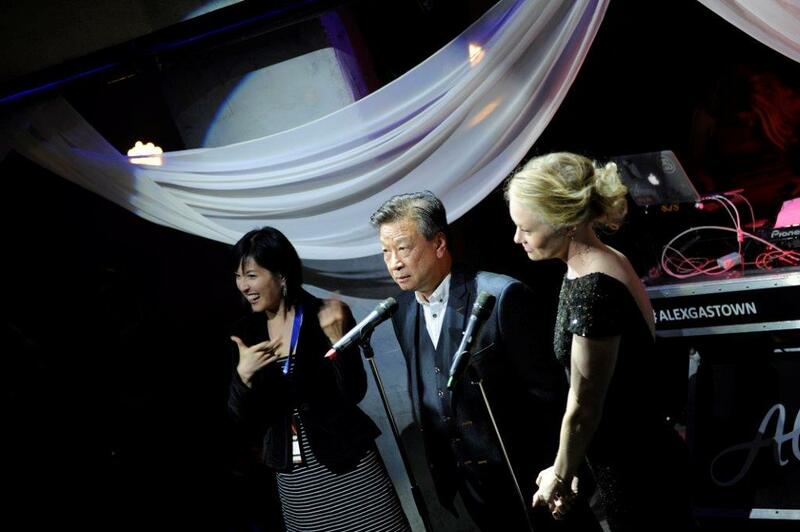 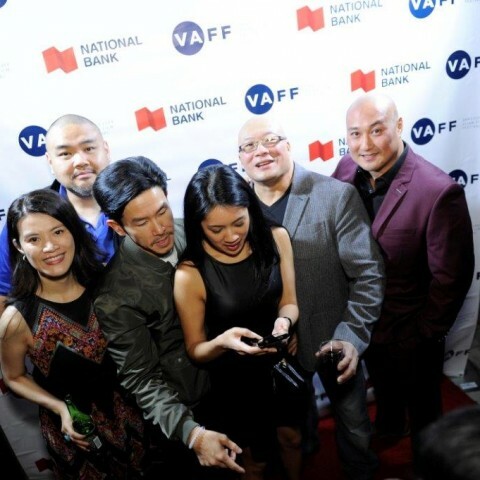 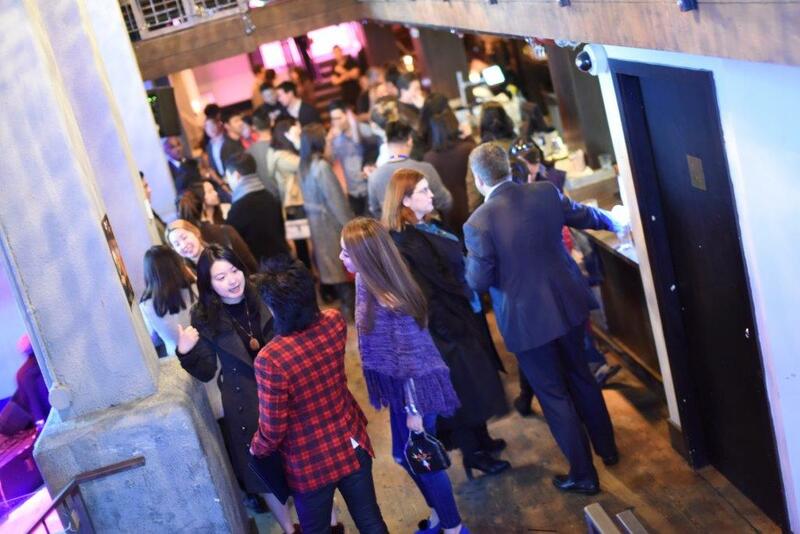 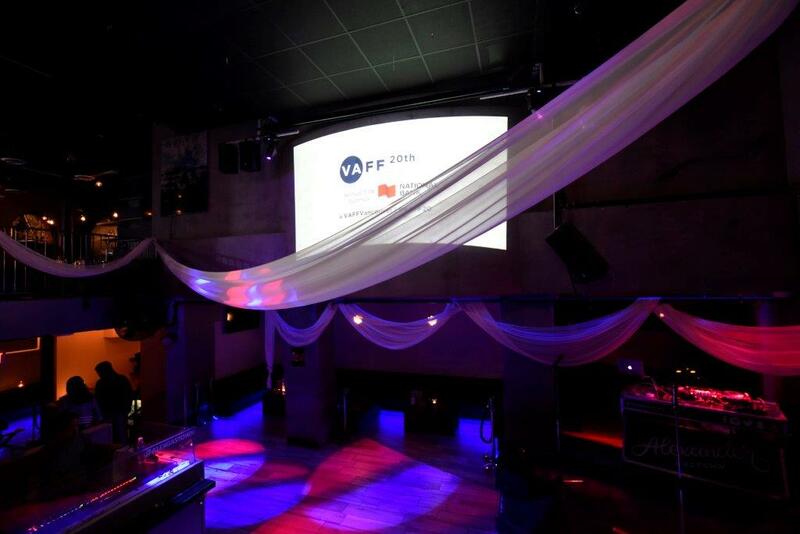 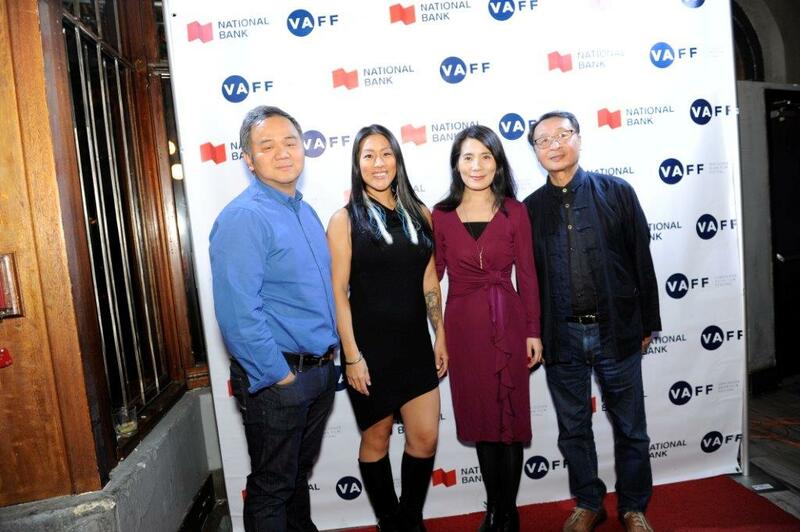 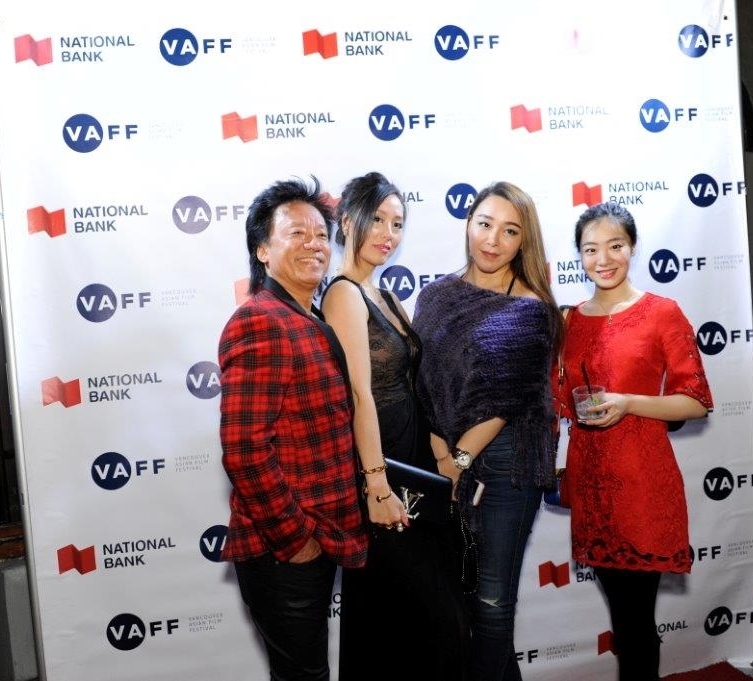 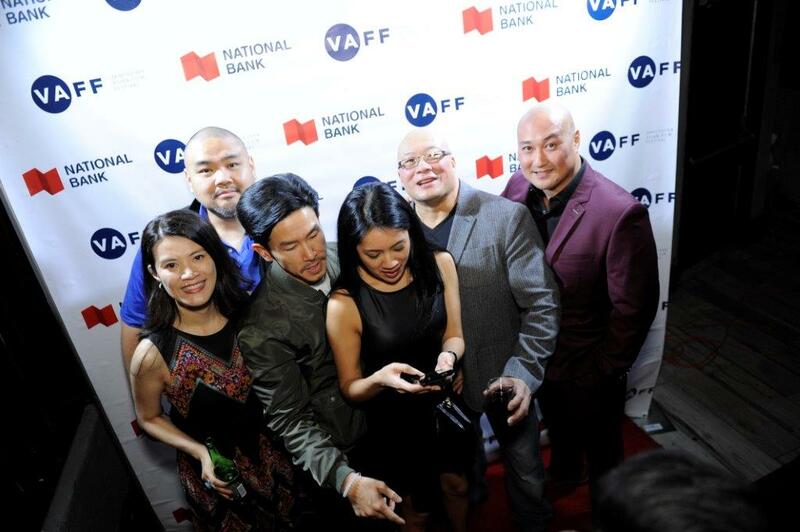 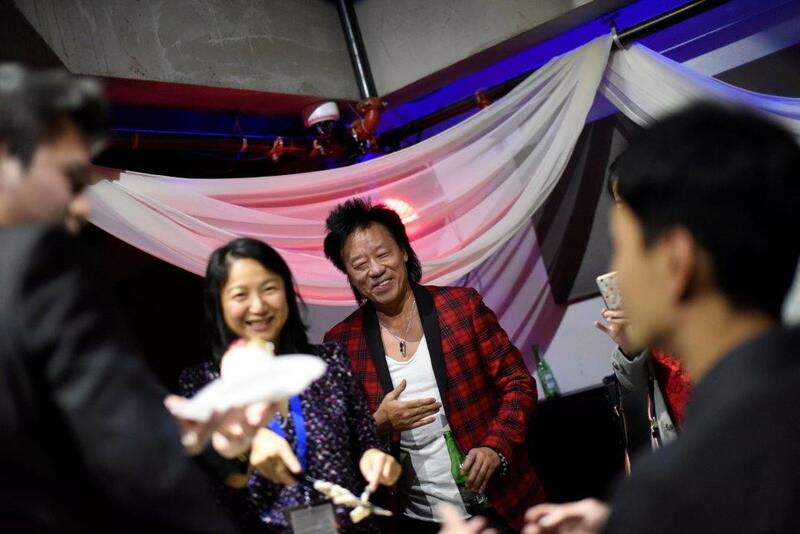 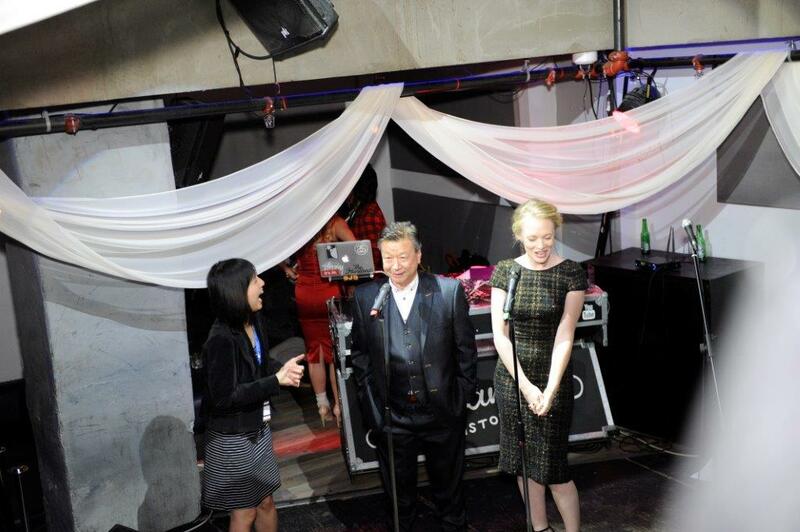 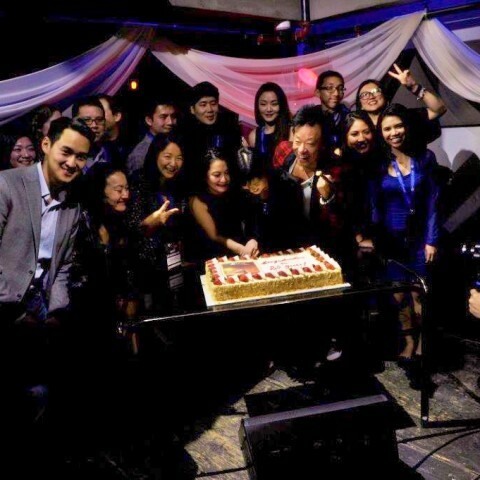 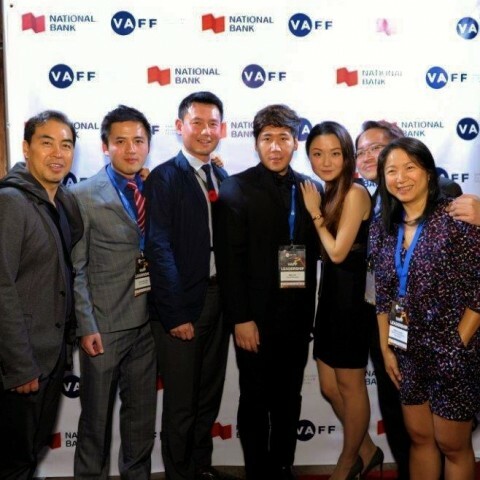 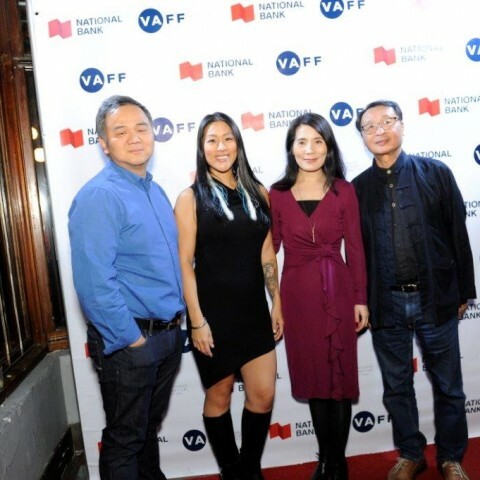 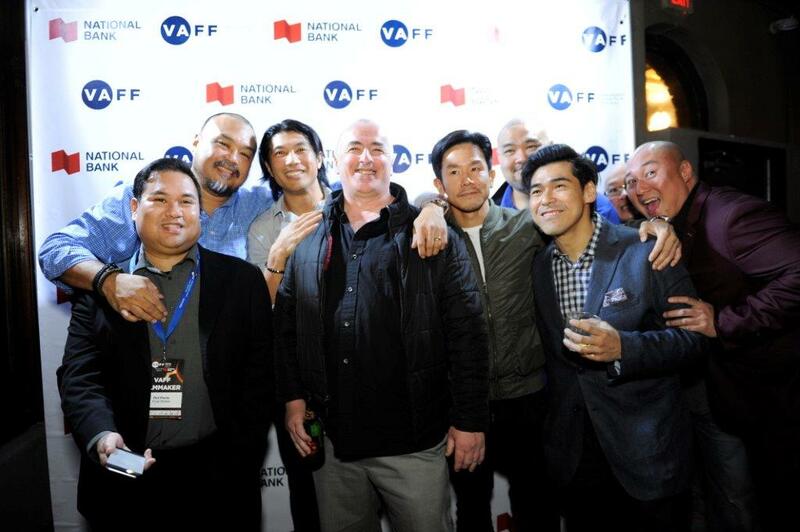 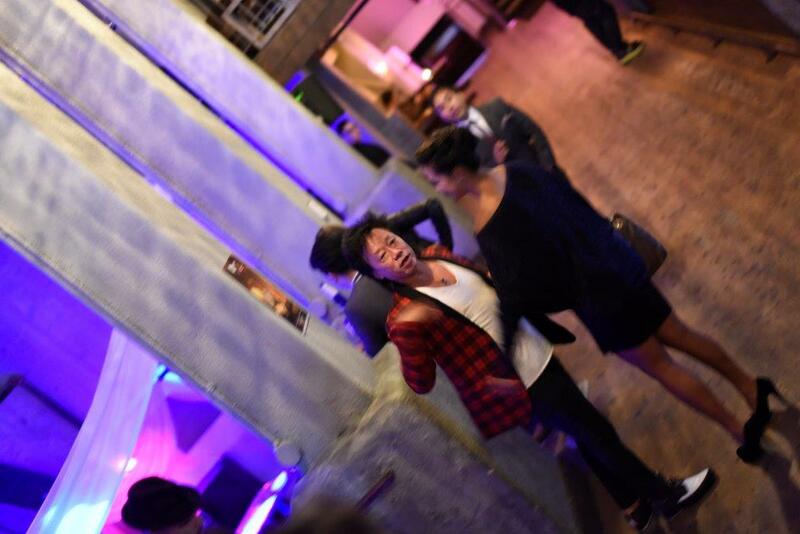 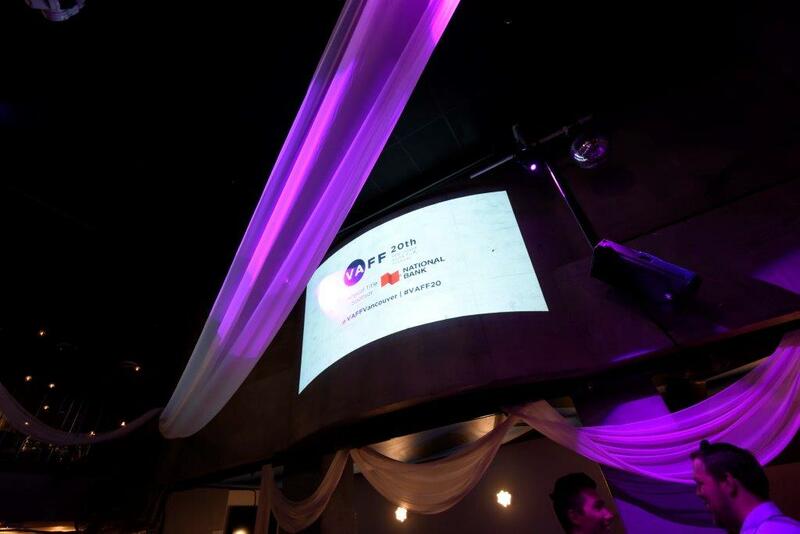 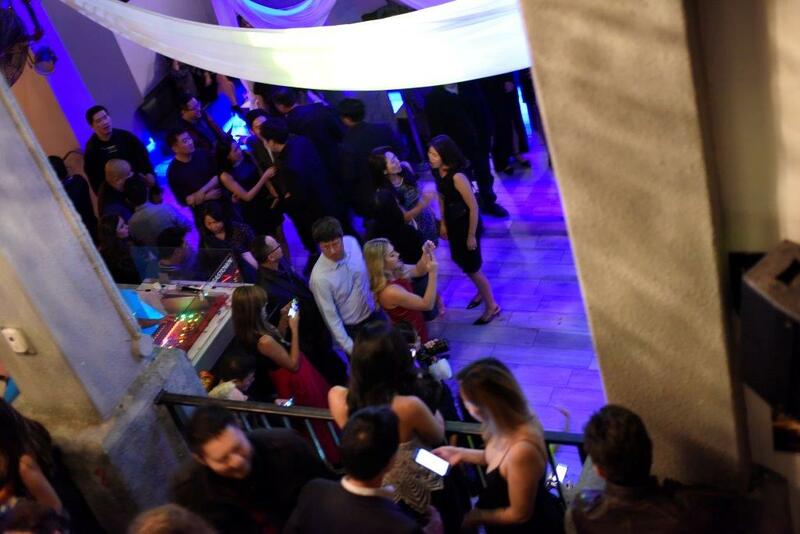 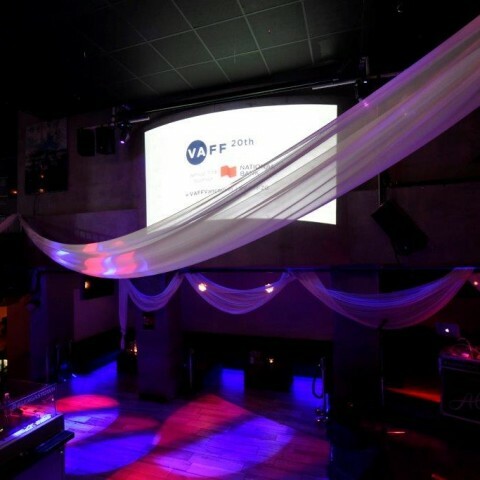 Congratulations to the Vancouver Asian Film Festival team, staffs and the supports of our sponsor partners.